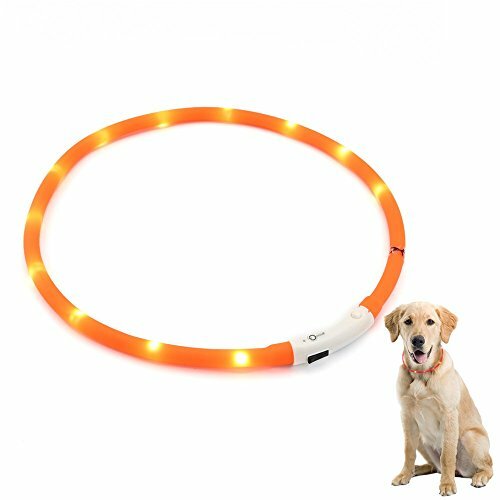 Taking your dog for a walk and playing fetch is a typical pass time. 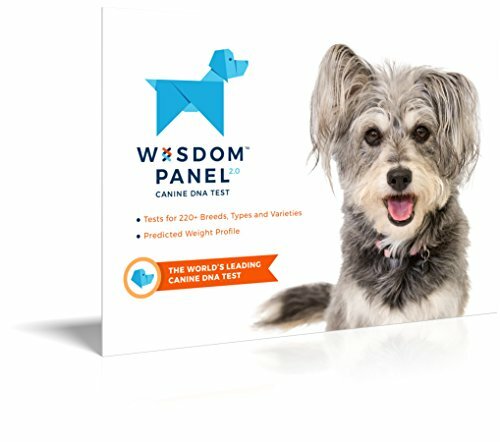 Having that fun interaction with your dog is essential for forming and maintaining a positive relationship. 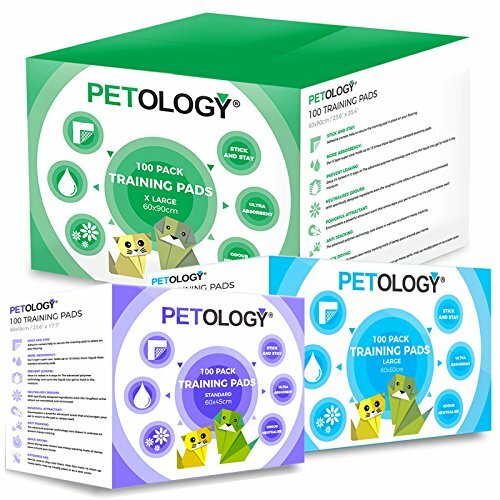 Furthermore, it’s simply an effective form of exercise that is ultimately beneficial for both pet and owner. 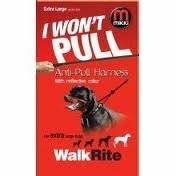 It’s pretty common when playing fetch to use a stick. 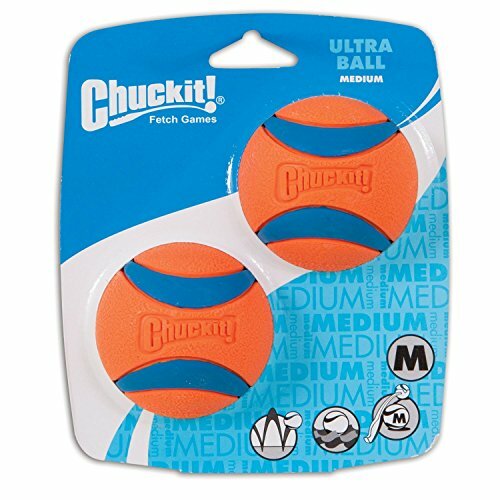 They’re convenient and always on hand if you’ve forgotten a ball or toy. However, vets are warning that dog owners need to stop throwing sticks for their dogs because it is dangerous to the animals’ health. 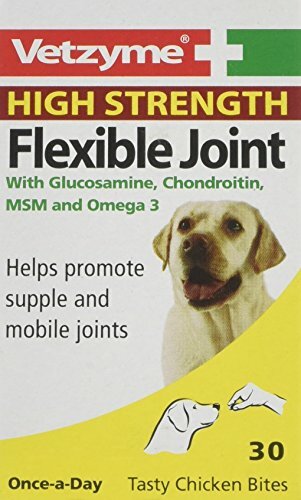 Recently, a Labrador suffered serious injuries from playing with a stick. 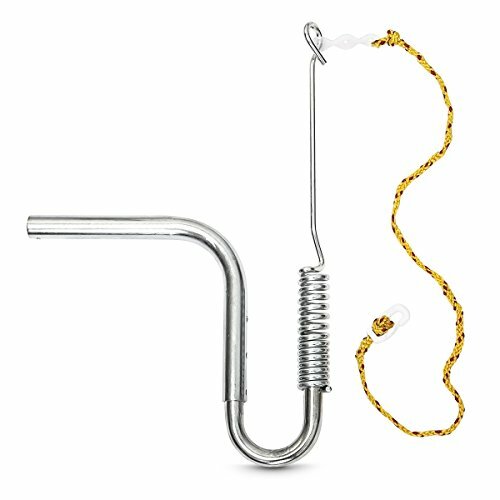 The animal’s stomach was pierced after getting an 11-inch branch stuck in her throat. 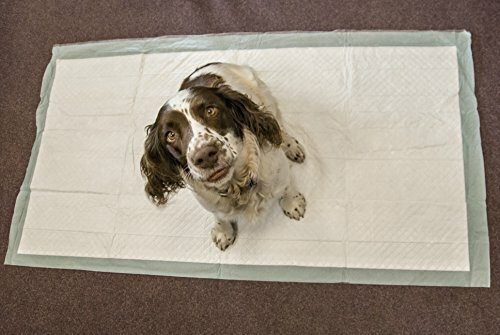 Three-year-old Willow was impaled whilst out on a walk with her owner and required emergency surgery to remove it. 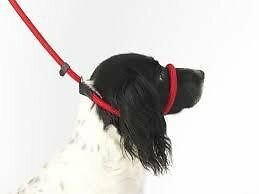 The stick had pierced the skin underneath Willow’s tongue and travelled half way down her throat. 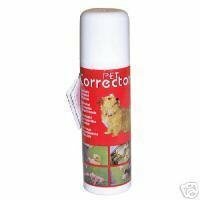 Vets removed it by making a small incision in the dog’s neck before pulling it out carefully. 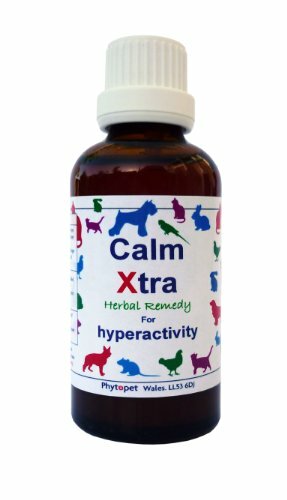 Willow was then sent home shortly afterwards with the appropriate painkillers and antibiotics. 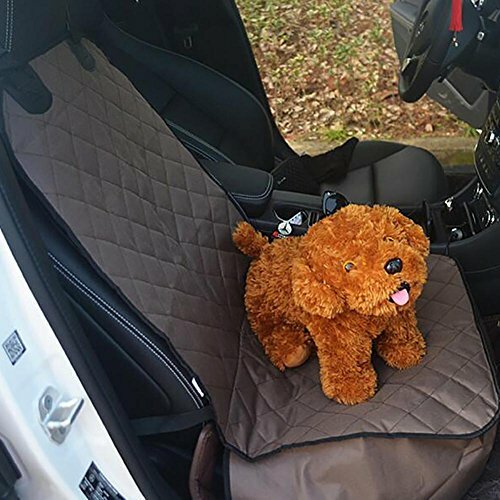 Thankfully in the month following the incident, Willow has made a successful recovery. 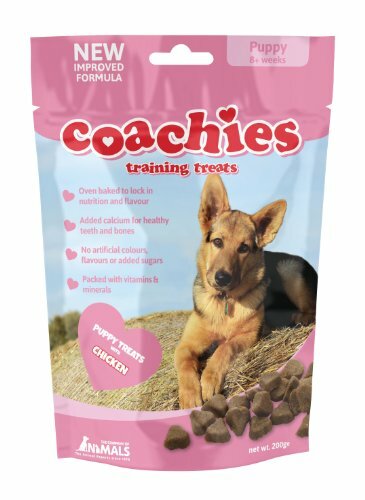 Although Willow had a lucky escape, specialist vets are now urging pet owners not to throw sticks for their dogs when playing fetch. 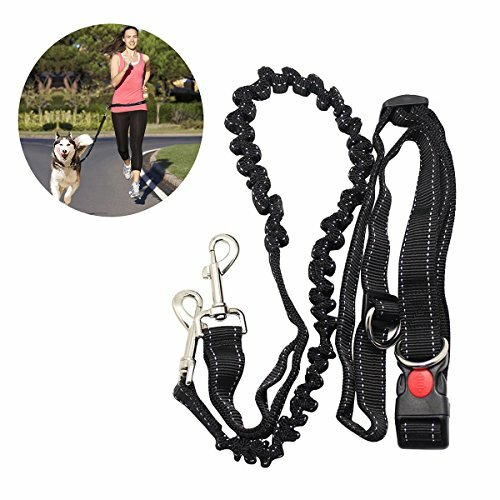 Doing so can clearly lead to “disastrous injuries” and could potentially be fatal. 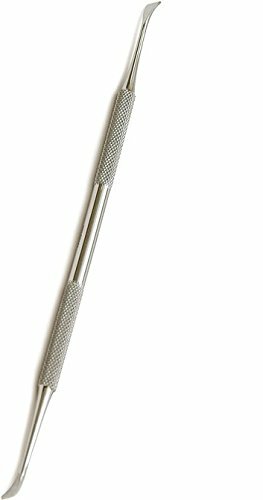 In Willow’s case, the stick missed all vital vessels, nerves and structure in the area where she was impaled. 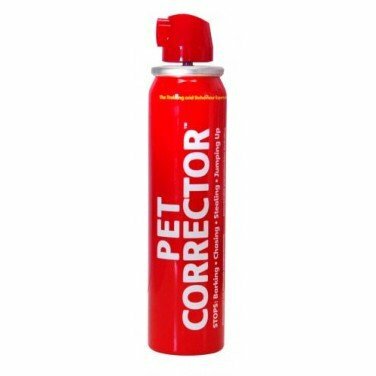 Unfortunately, this type of incident is rather common, and the outcome can be far worse. 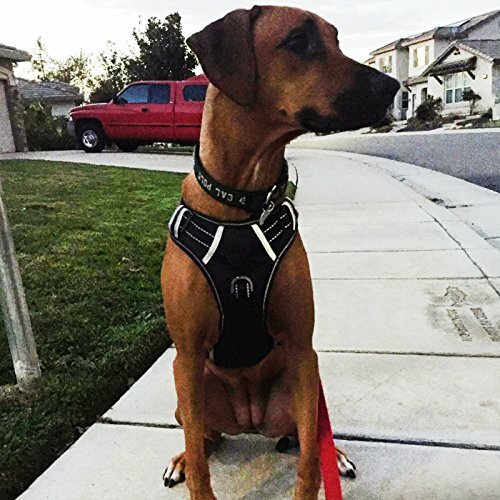 Willow’s owner hopes that sharing this traumatic event will educate dog owners. 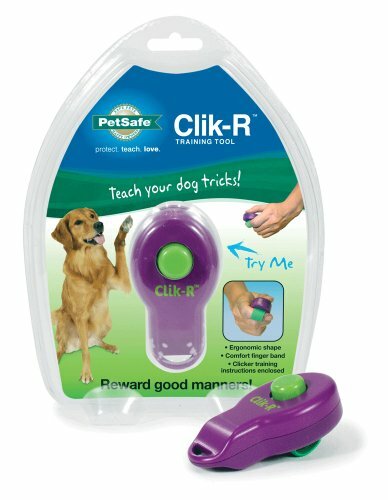 Owners should still play fetch with their dogs, but use balls and soft toys instead because they don’t pose such a risk. 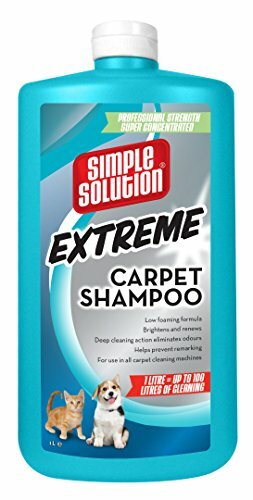 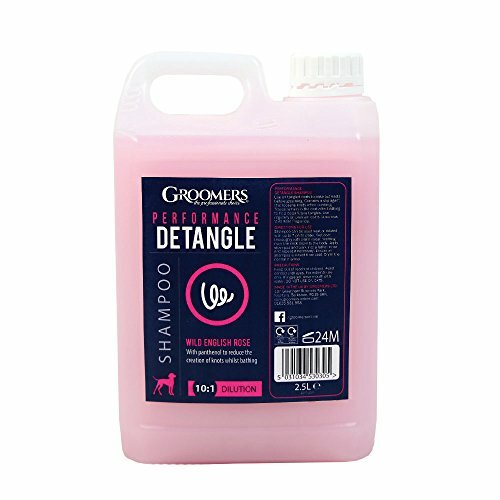 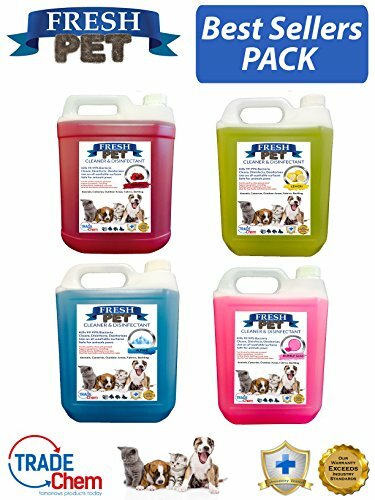 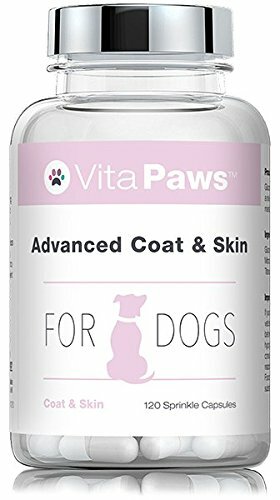 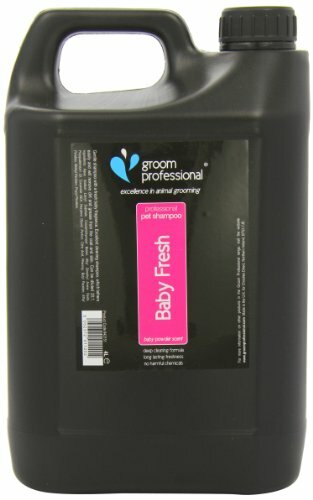 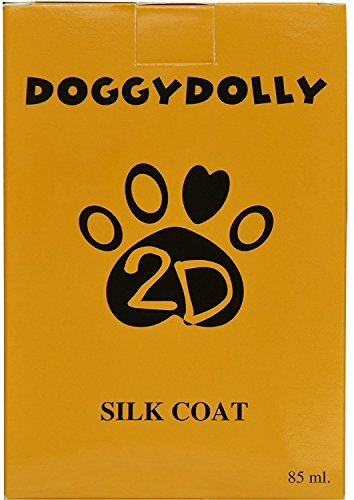 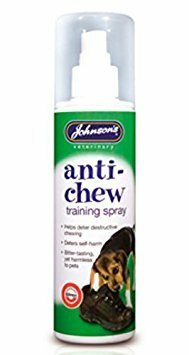 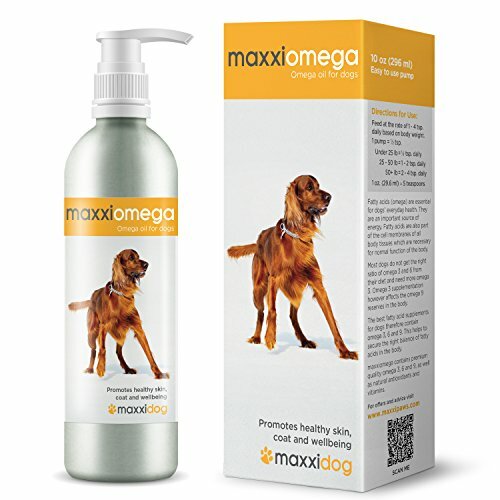 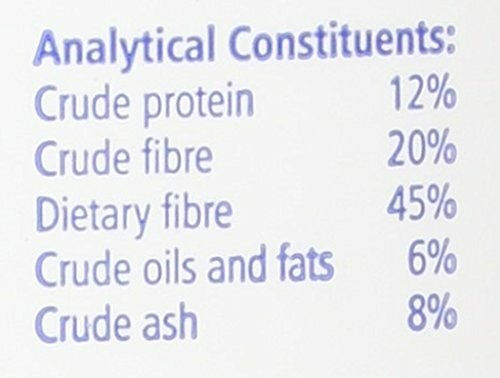 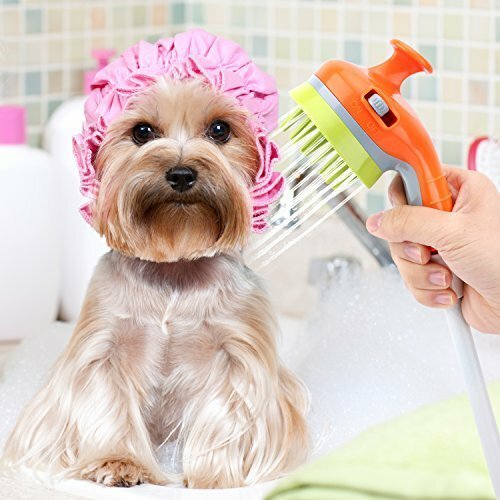 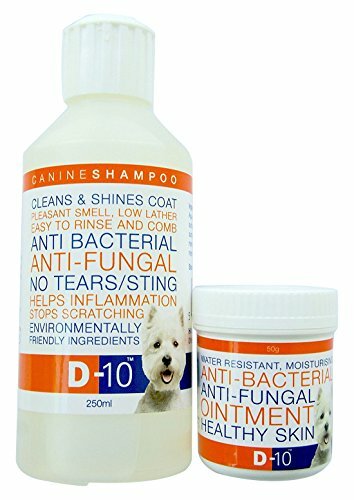 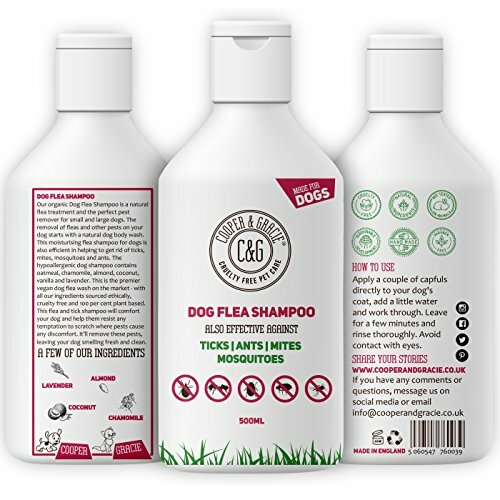 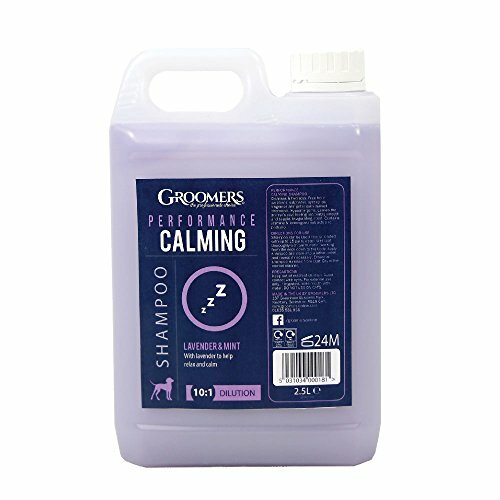 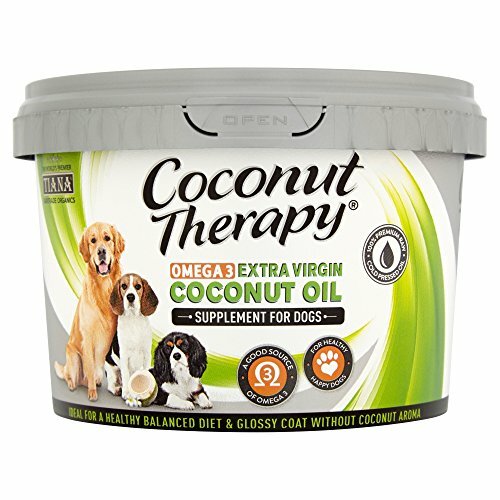 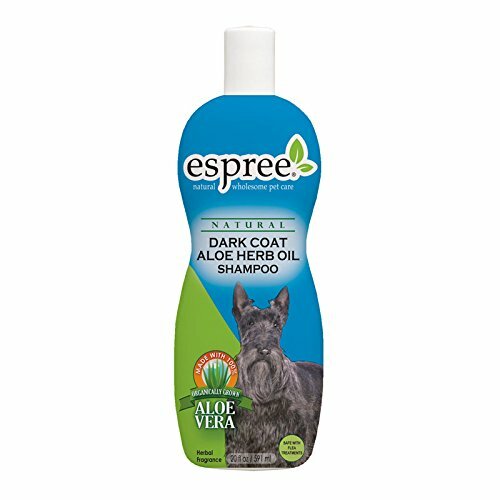 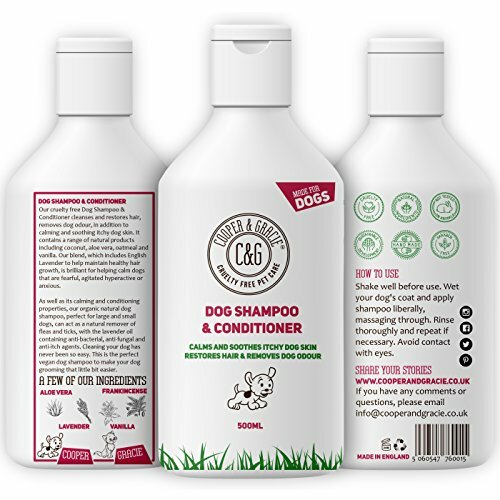 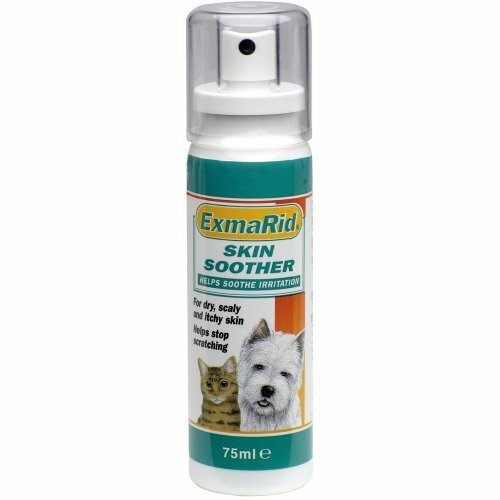 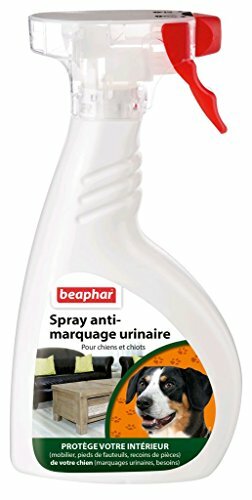 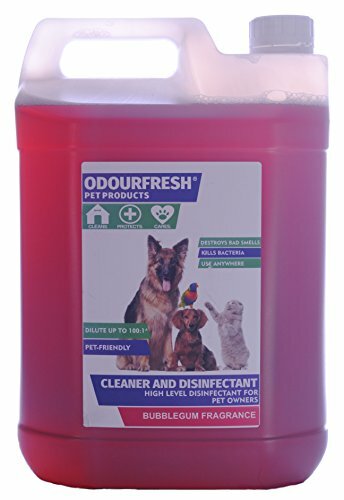 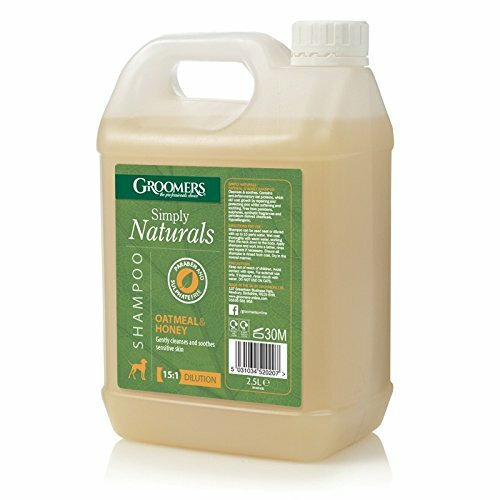 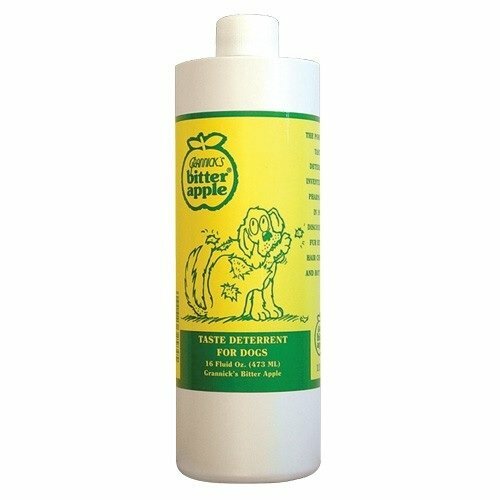 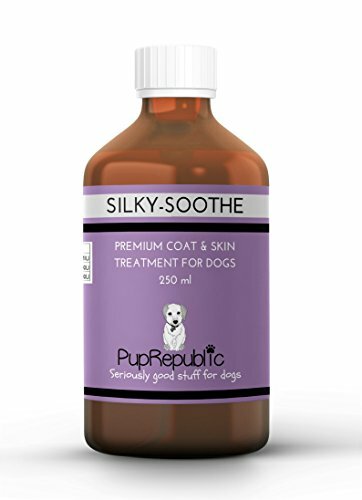 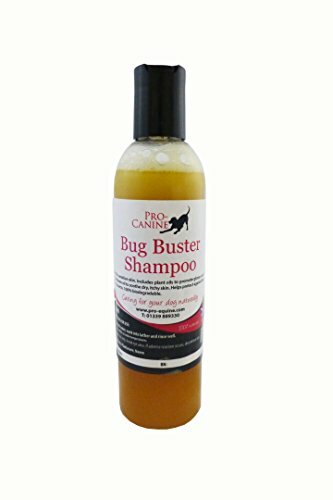 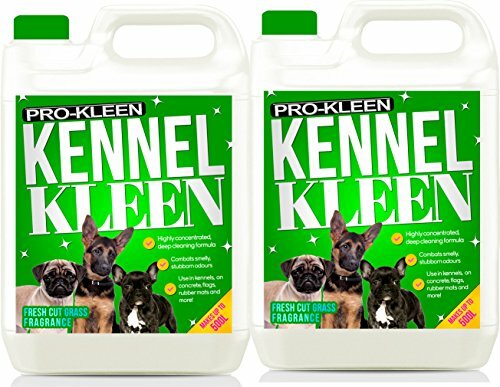 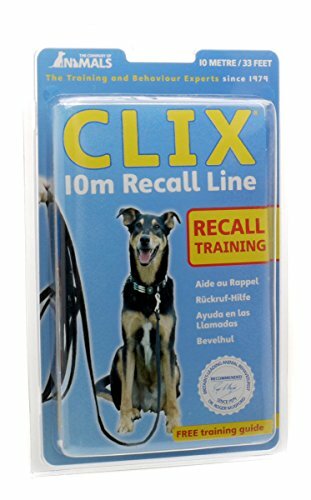 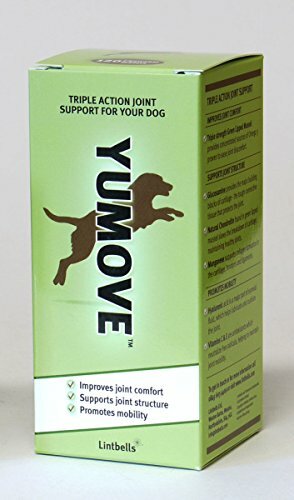 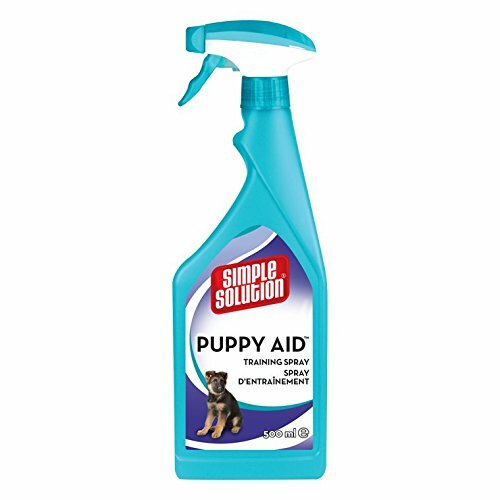 Shampoo for dogs with light fur – with Aloe Vera, 400 ml. 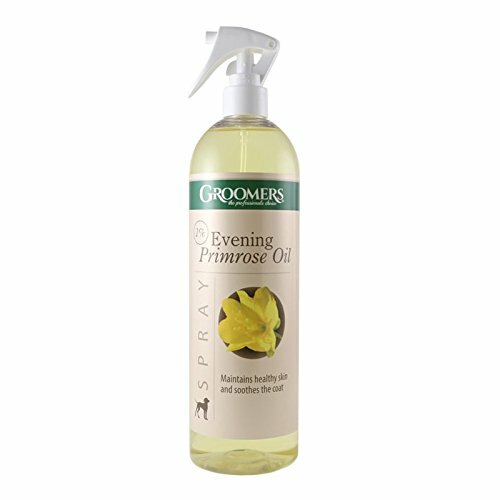 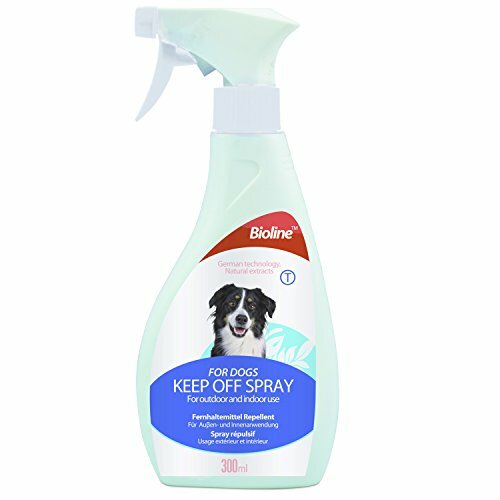 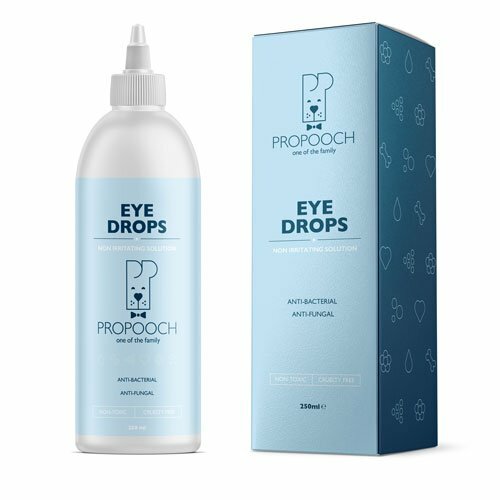 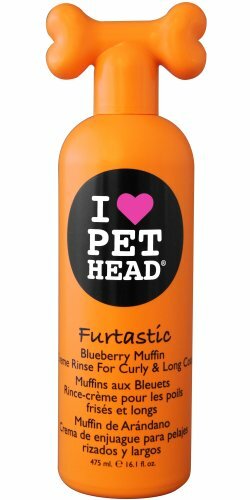 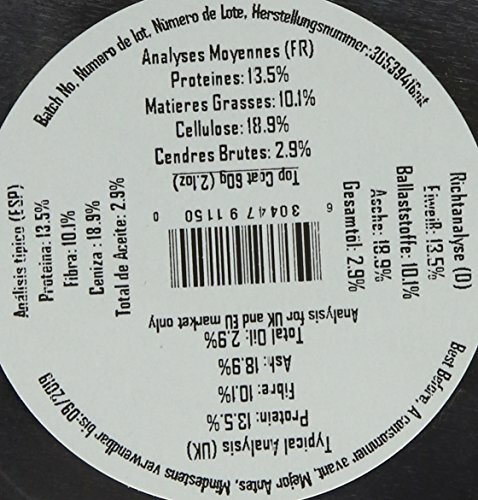 Fortifying shampoo which gives volume and shine to your pet’s coat. 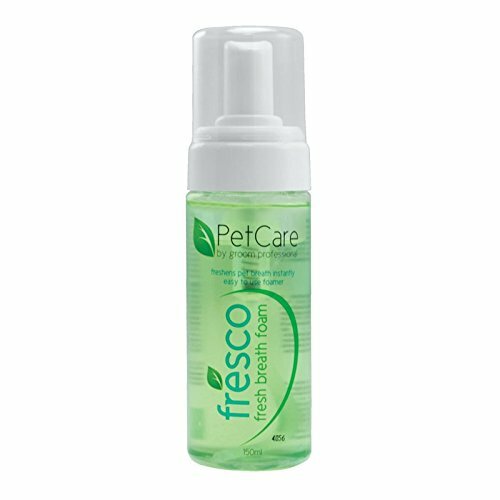 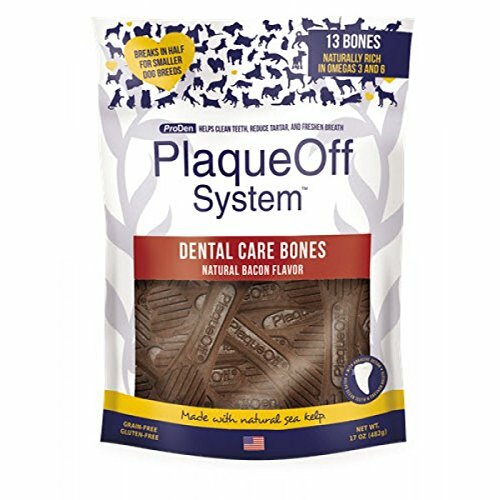 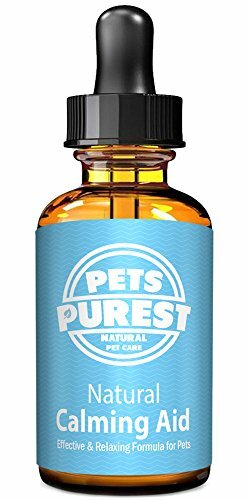 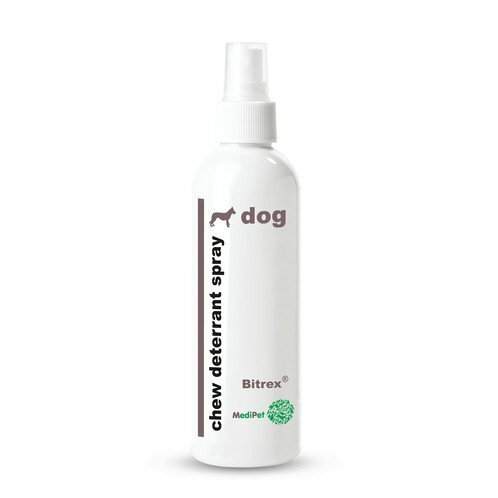 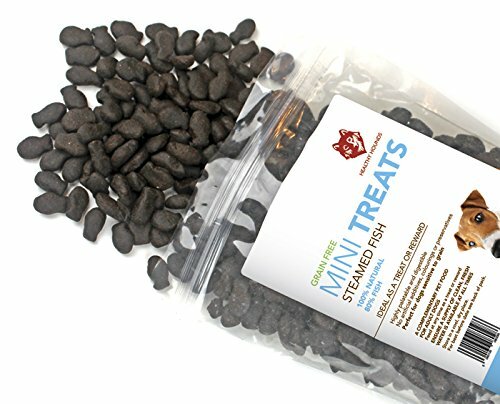 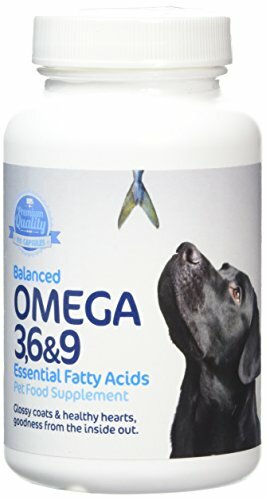 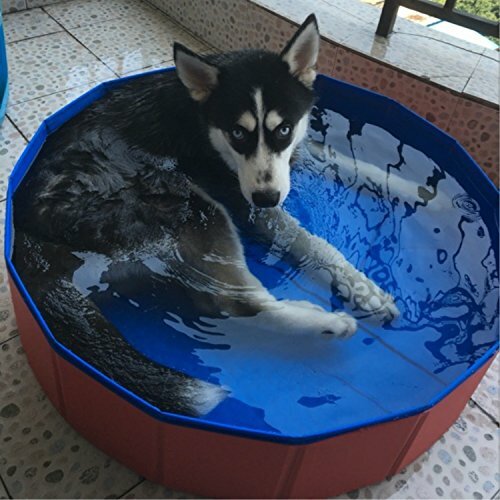 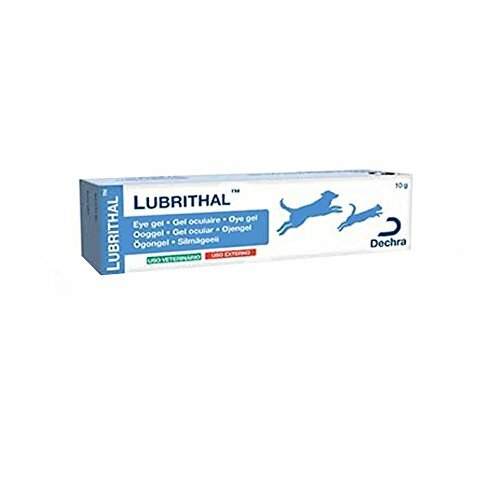 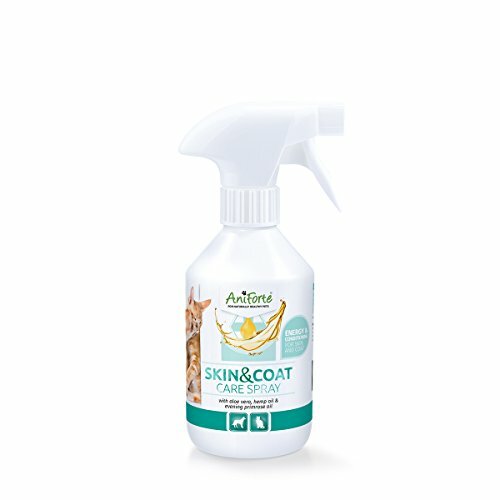 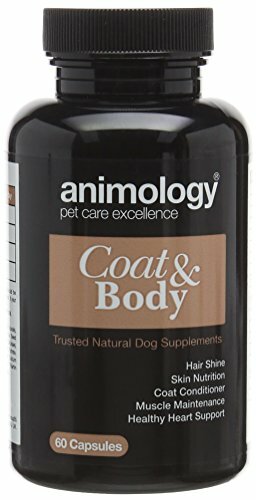 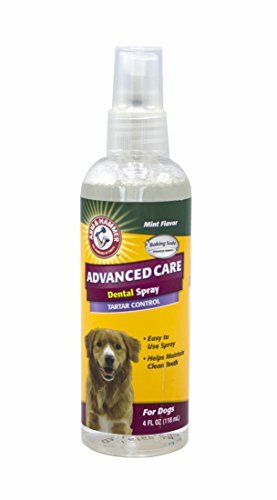 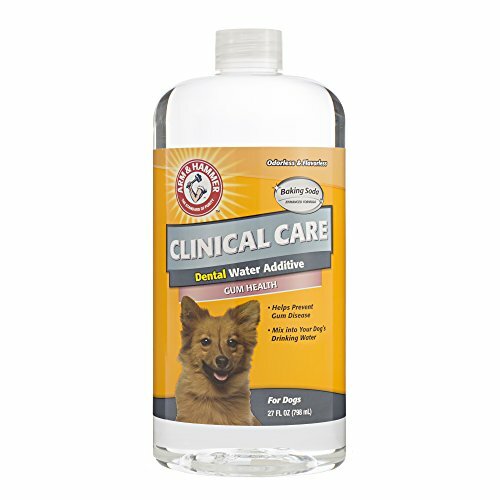 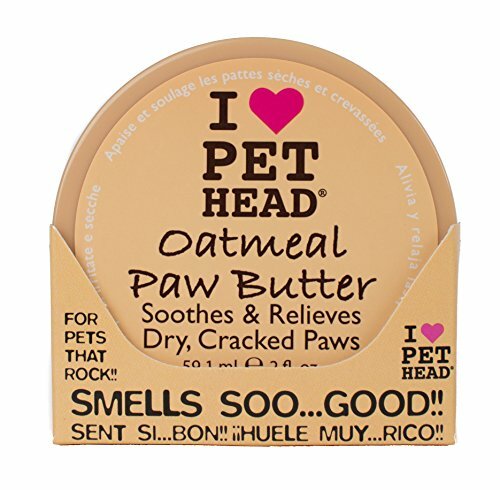 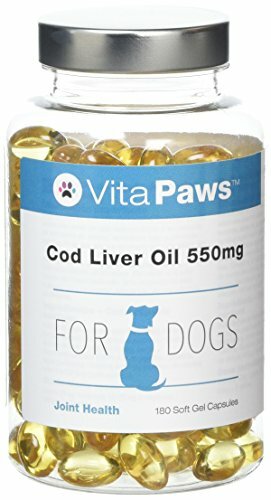 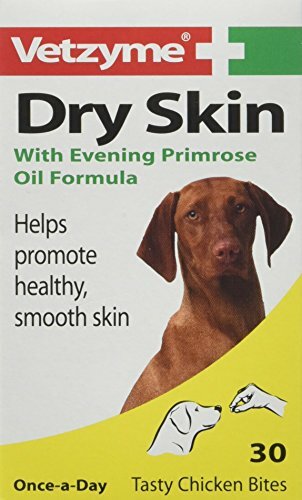 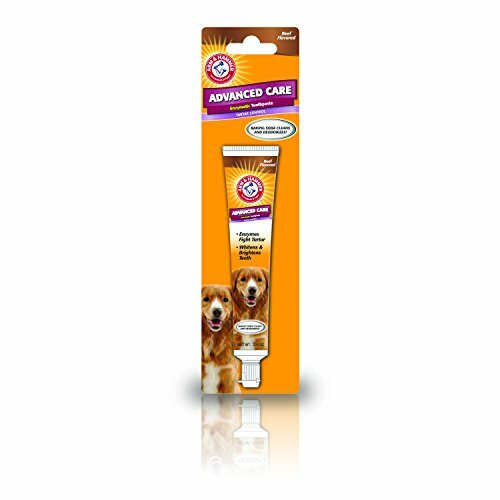 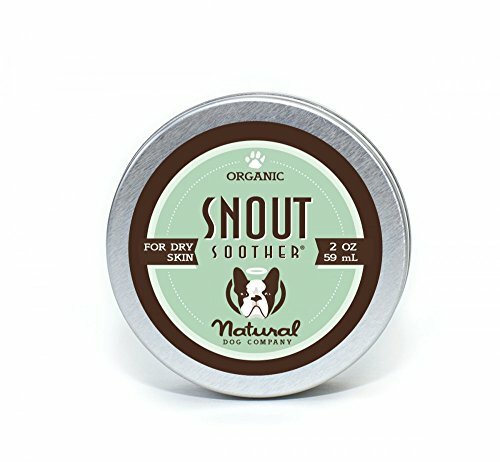 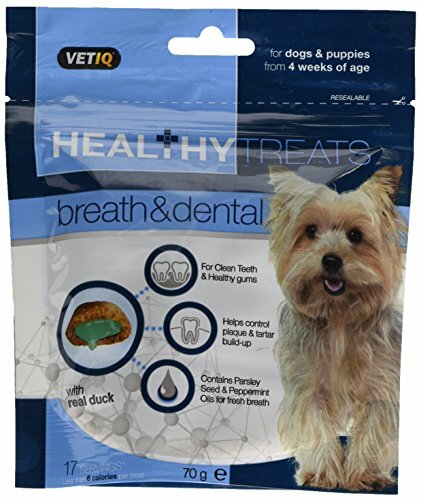 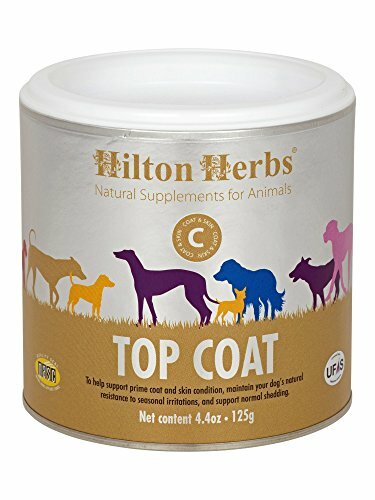 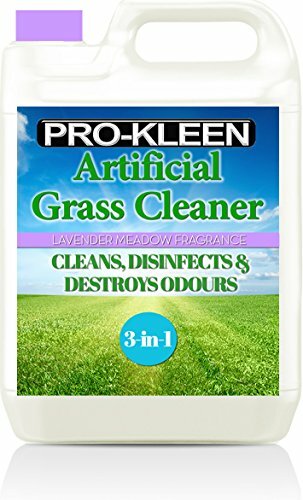 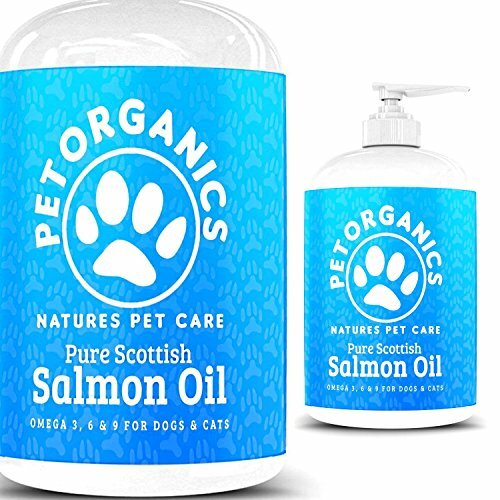 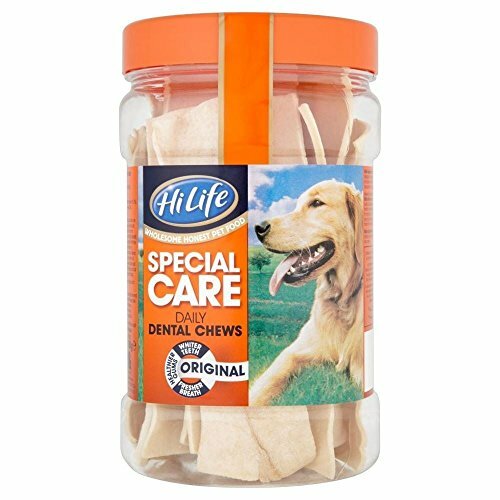 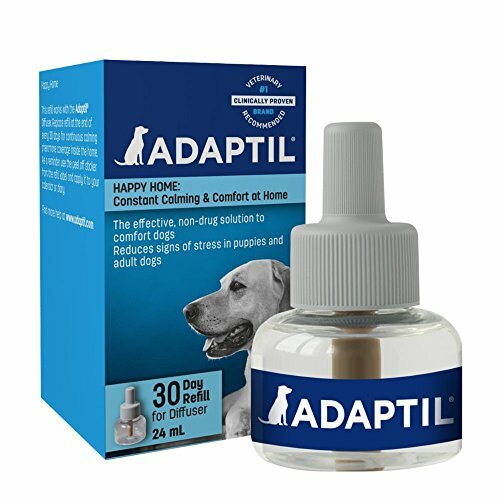 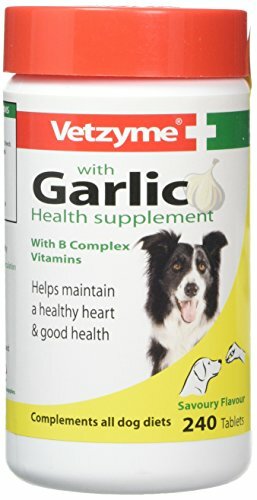 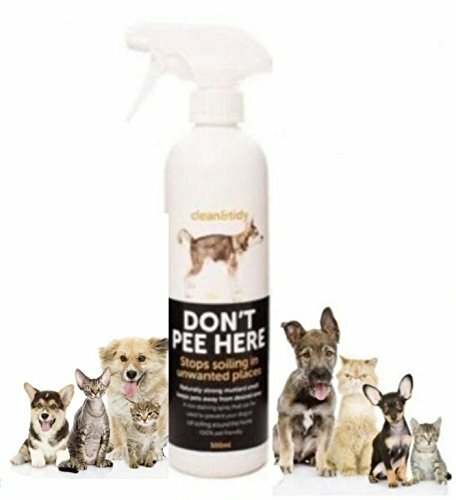 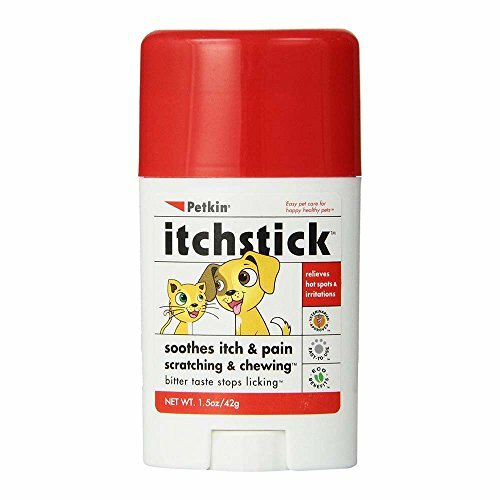 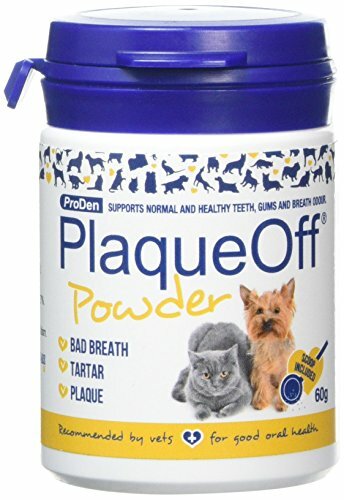 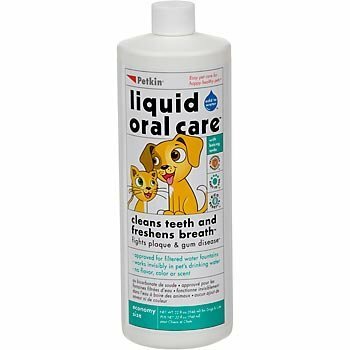 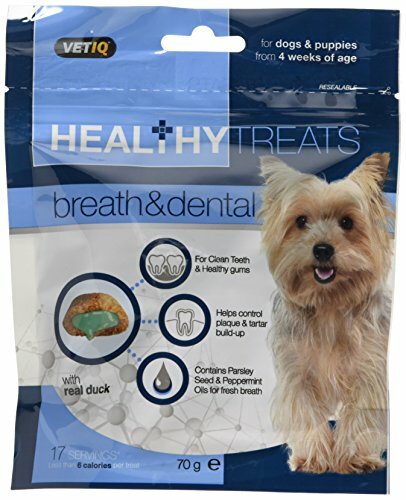 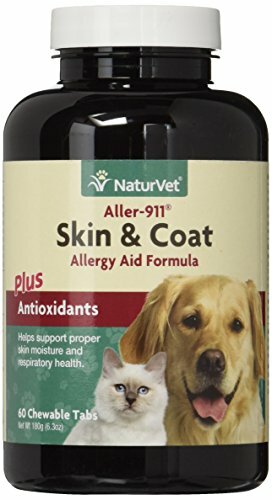 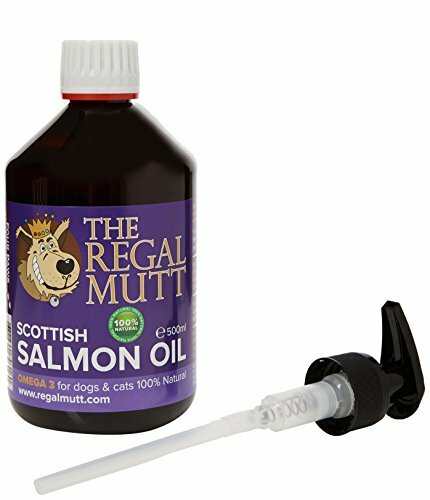 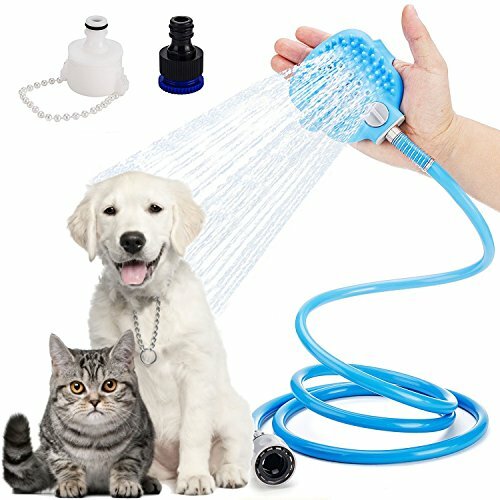 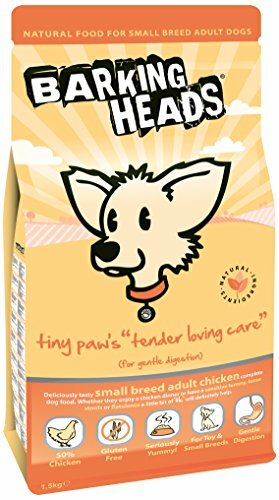 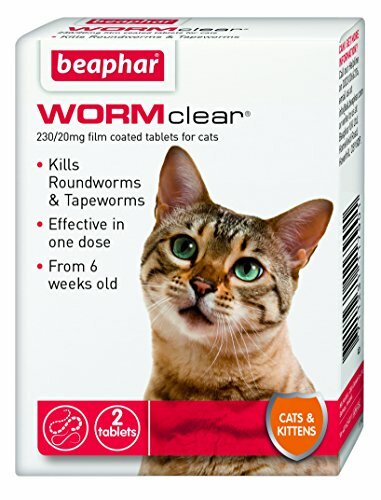 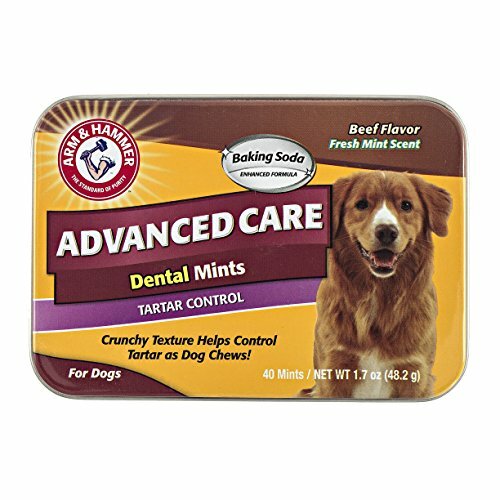 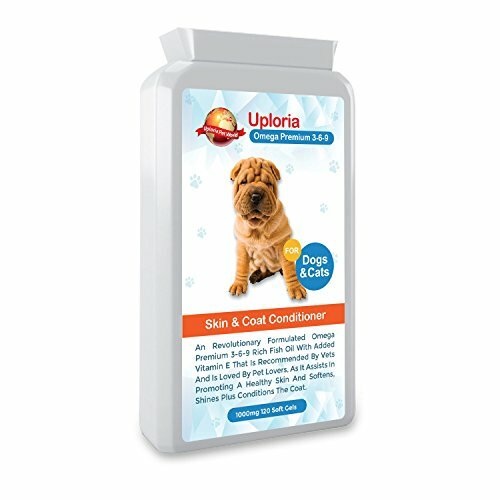 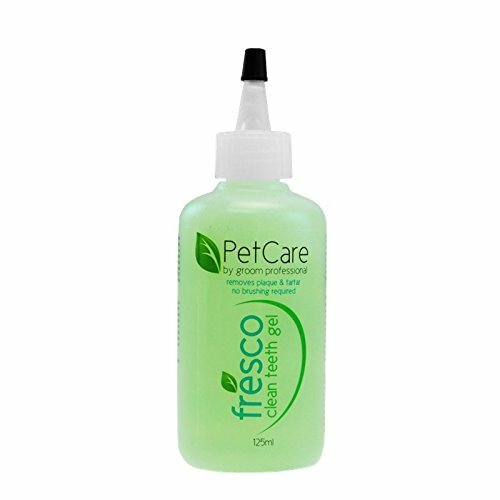 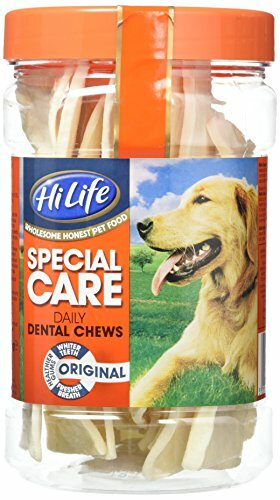 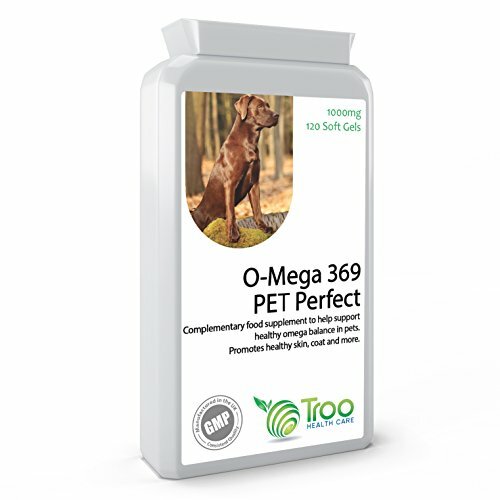 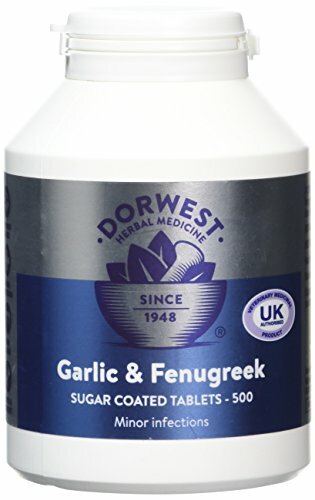 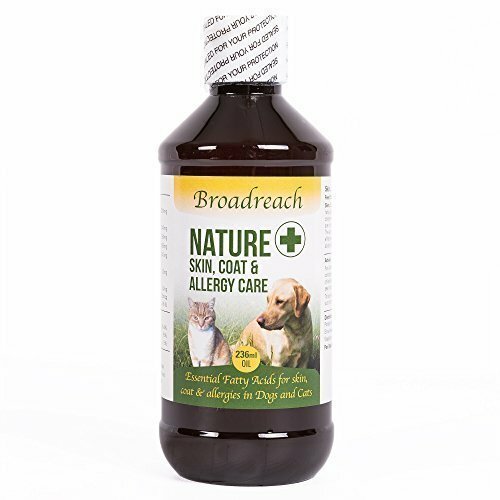 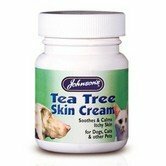 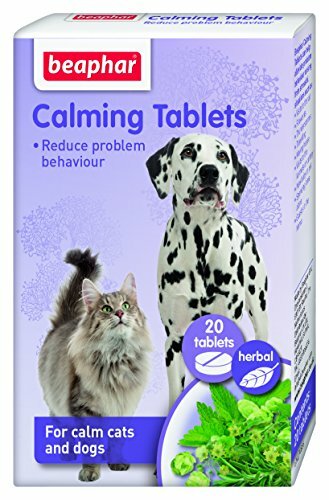 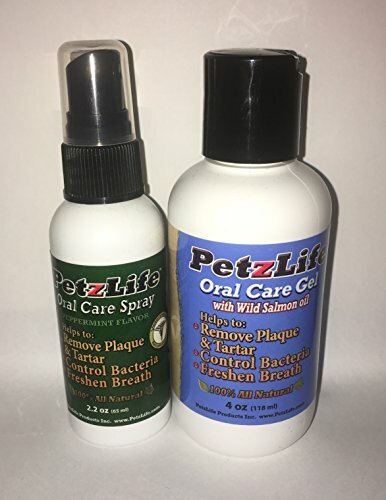 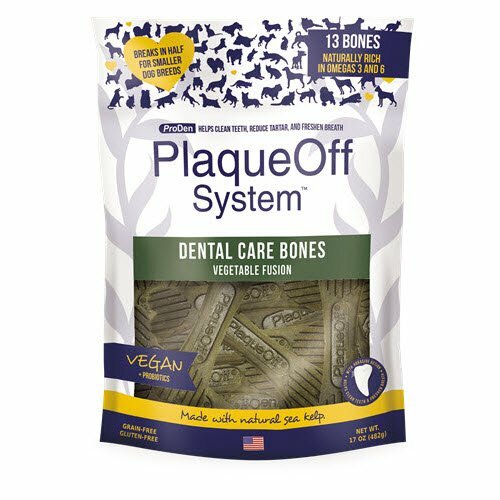 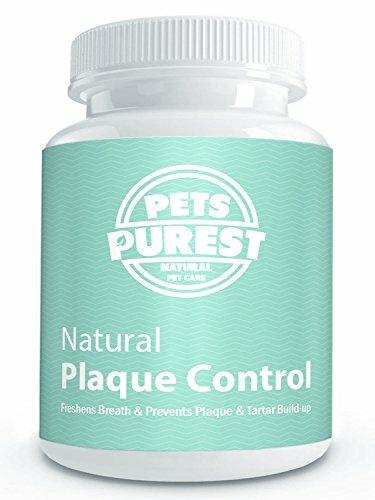 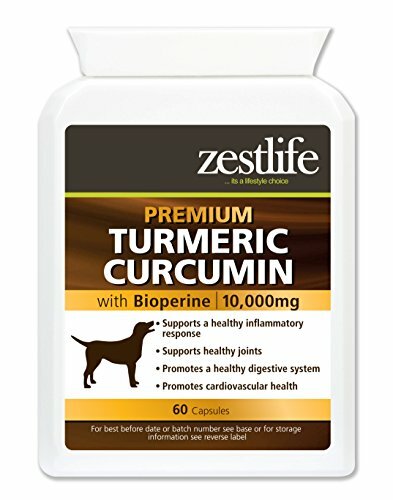 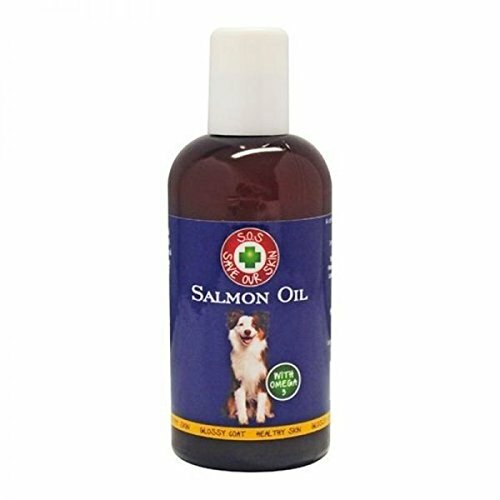 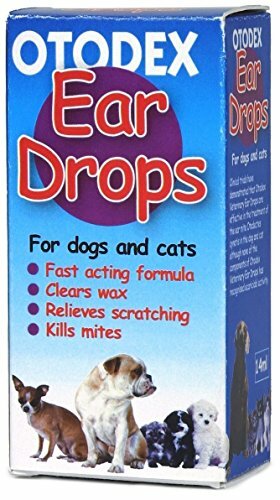 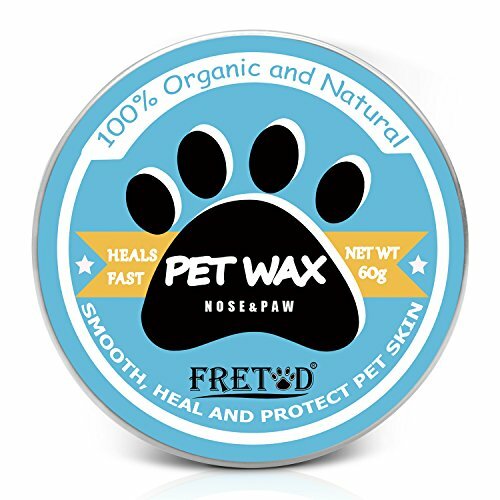 The best 100% natural care for your pet’s fur. 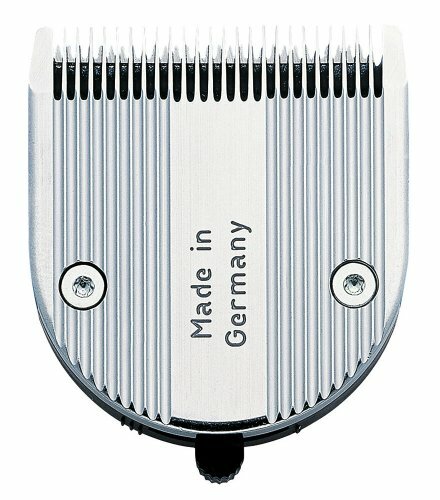 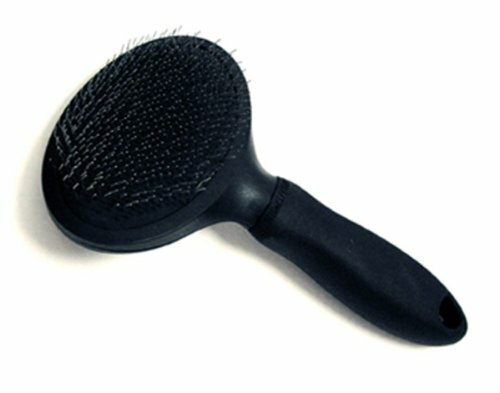 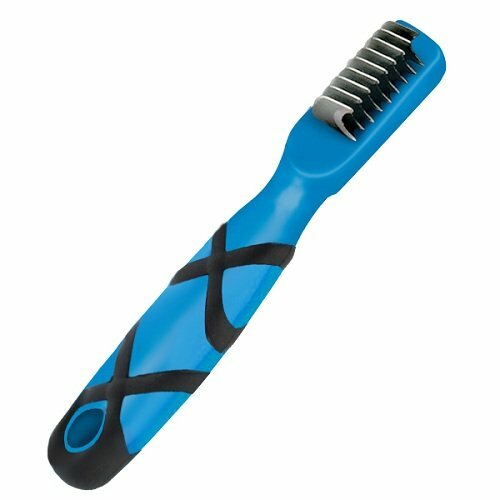 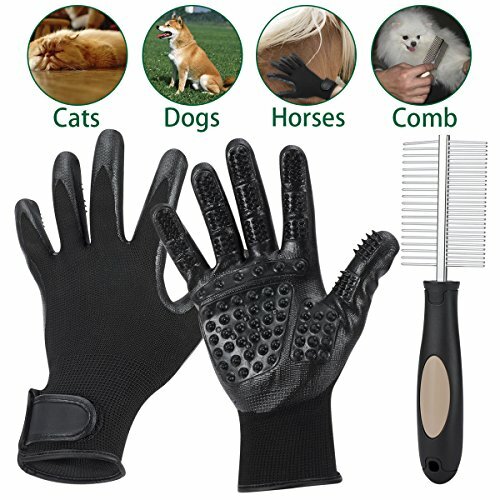 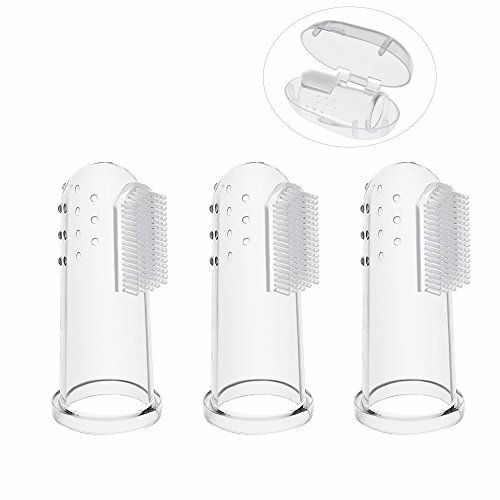 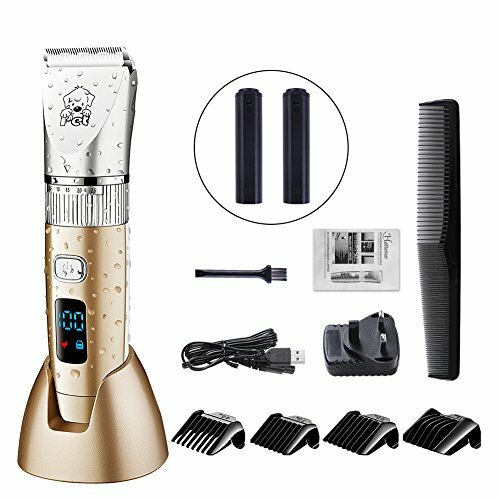 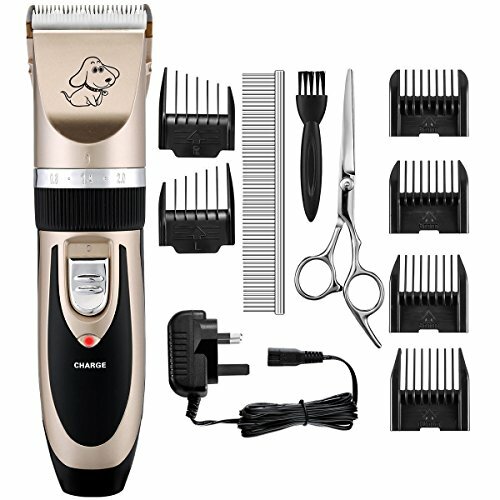 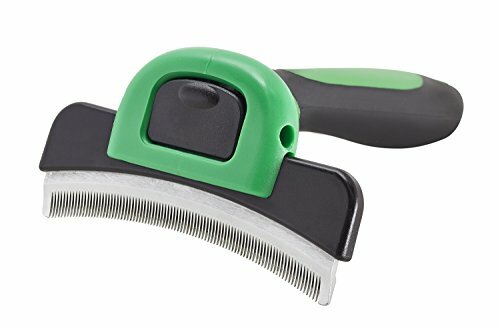 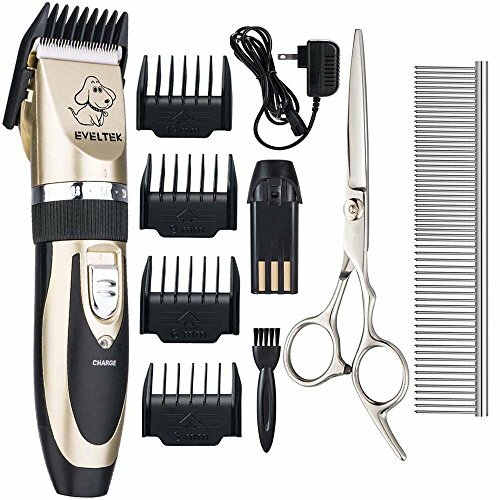 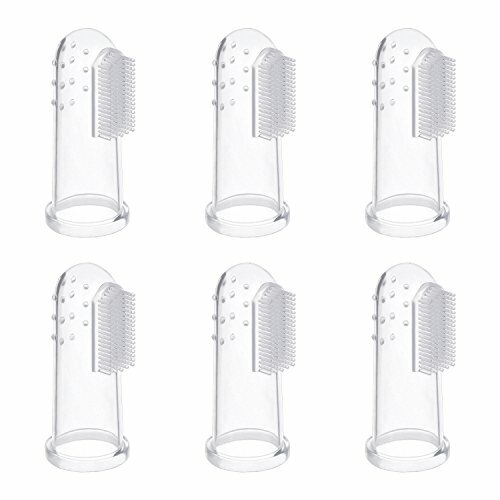 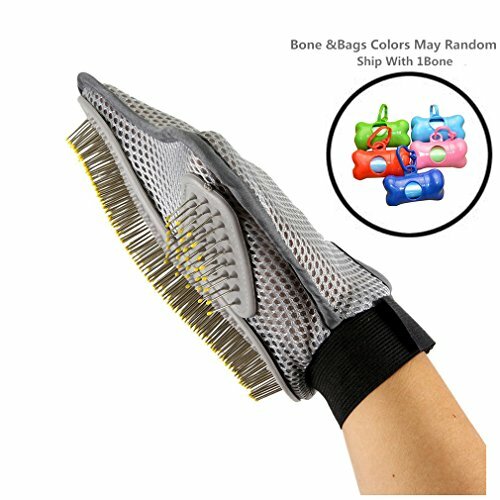 G-K-P Dog brush & Dog grooming tool size L for the perfect fur care with Curved Tool For short-haired & long-haired dogs. 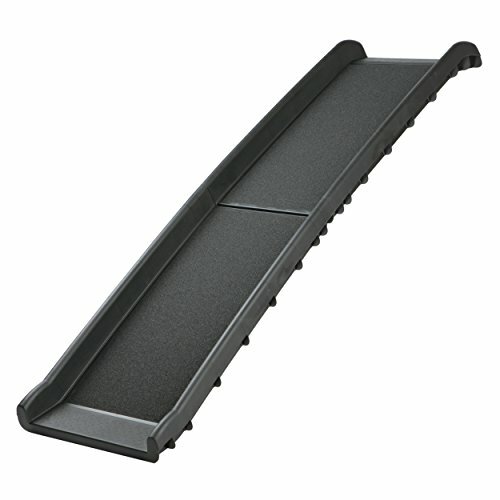 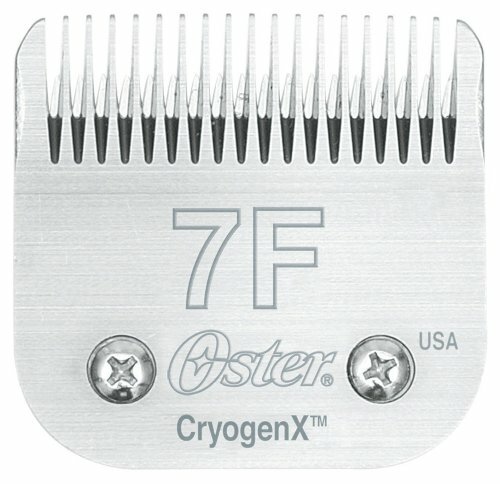 With a curved edge of 10 cm. 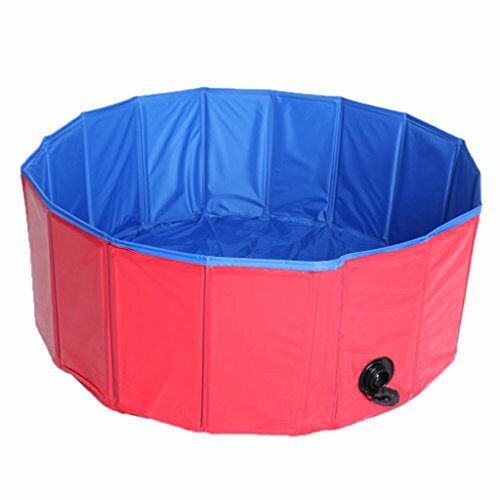 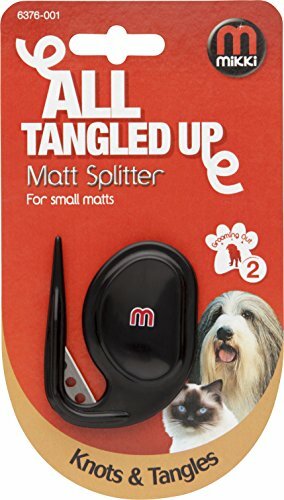 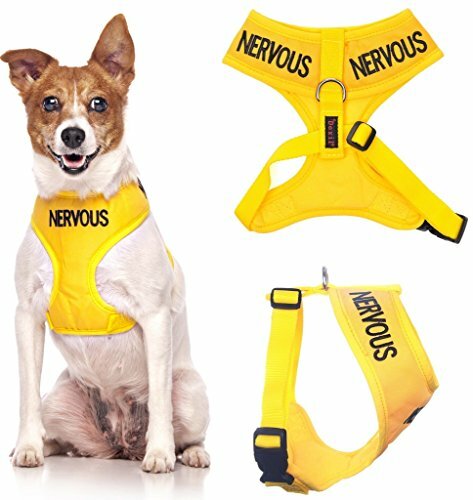 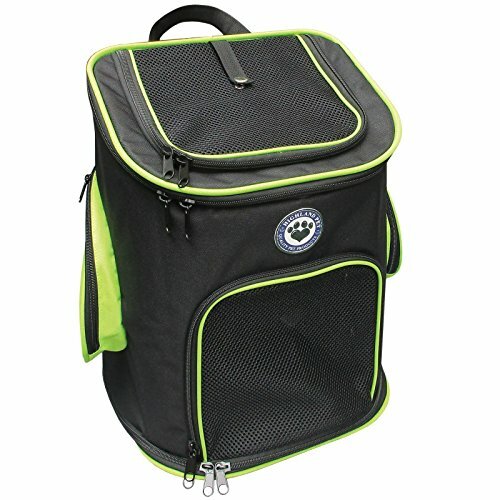 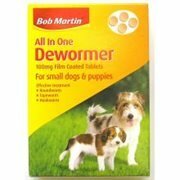 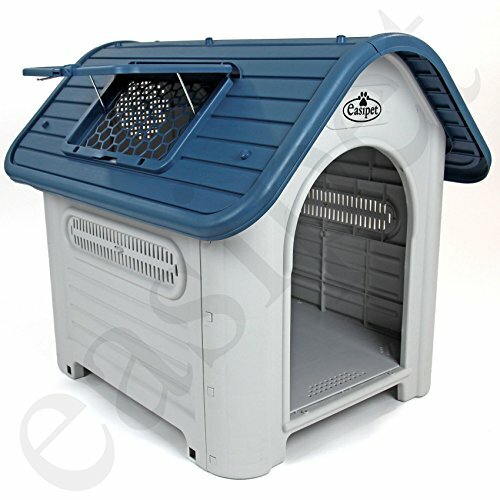 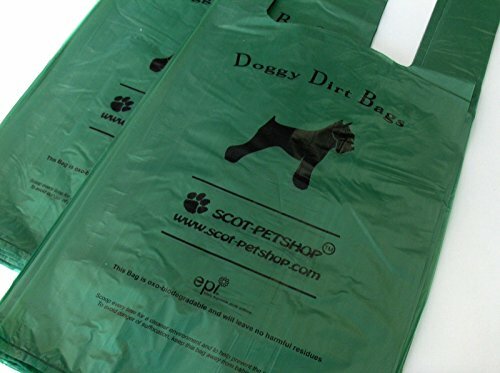 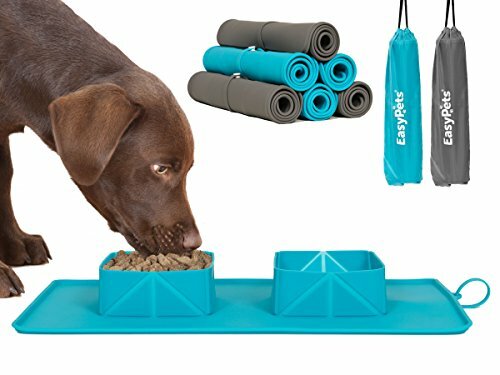 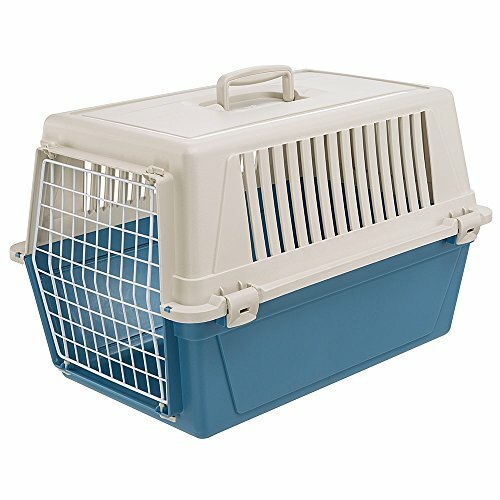 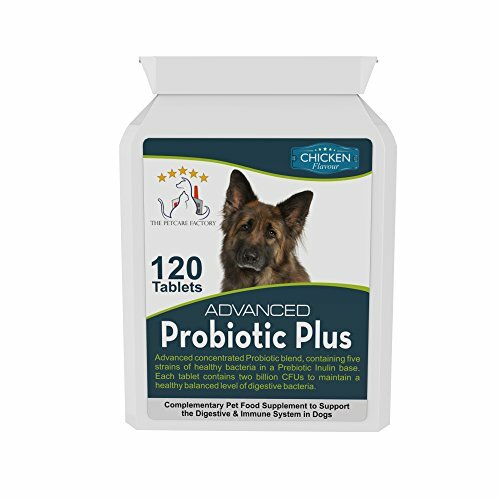 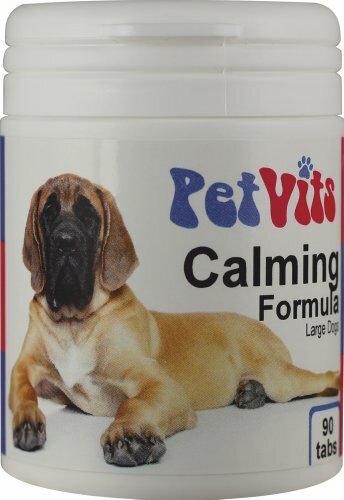 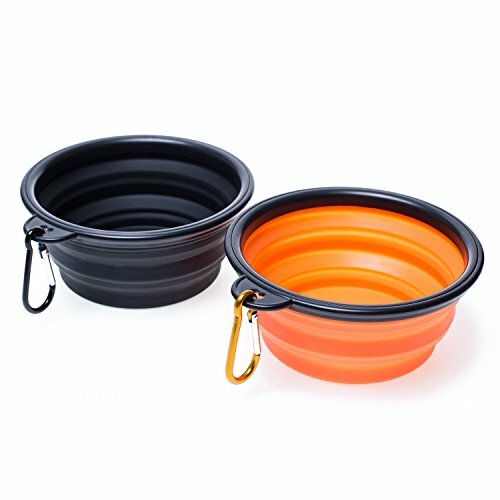 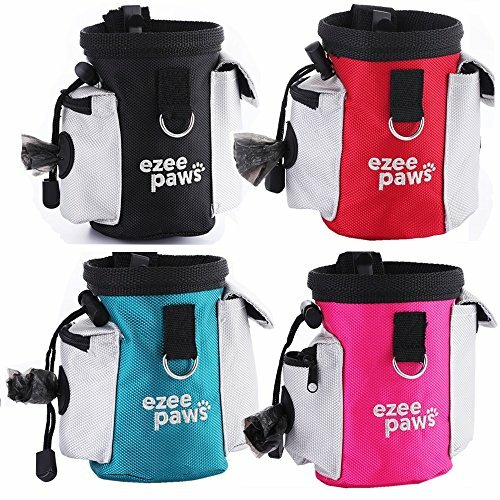 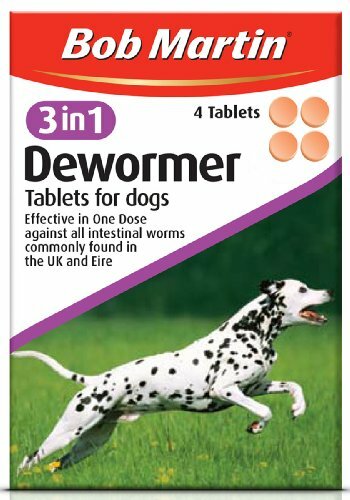 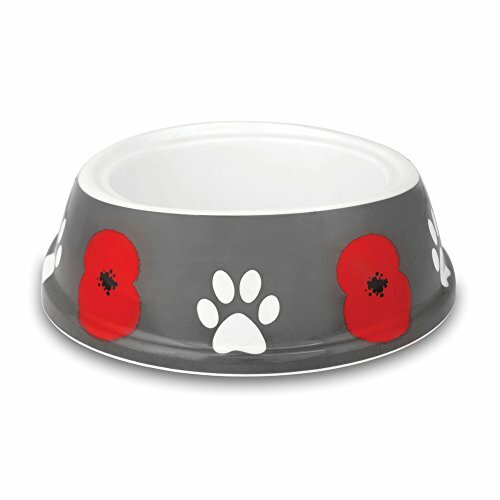 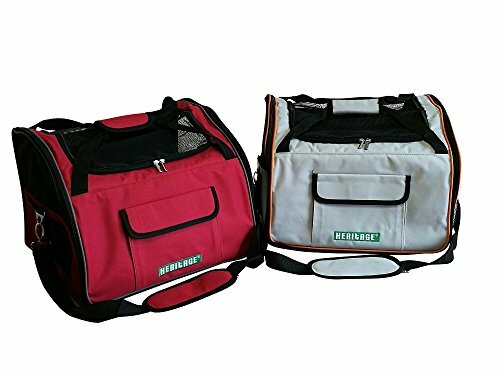 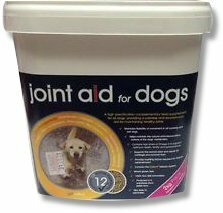 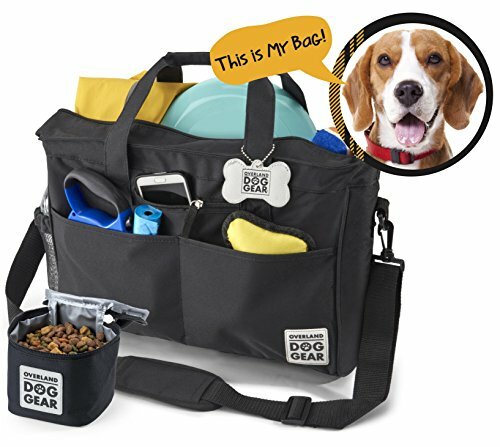 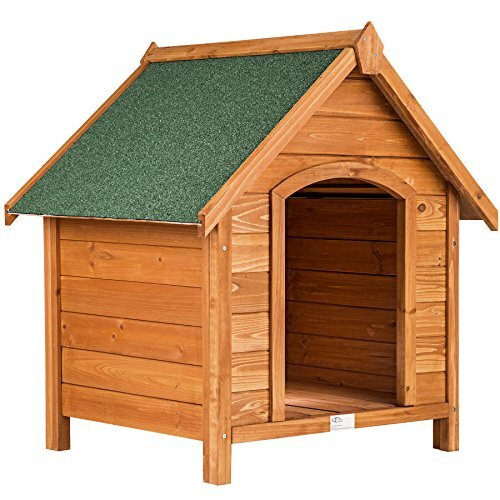 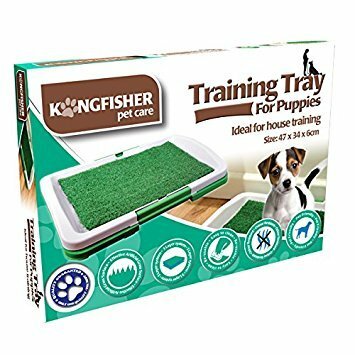 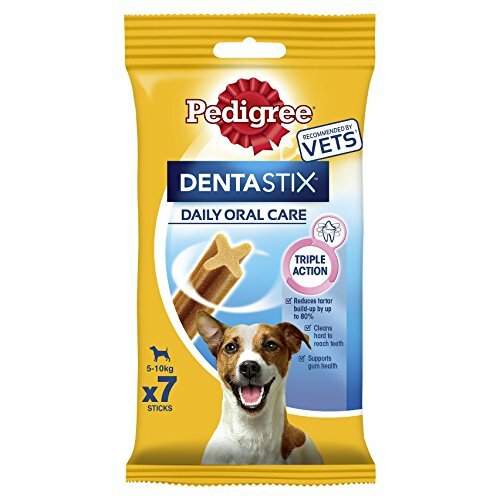 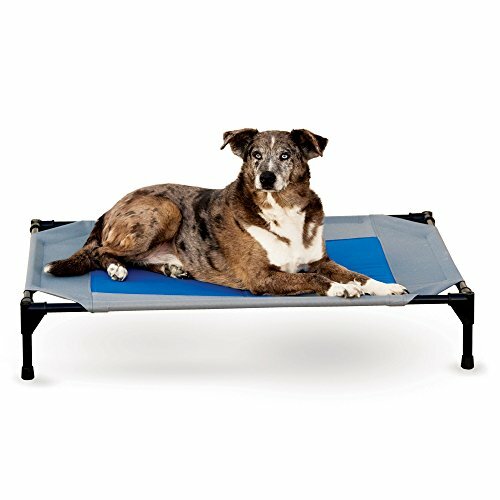 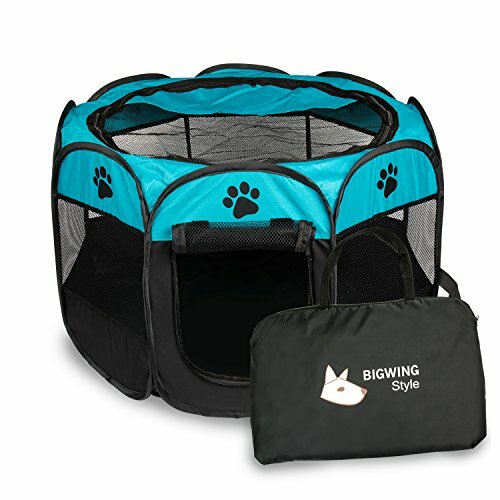 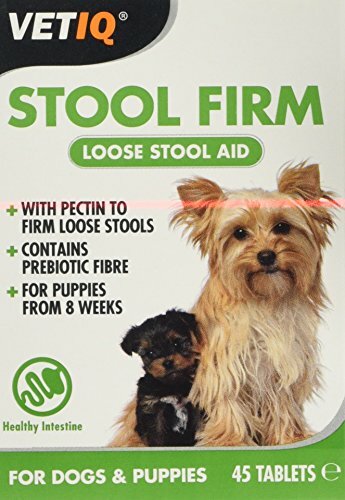 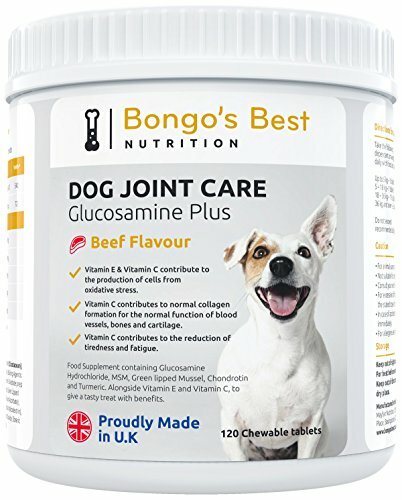 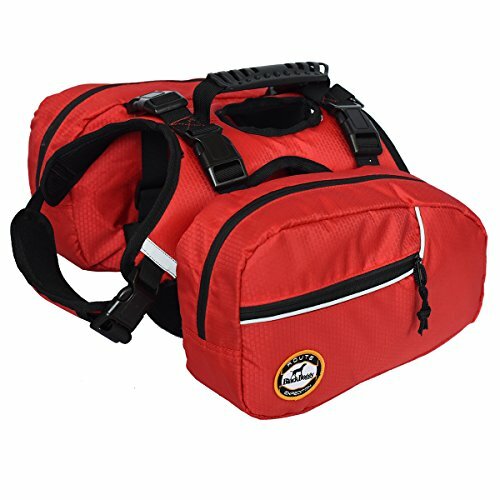 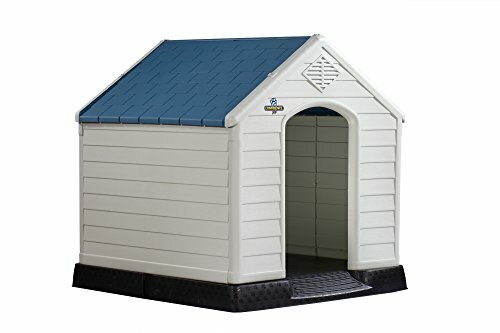 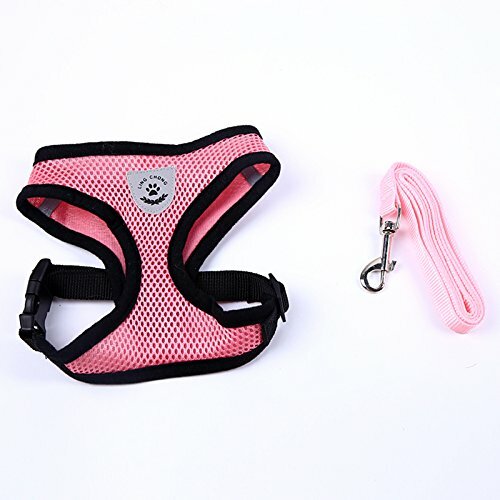 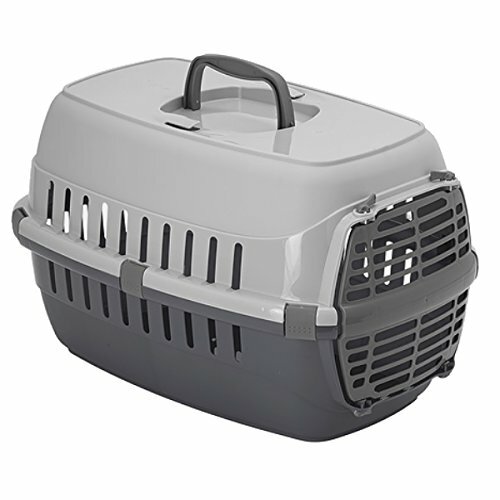 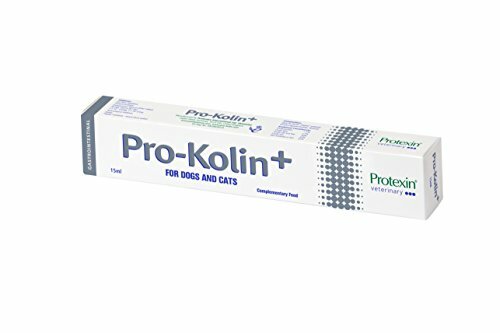 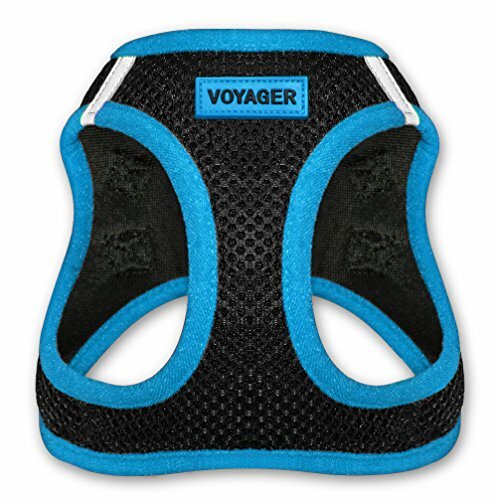 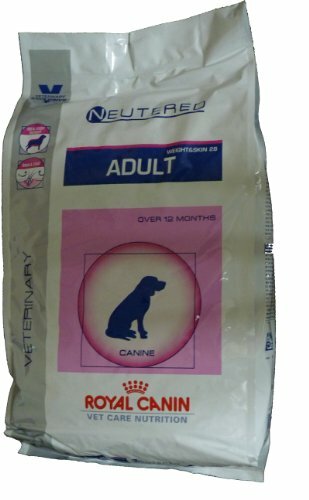 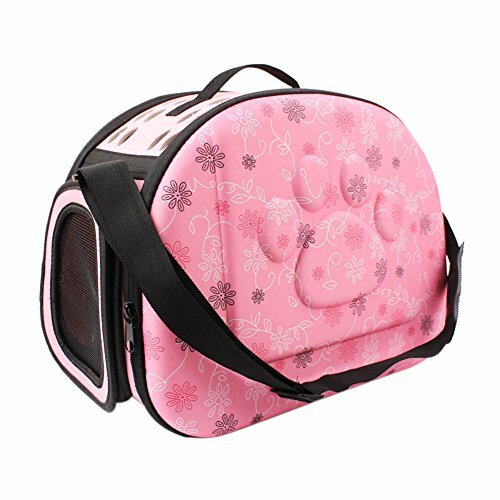 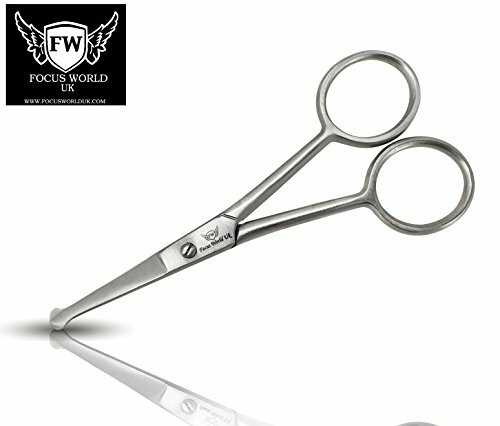 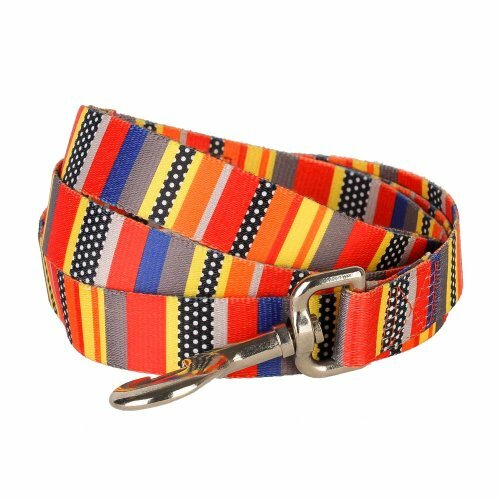 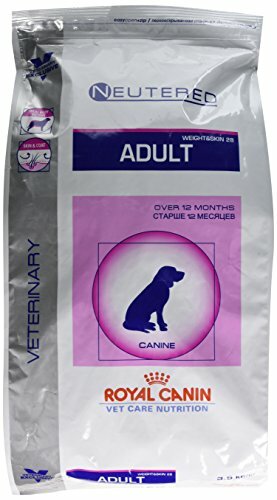 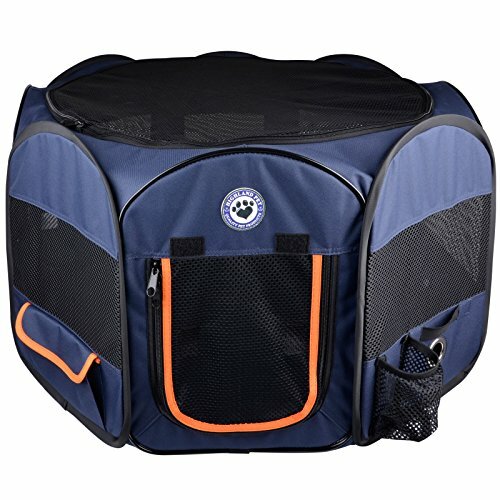 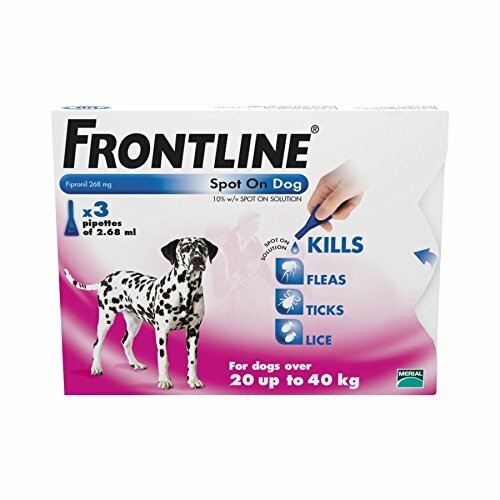 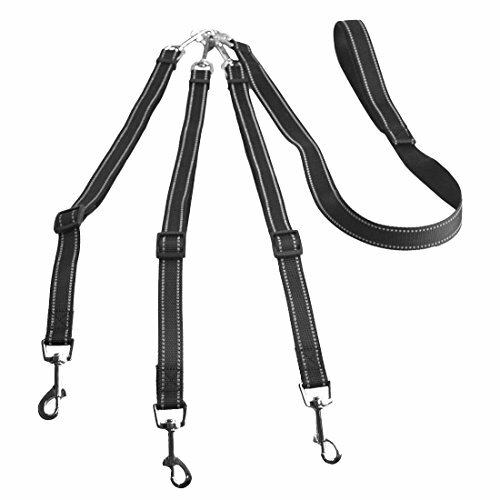 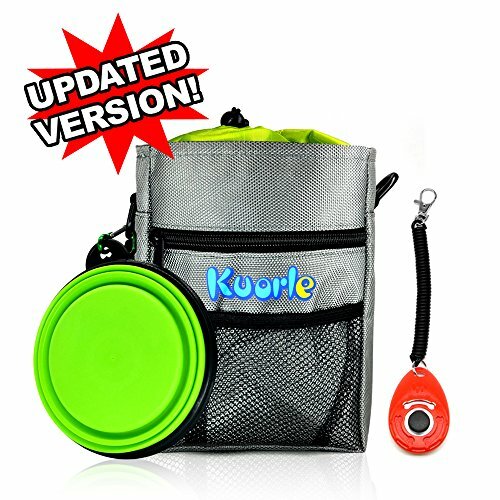 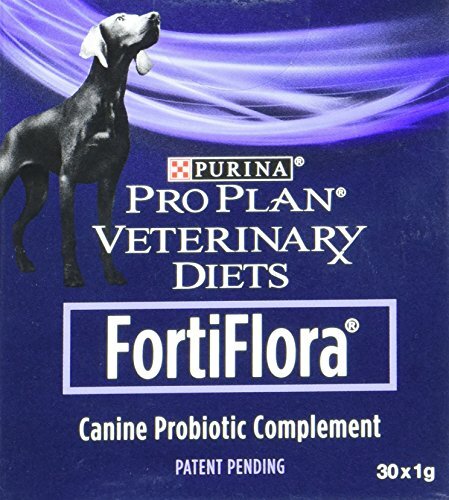 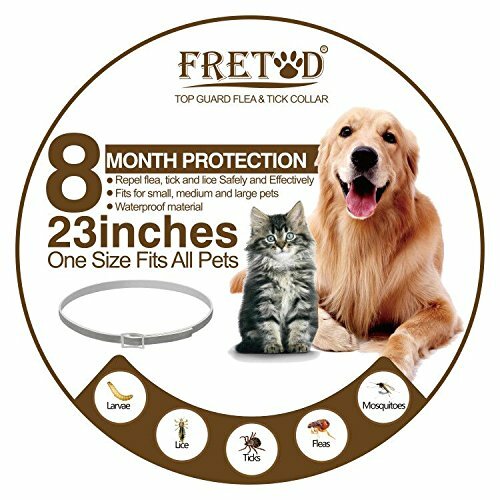 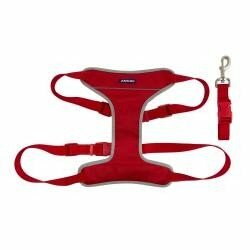 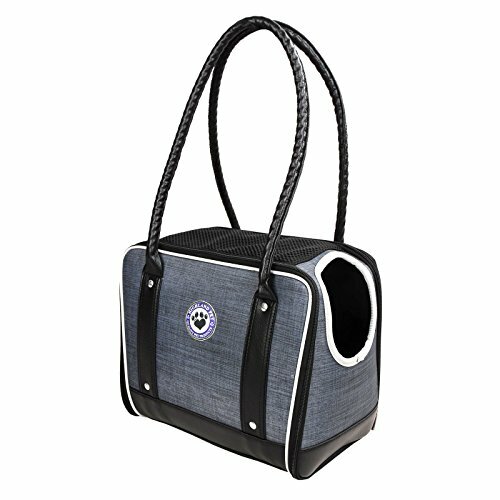 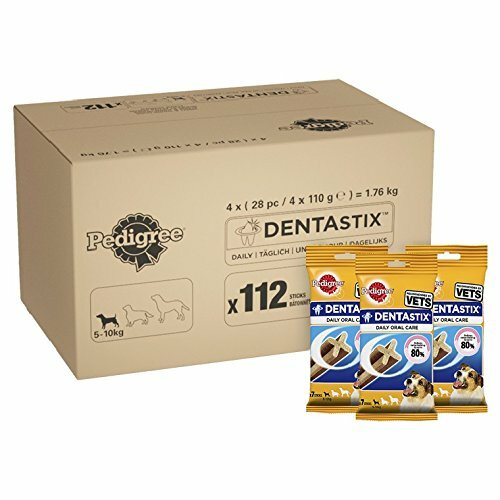 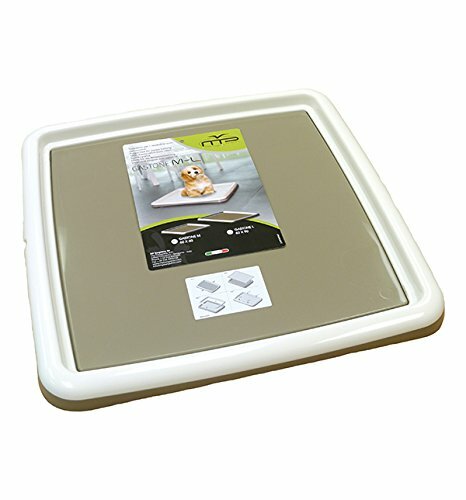 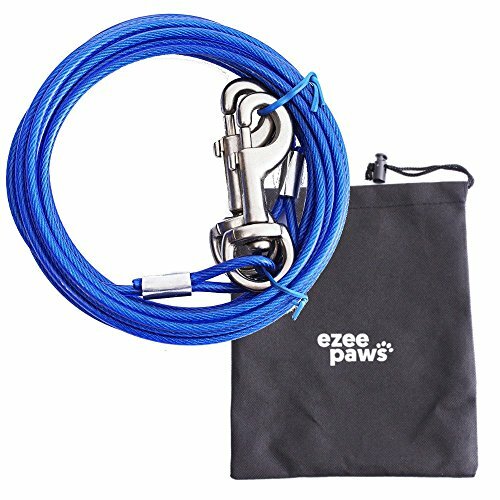 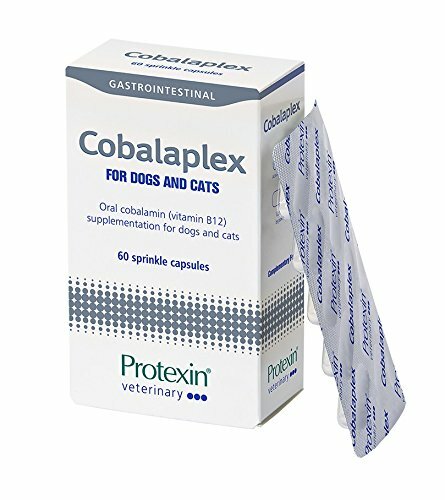 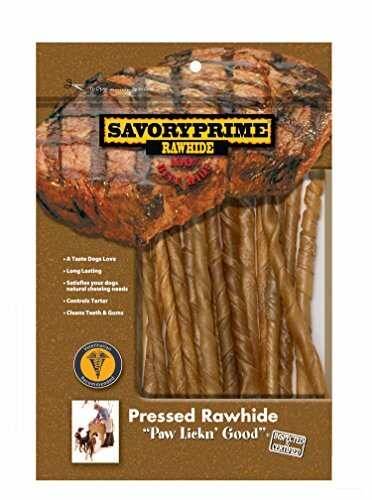 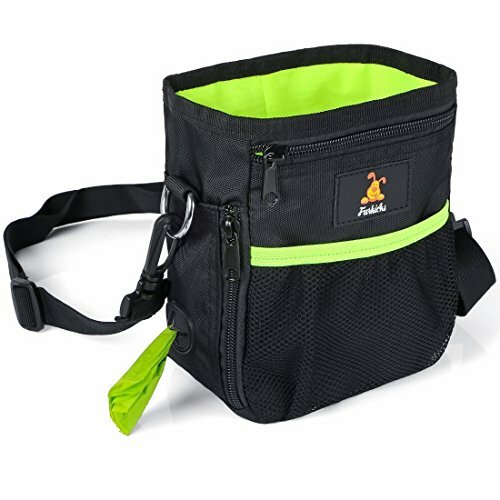 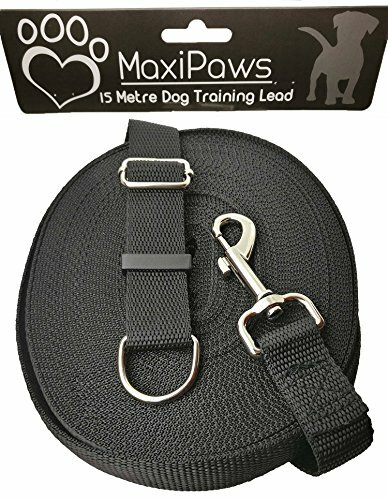 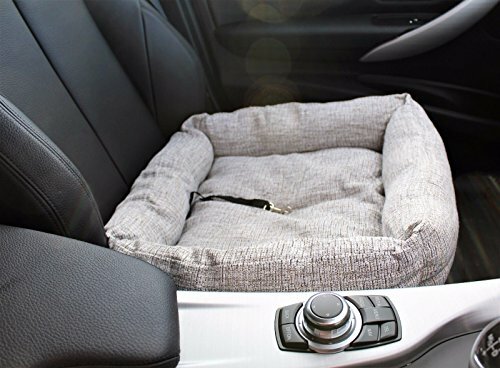 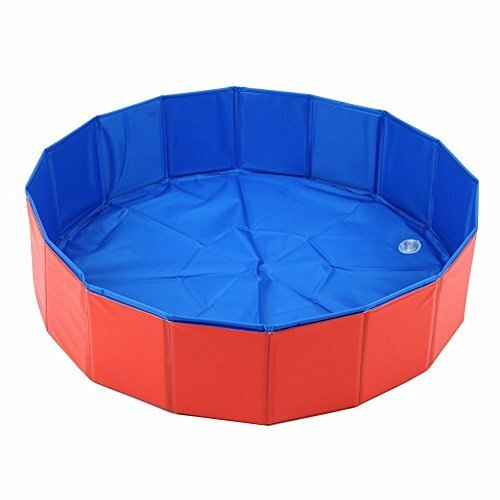 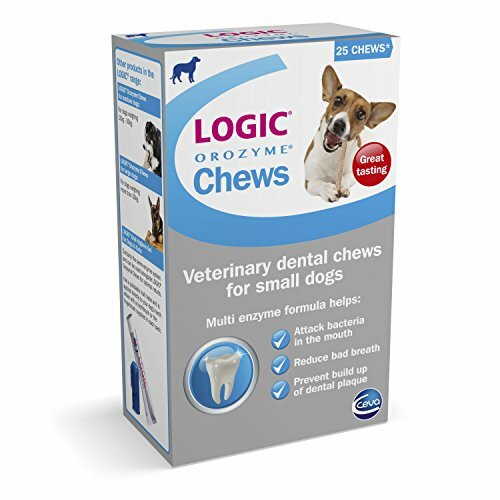 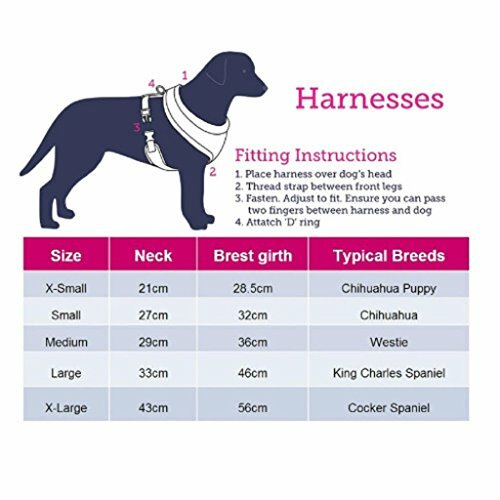 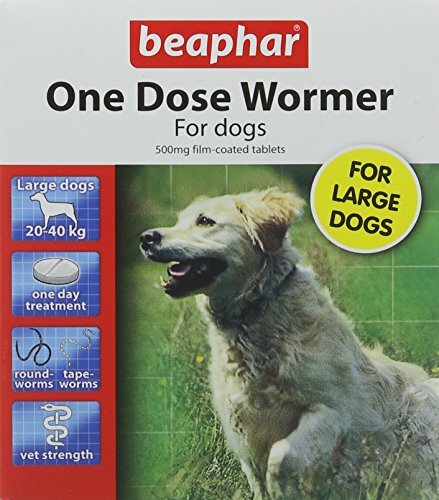 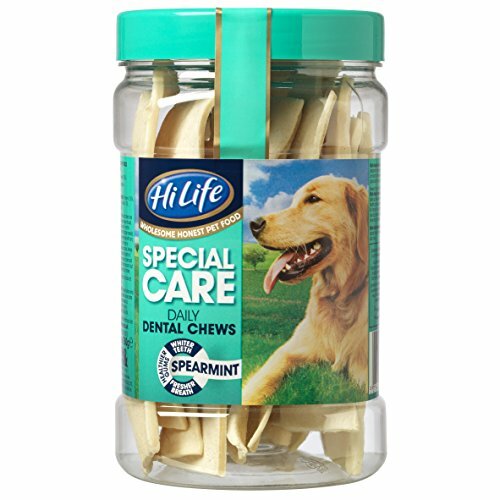 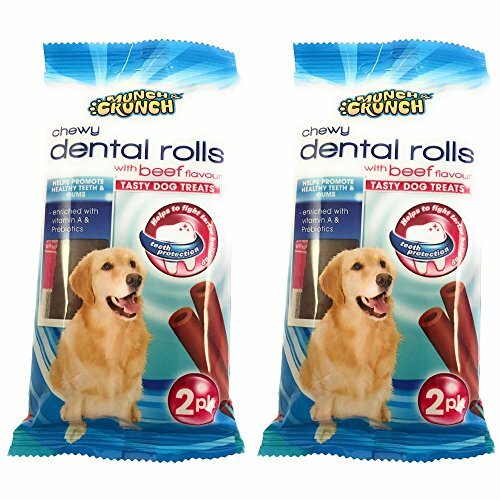 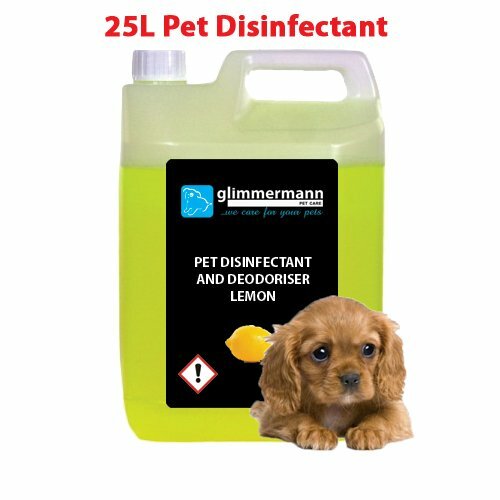 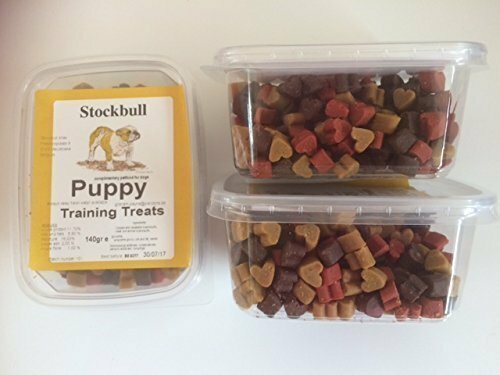 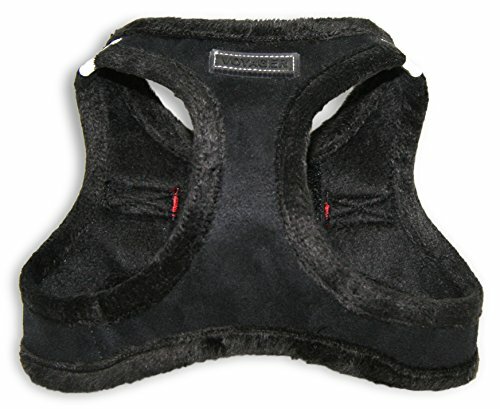 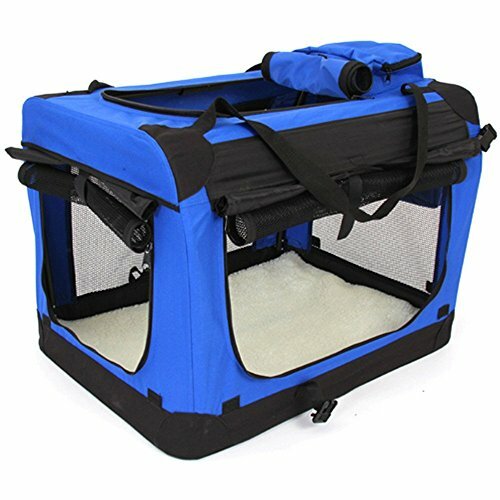 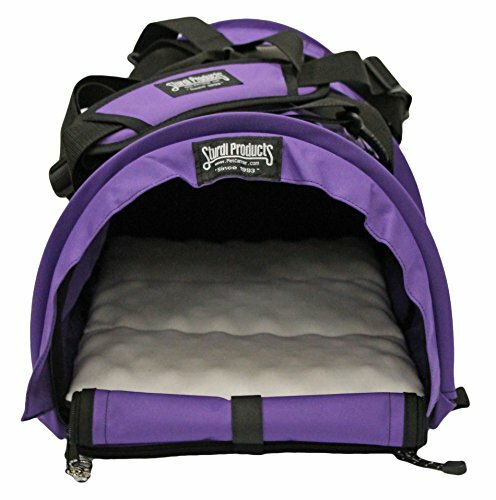 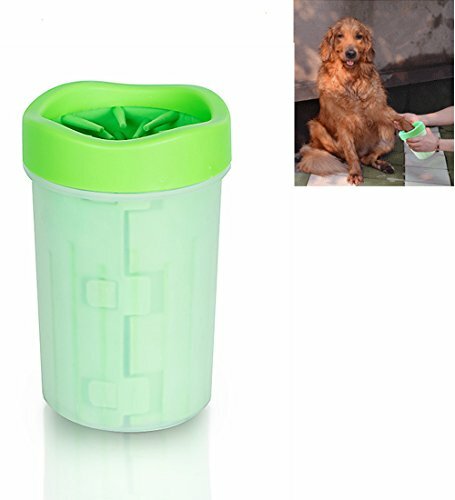 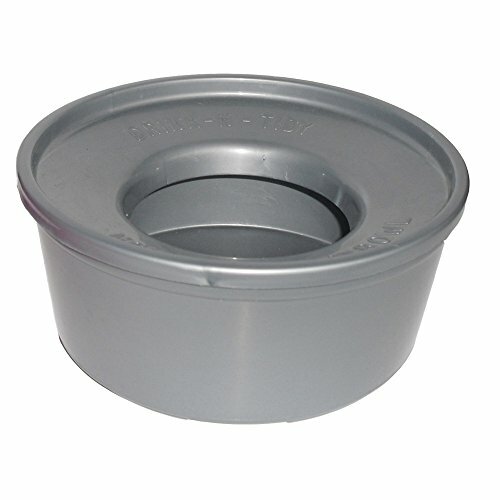 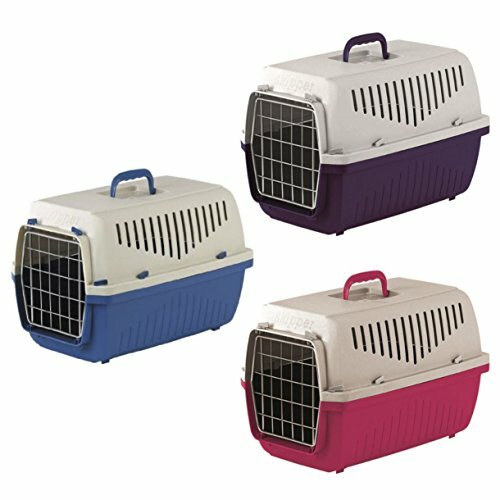 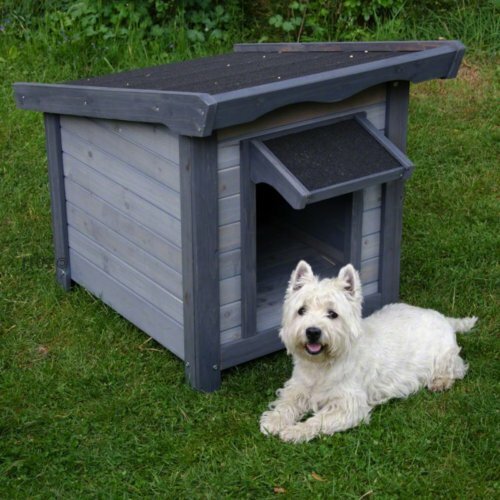 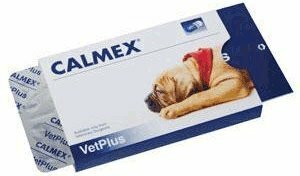 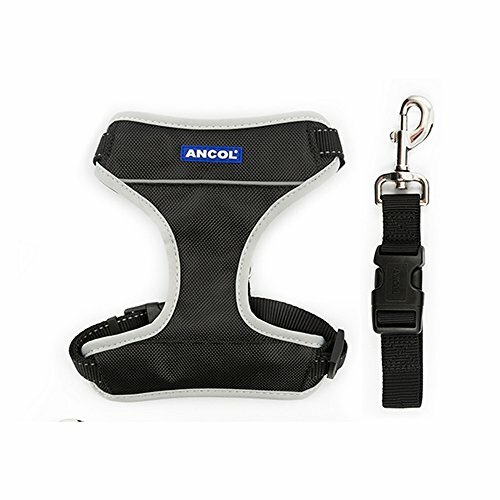 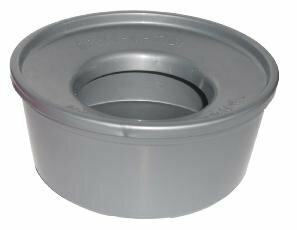 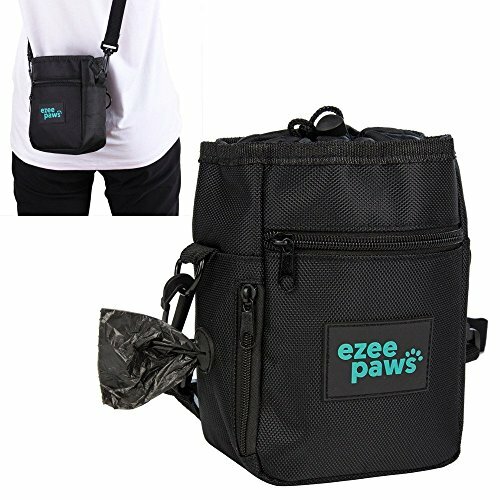 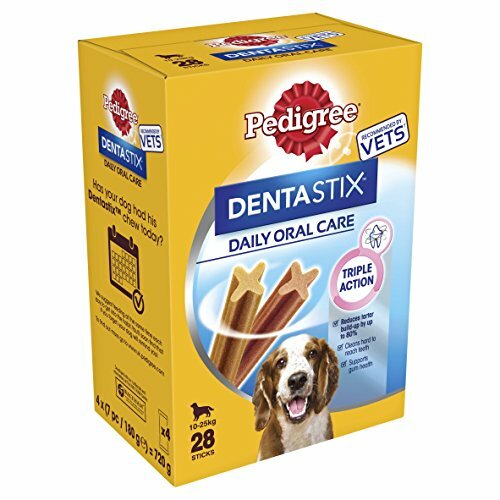 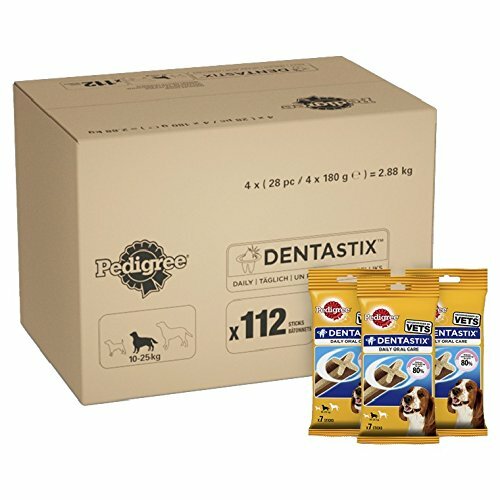 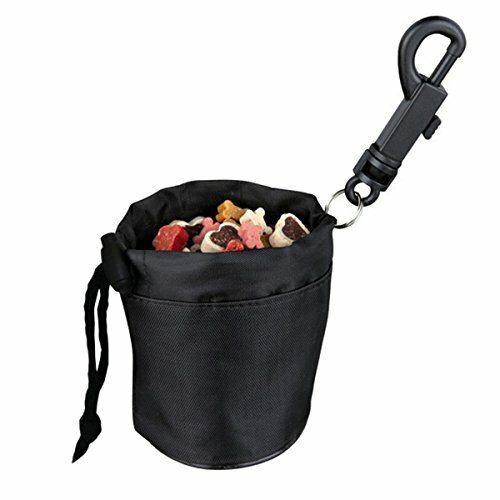 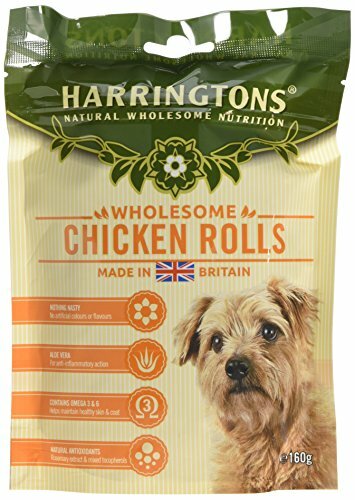 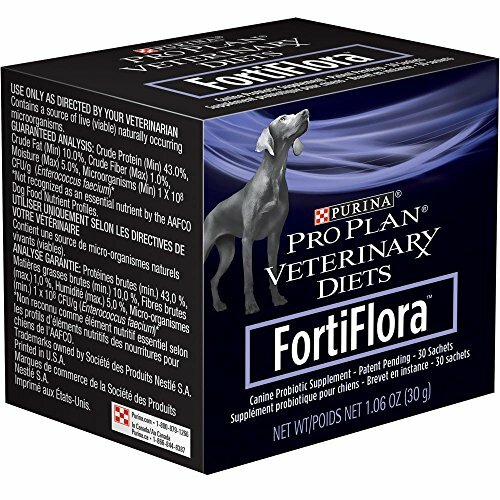 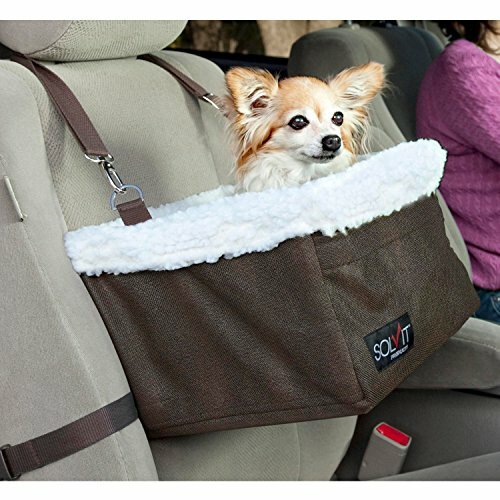 For medium & large dog sizes from 21 KG upwards. 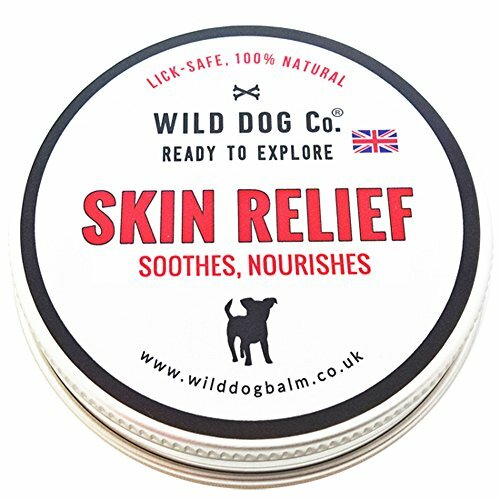 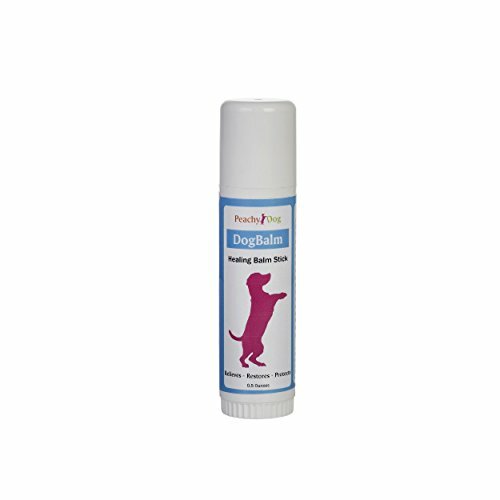 Dog Skin Balm for itchy dogs, the original UK-made 100% Natural Dog Balm for dry skin, itchiness, grooming and care. 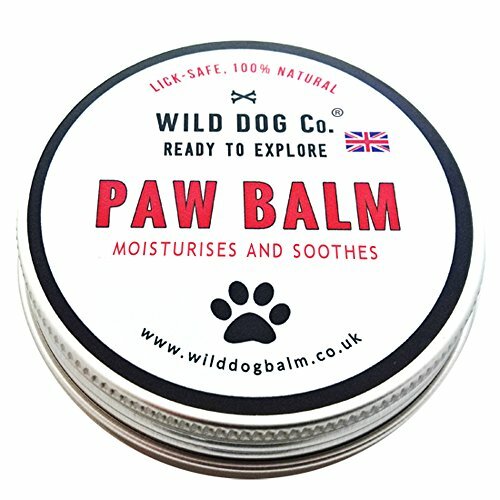 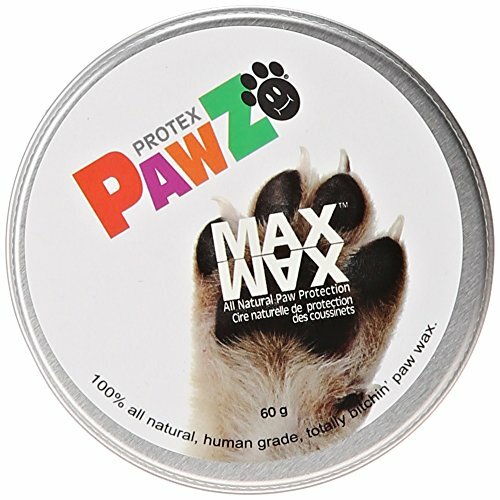 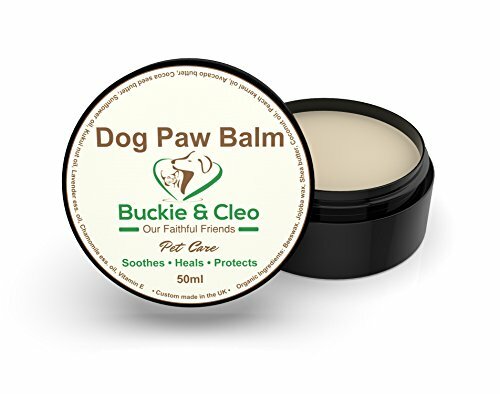 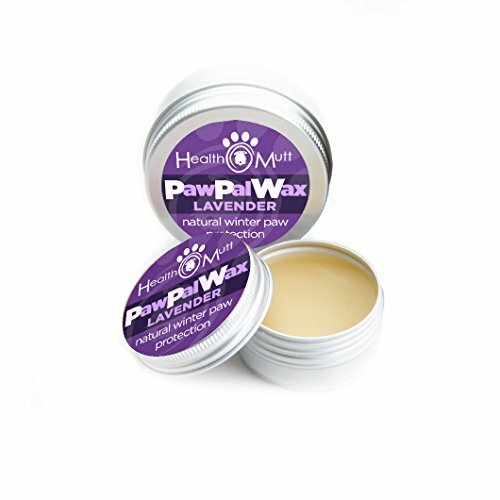 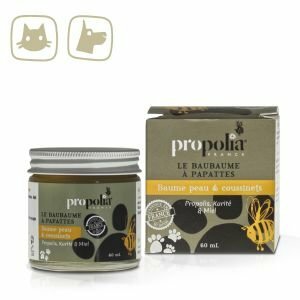 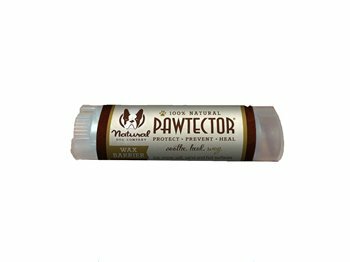 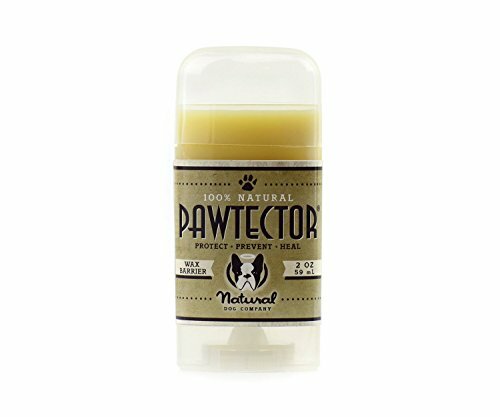 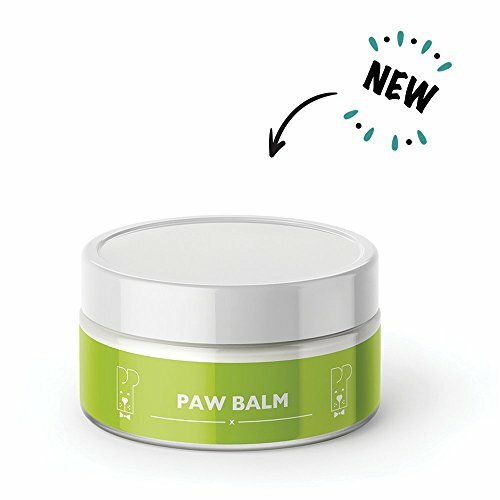 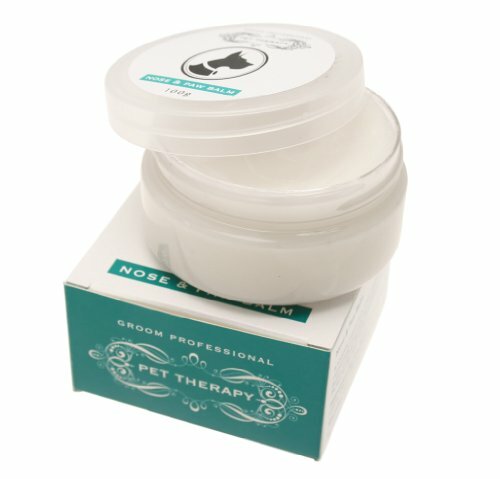 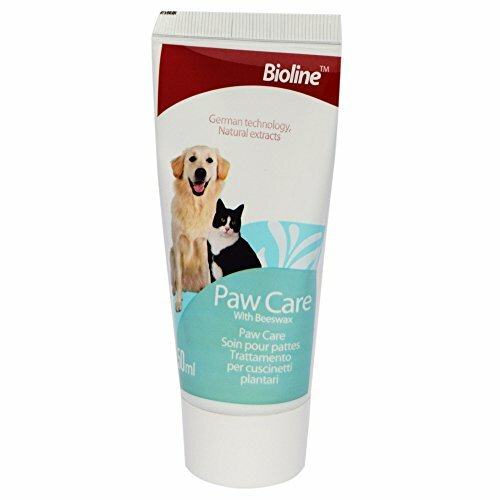 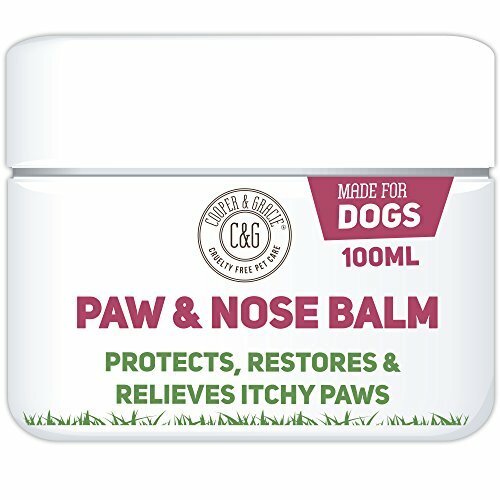 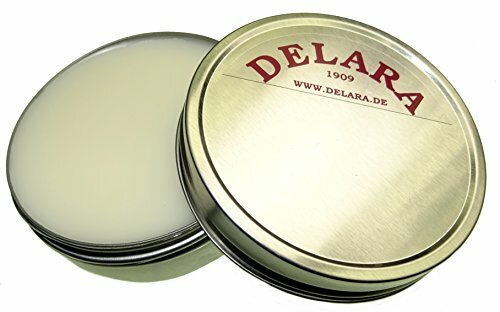 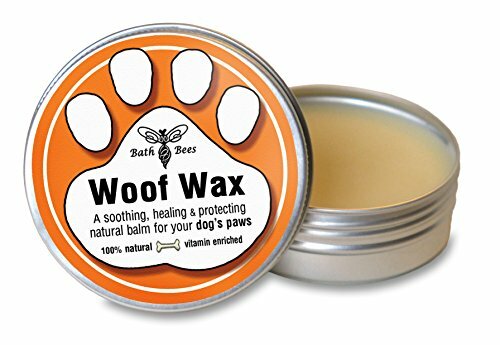 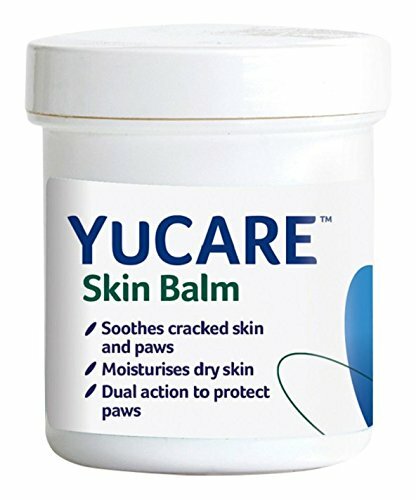 Dog Paw Balm – Soothing, Moisturising And Healing Butter Balm For Cracked, Rough Or Dry Paw Pads. 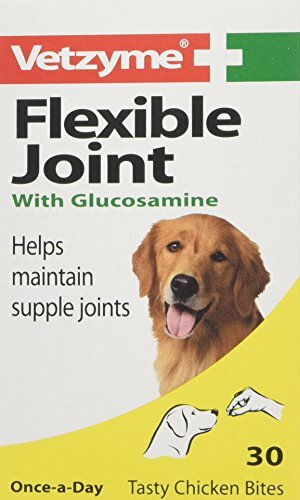 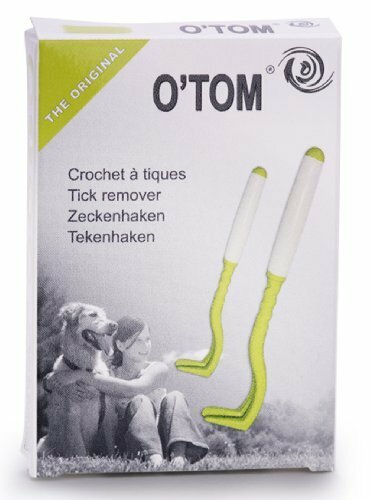 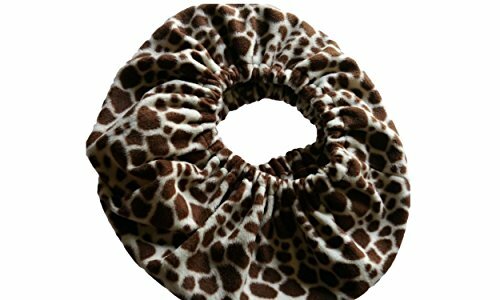 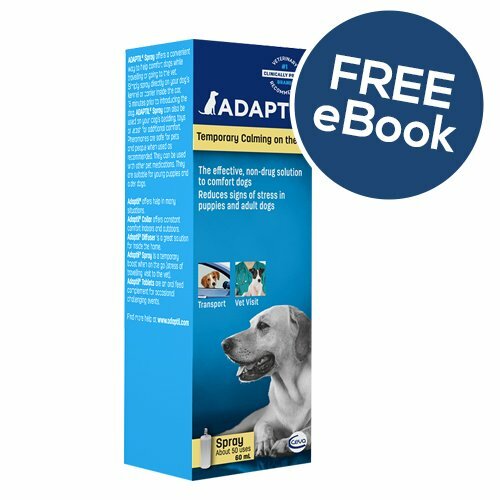 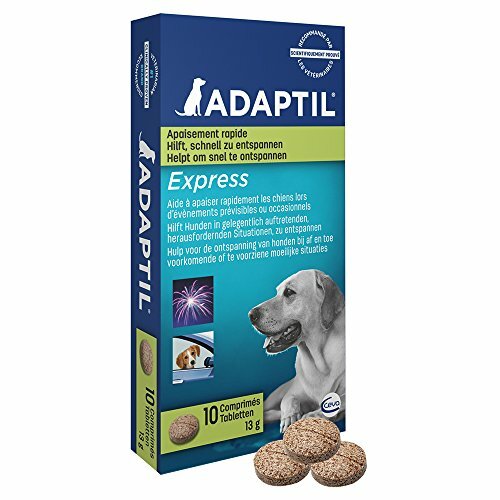 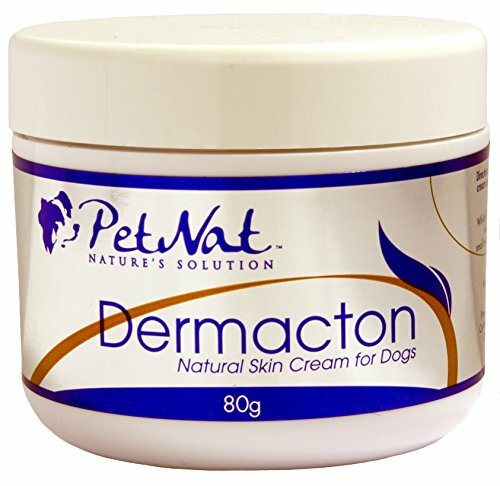 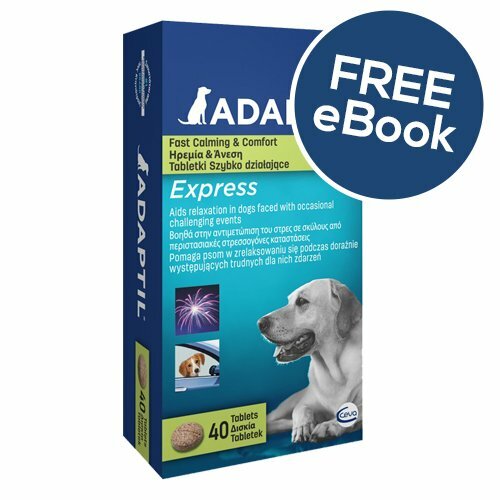 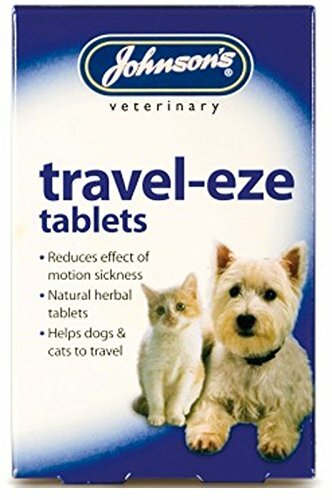 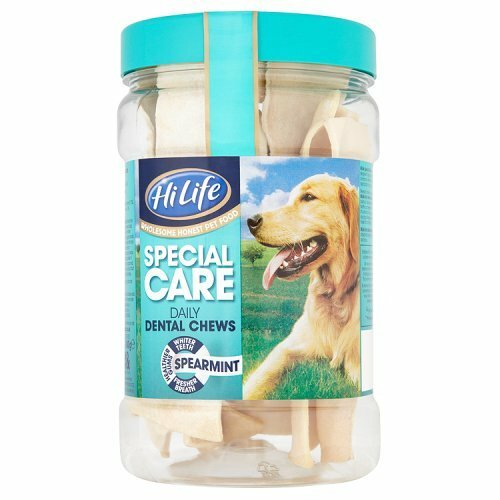 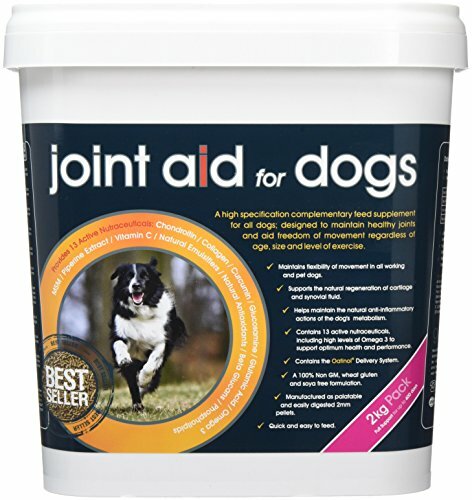 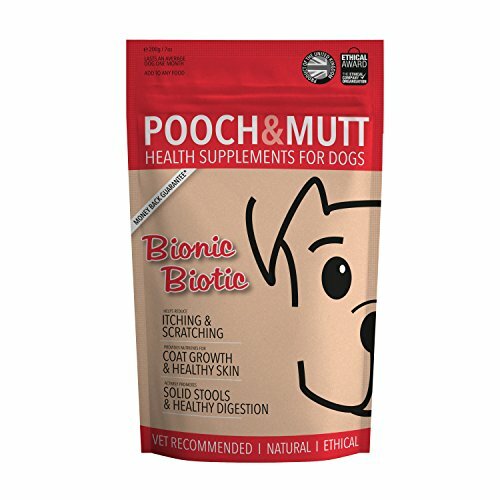 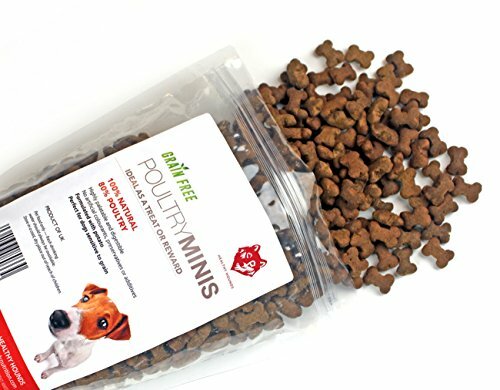 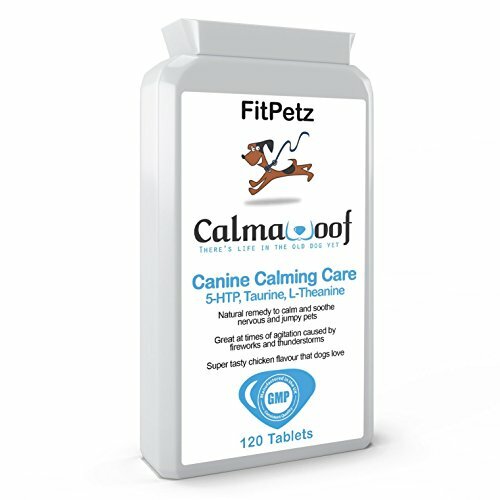 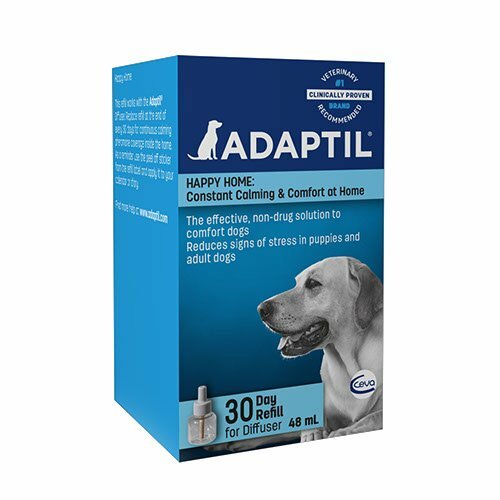 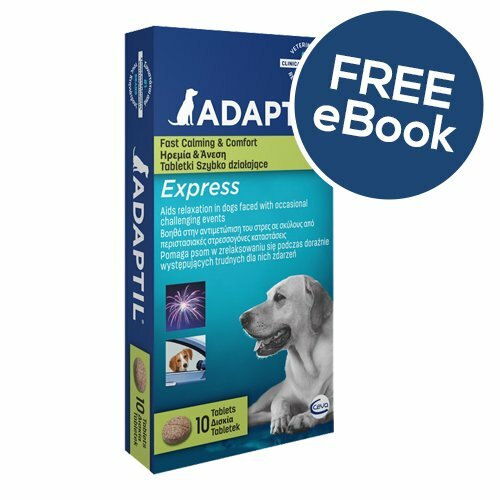 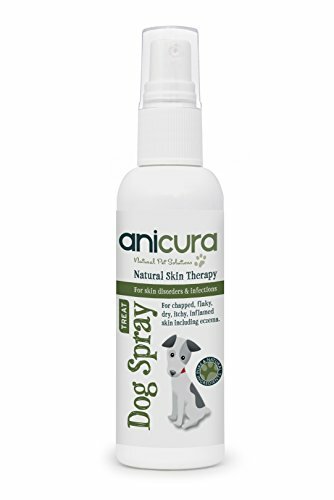 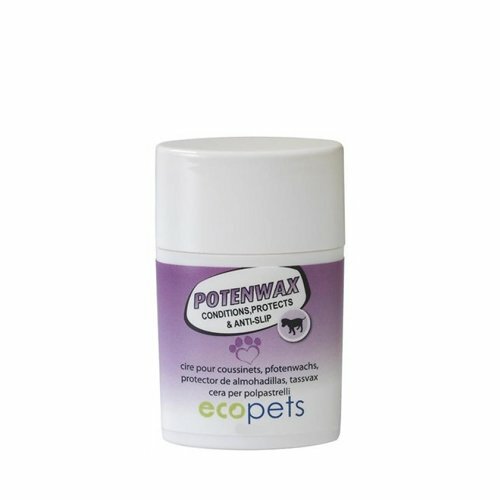 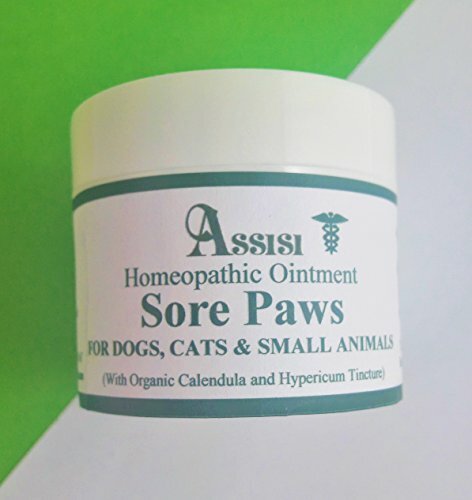 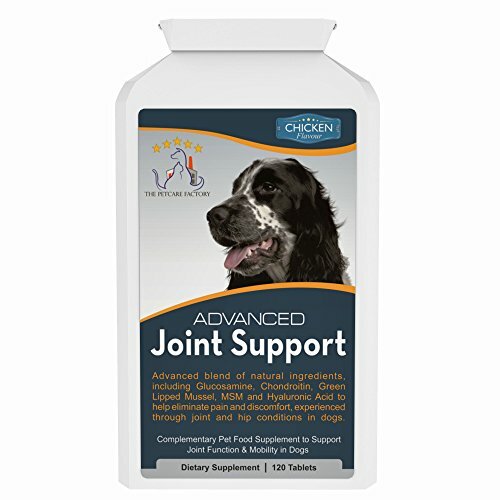 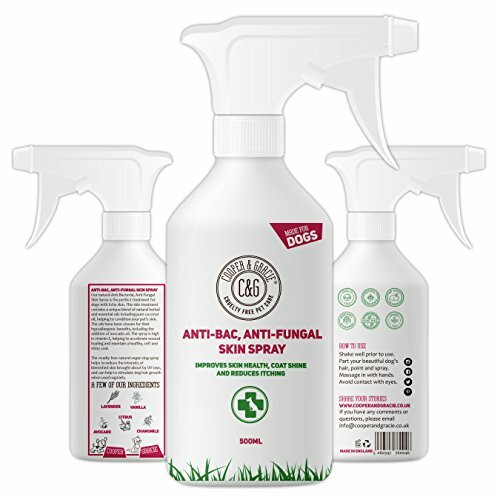 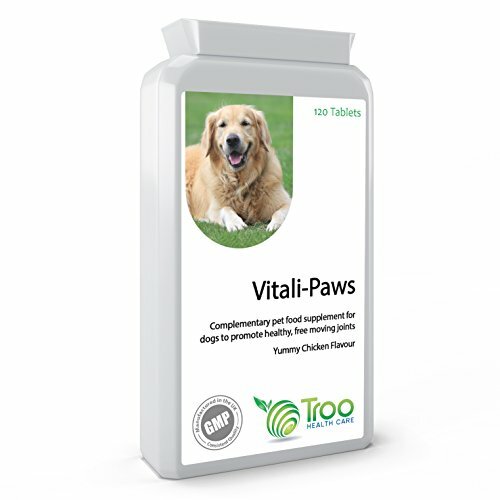 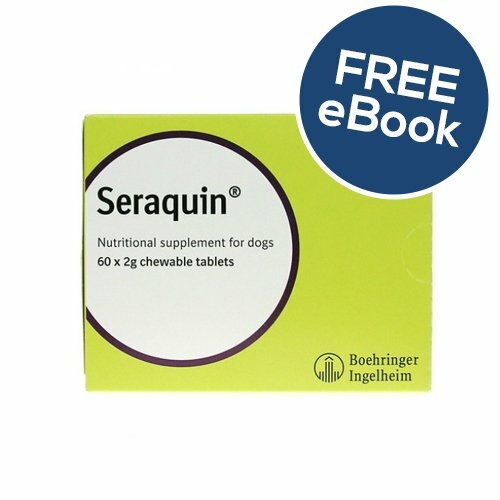 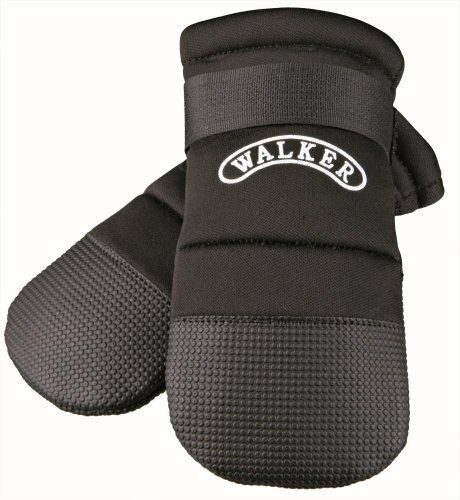 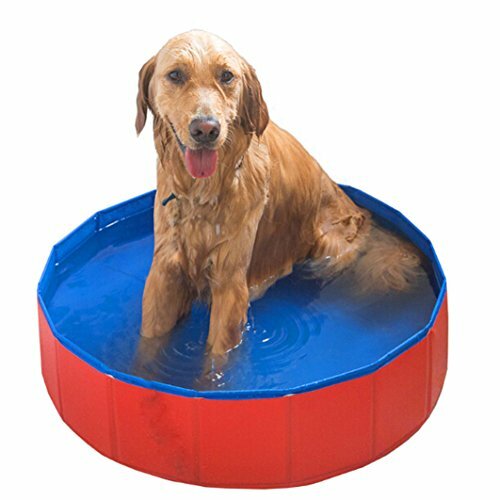 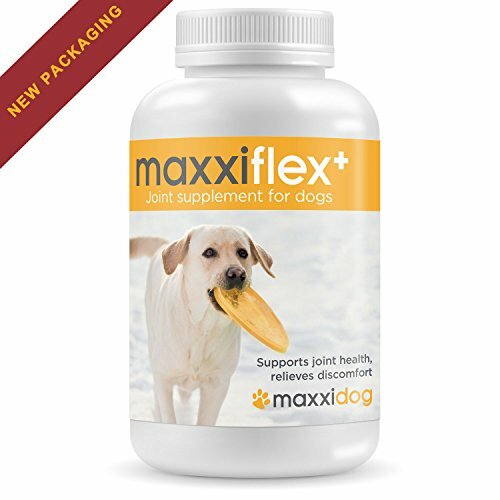 Natural Protection And Treatment For Dogs With Sensitive, Sore Or Inflammed Feet. 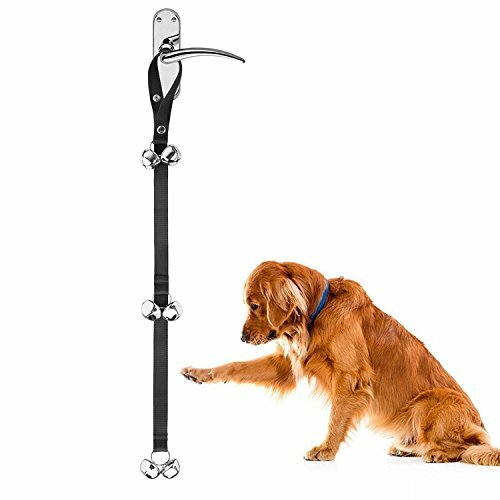 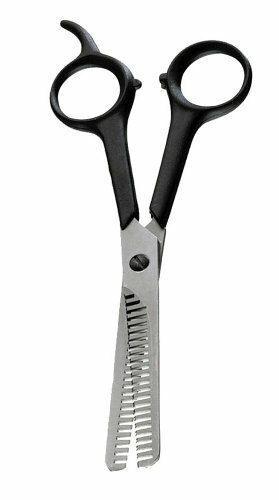 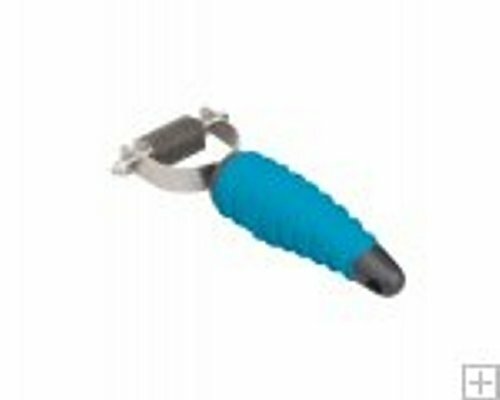 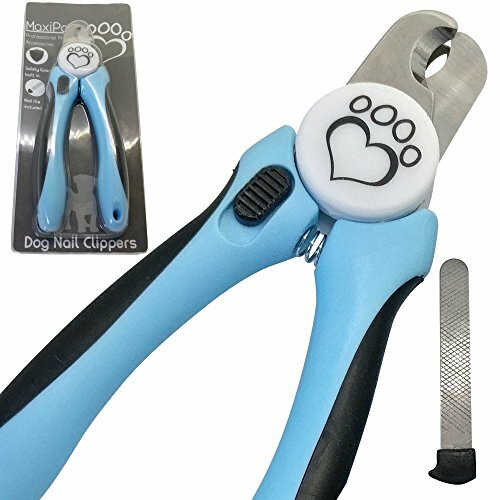 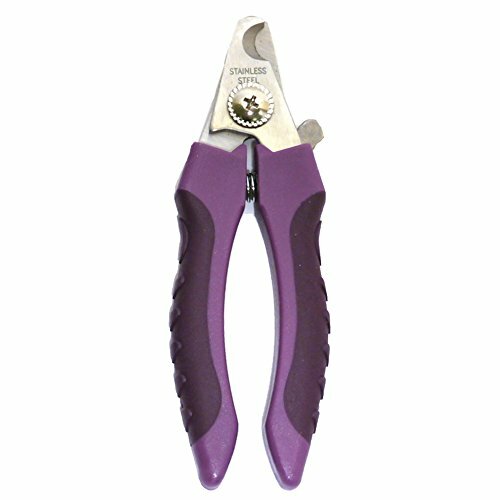 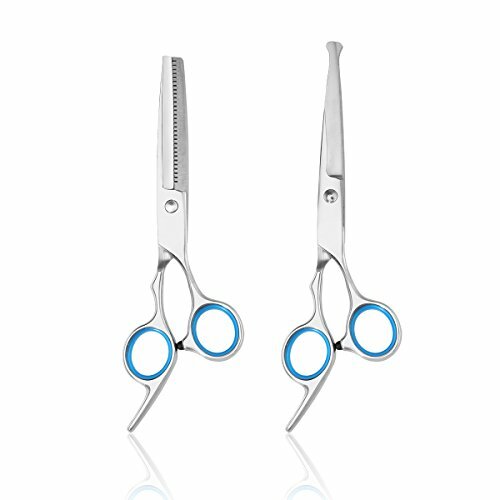 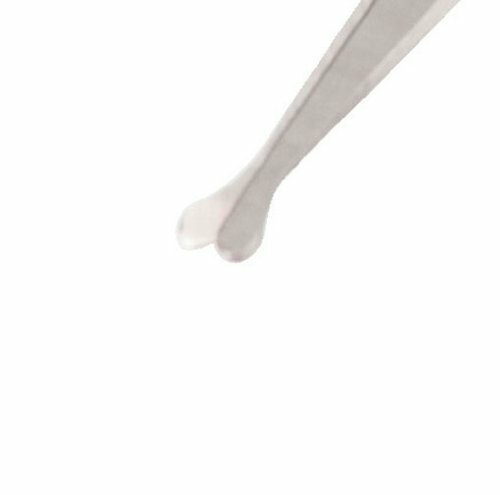 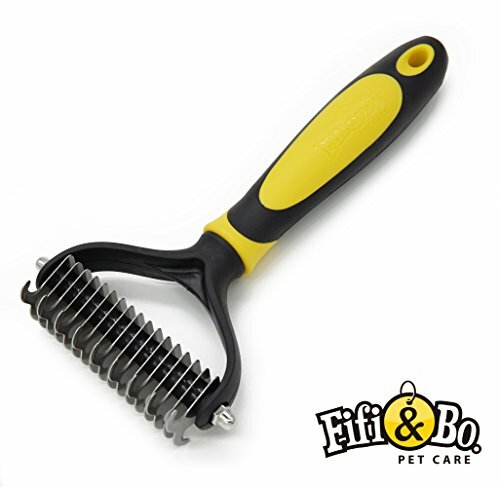 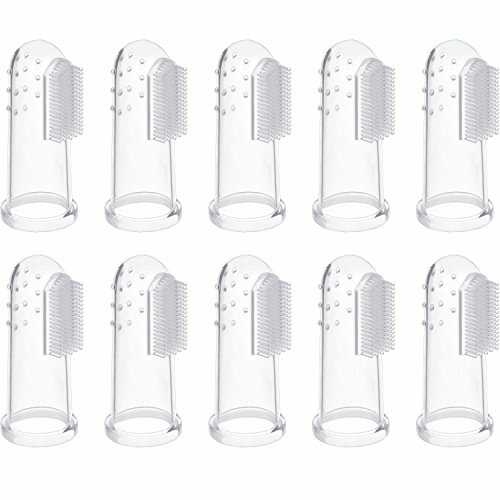 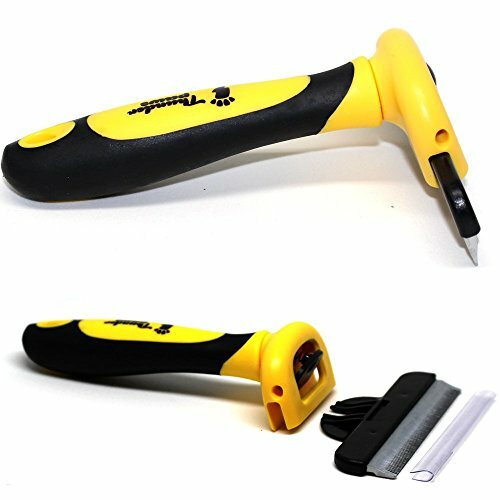 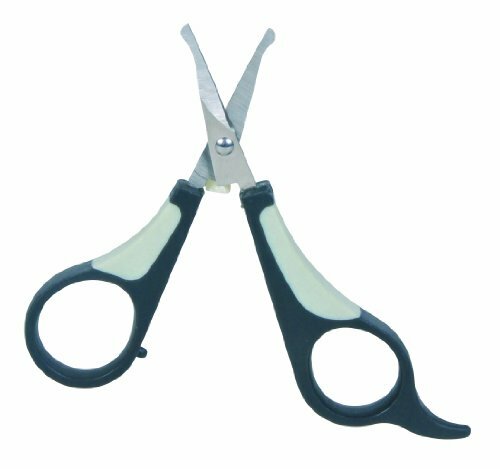 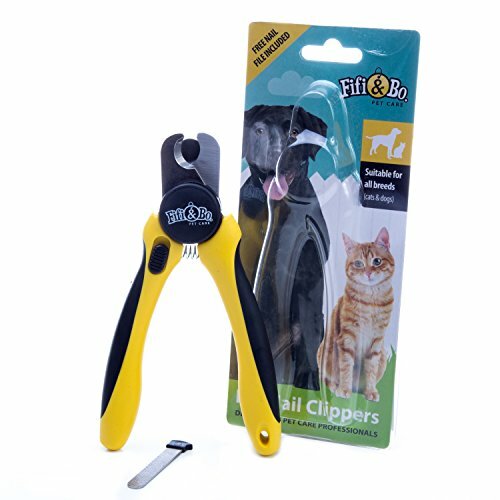 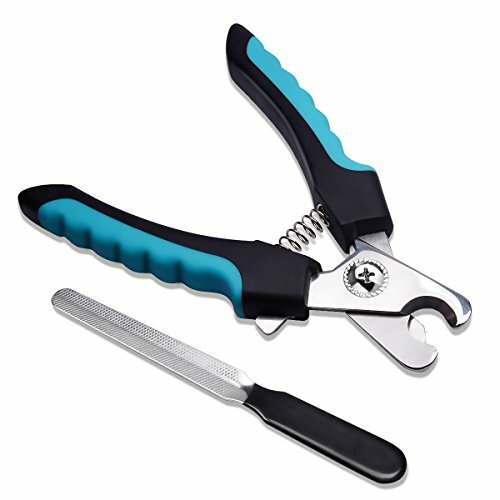 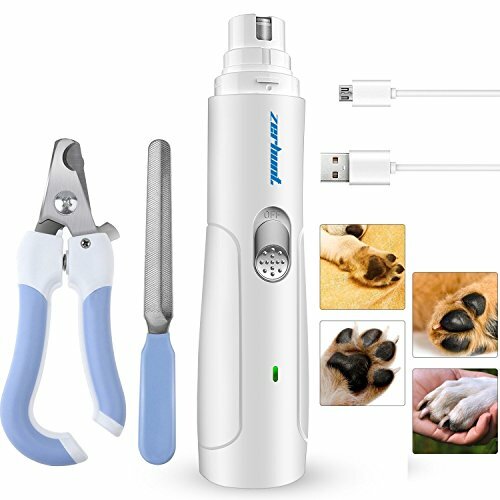 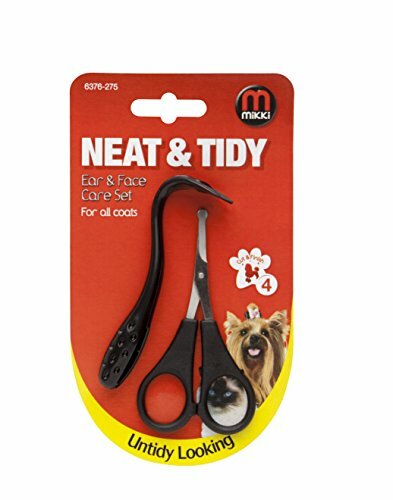 Professional-Grade Dog and Cat Nail Clippers by Fifi&Bo with Protective Guard, Safety Lock and Nail File – Best for Medium and Large Breeds. 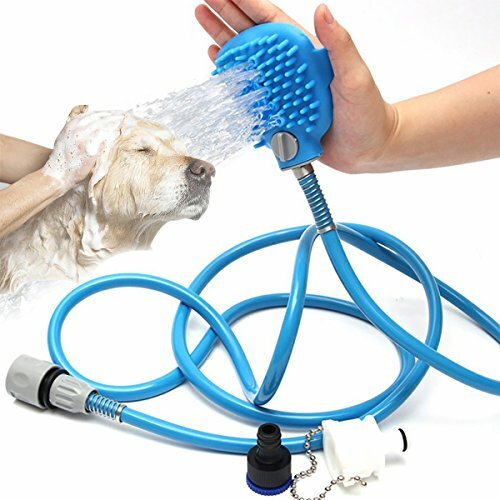 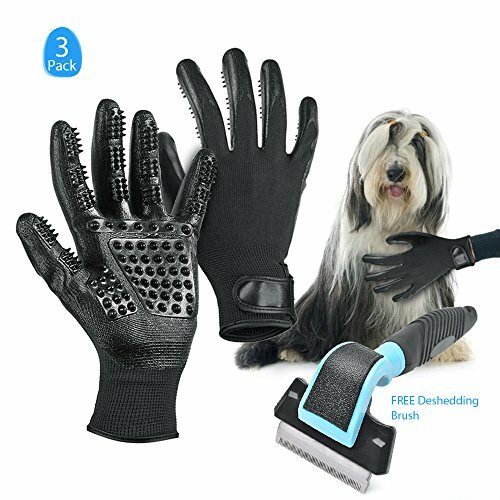 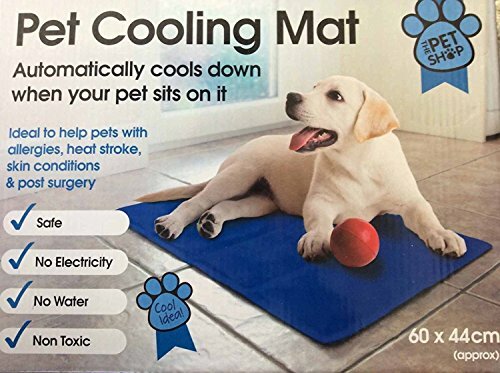 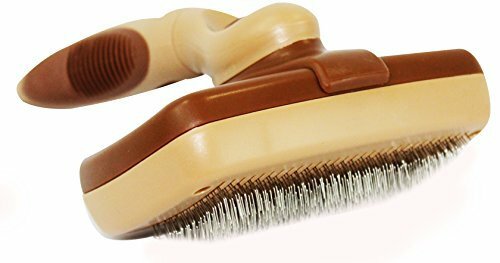 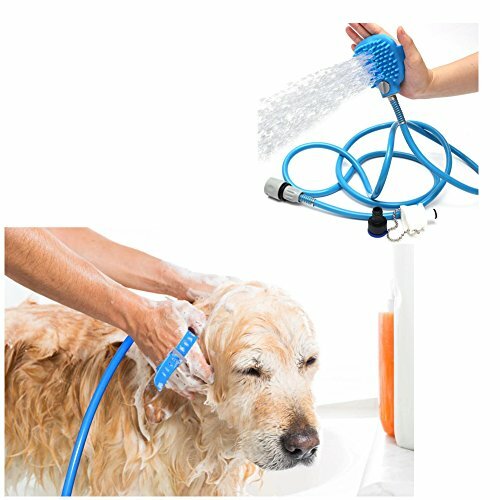 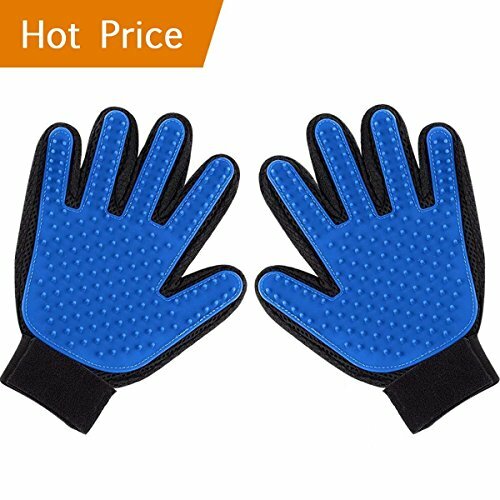 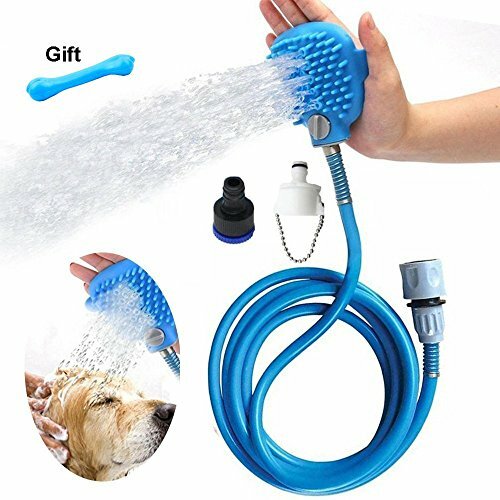 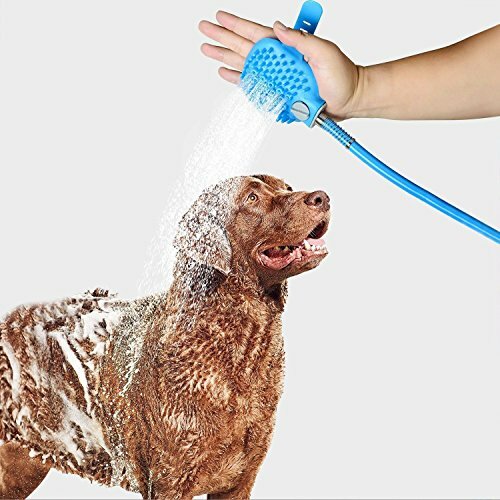 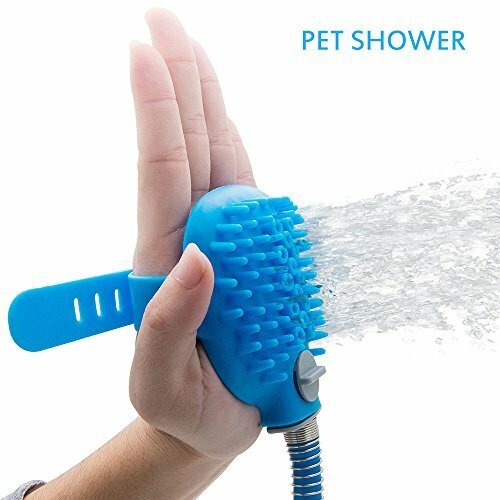 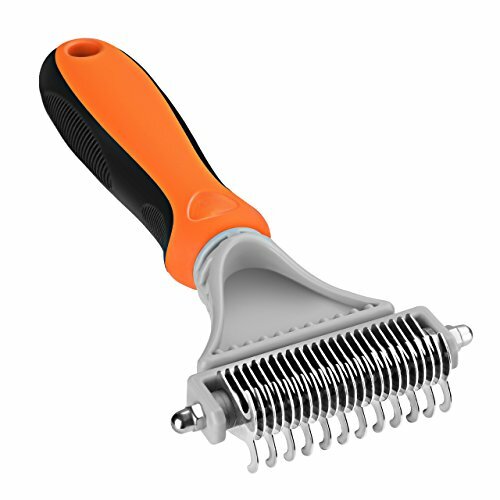 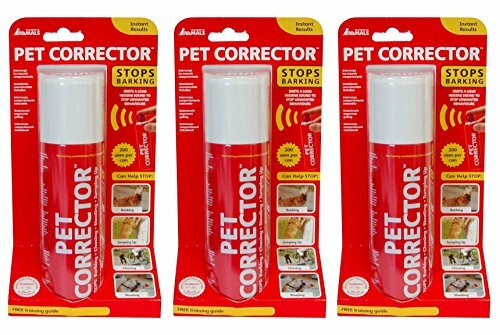 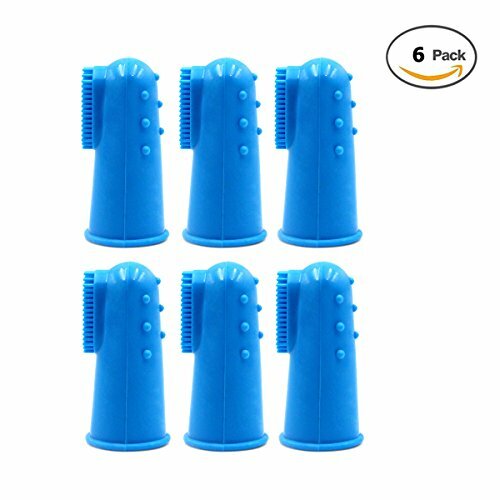 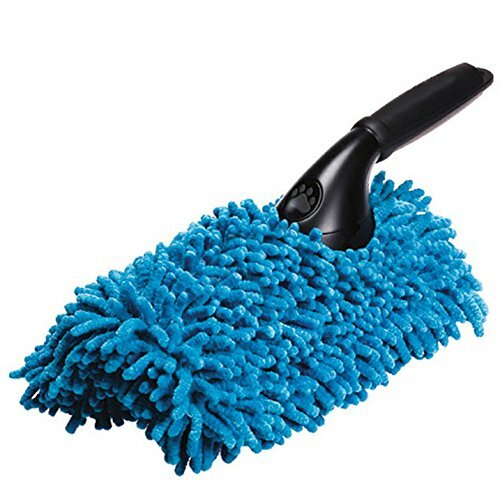 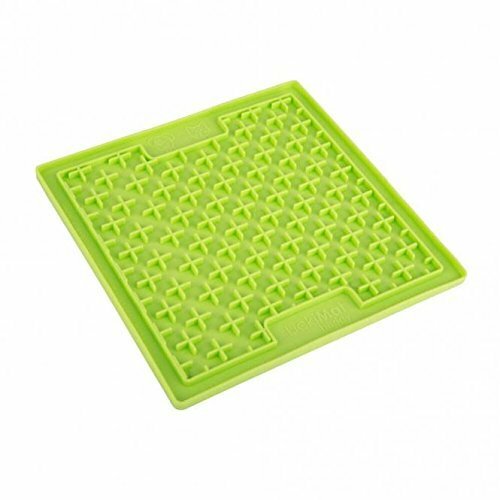 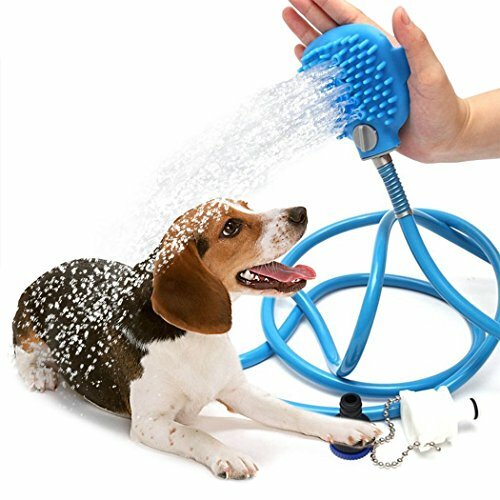 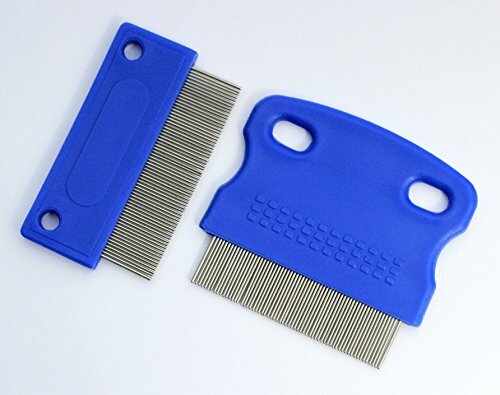 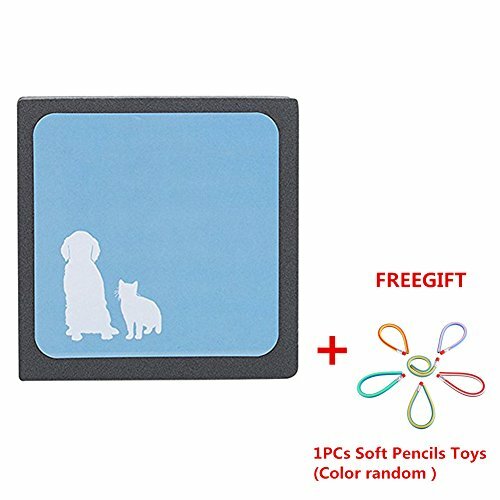 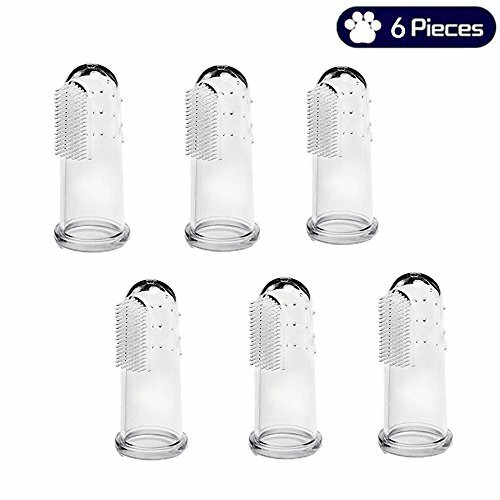 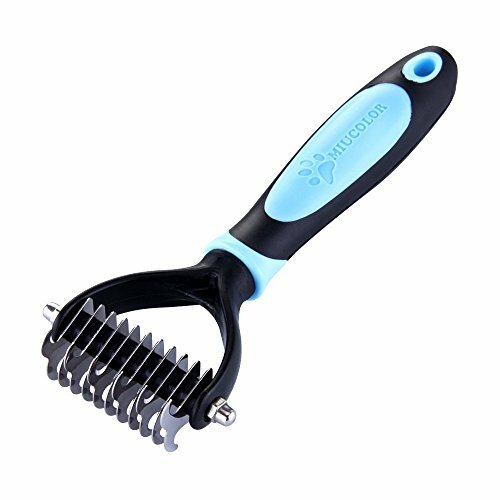 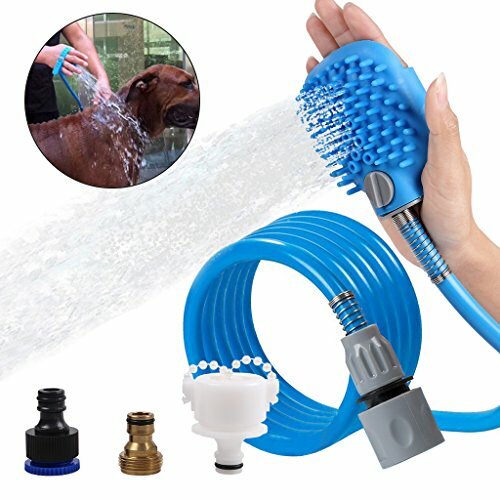 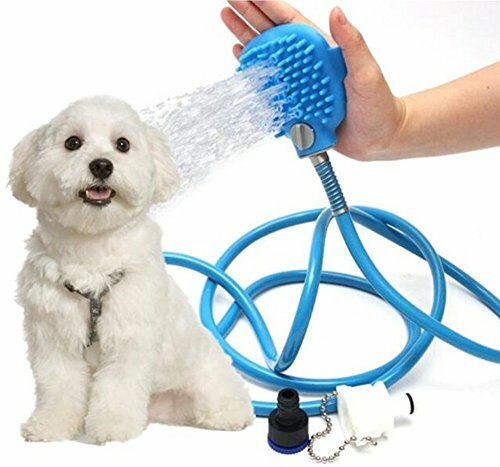 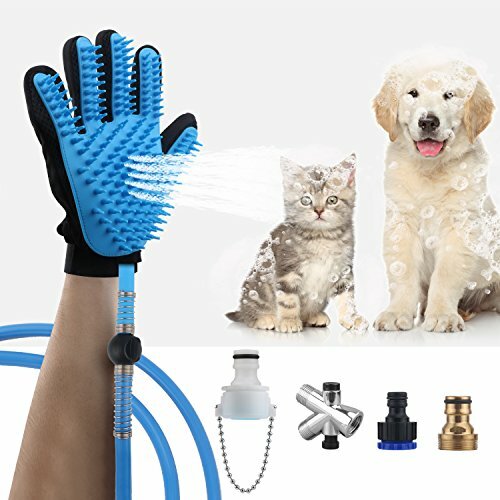 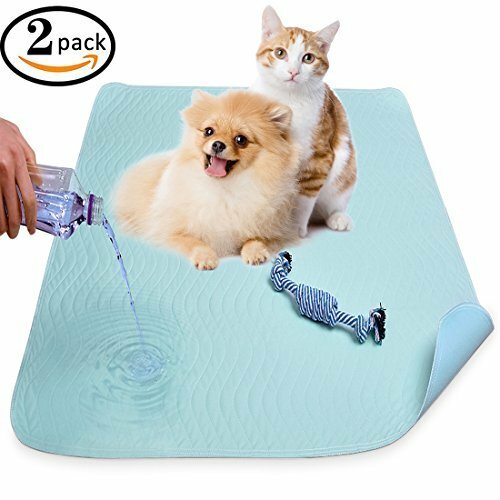 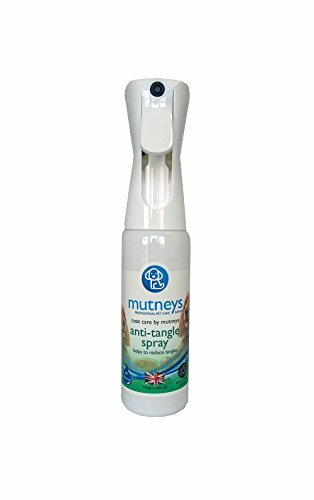 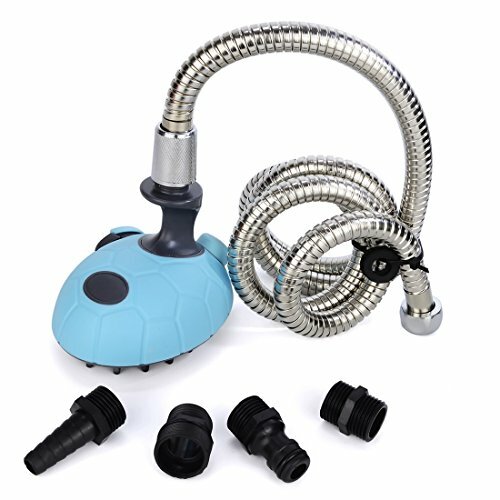 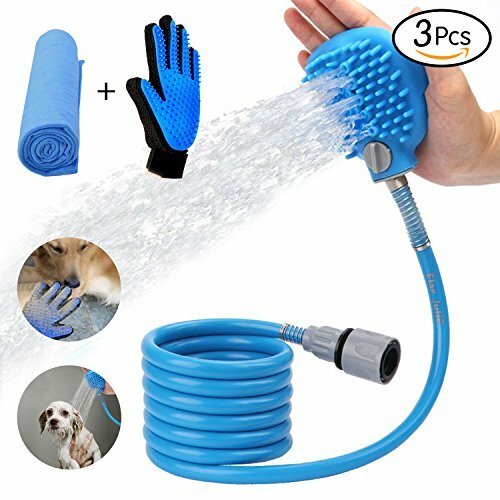 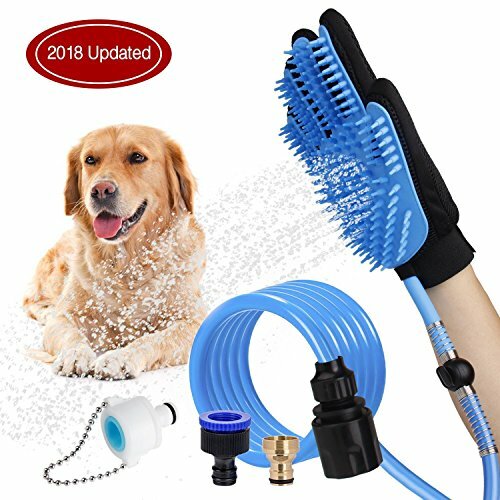 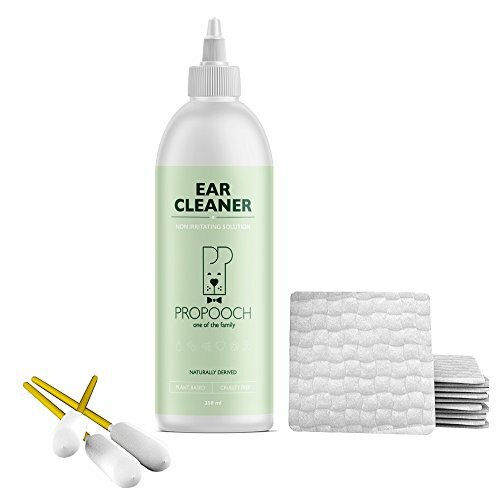 Best Professional Pet Grooming Undercoat Rake, Dematting Tool For Large, Medium & Small Dogs & Cats, Removes Loose Undercoat, Matts & Tangled Hair Within Minutes! 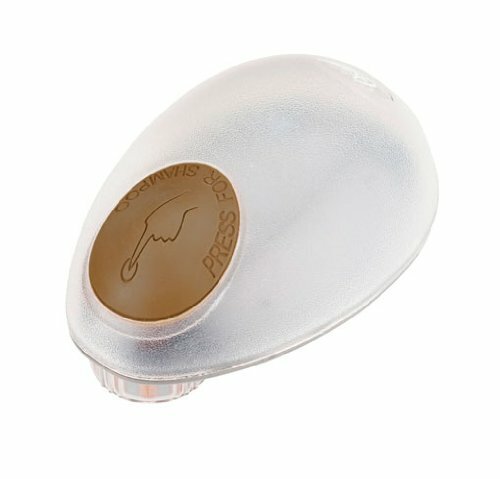 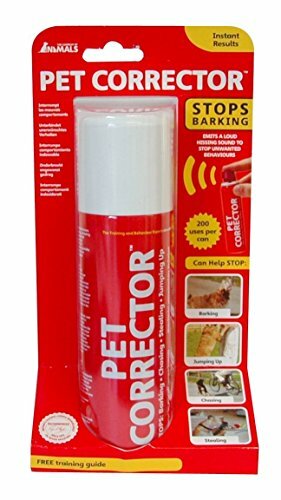 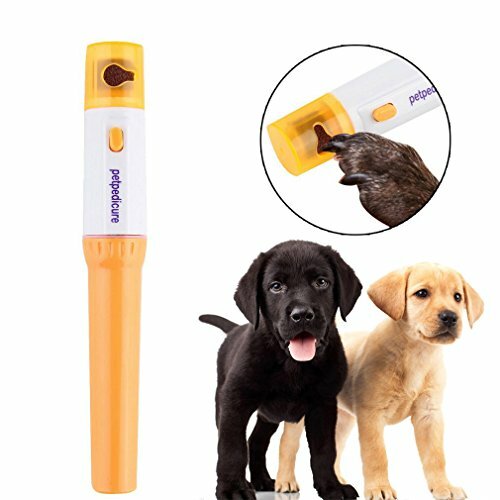 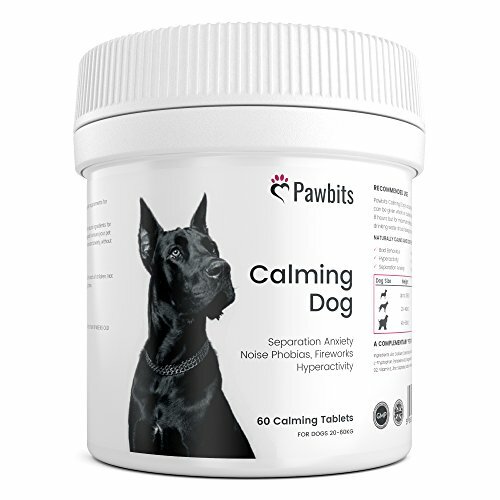 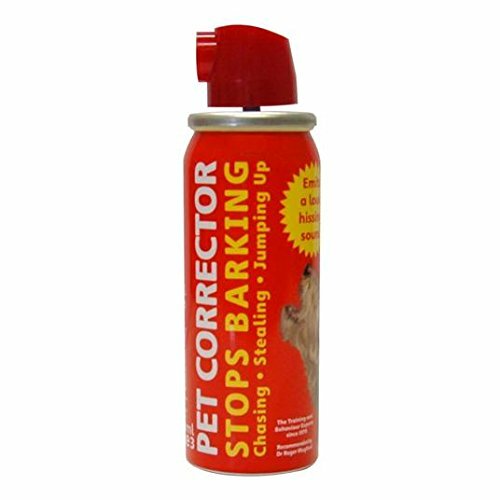 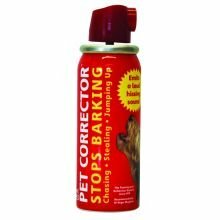 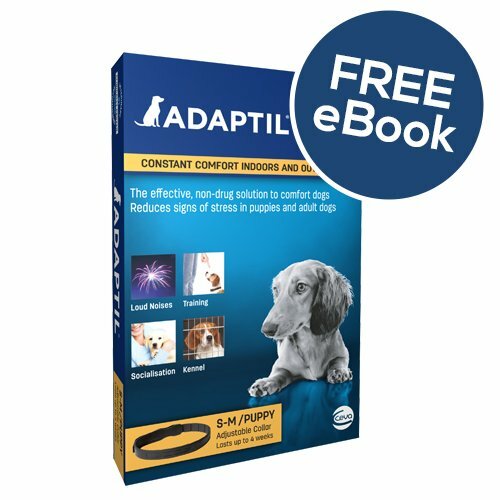 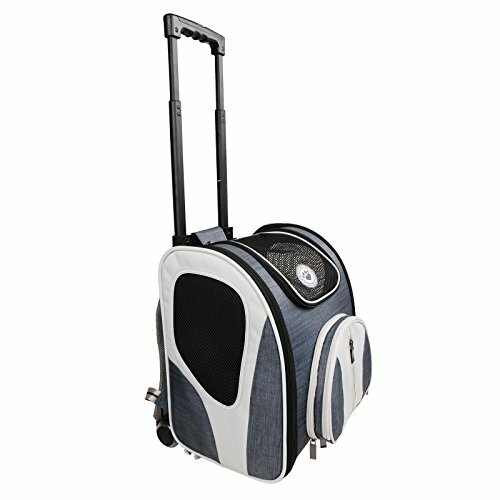 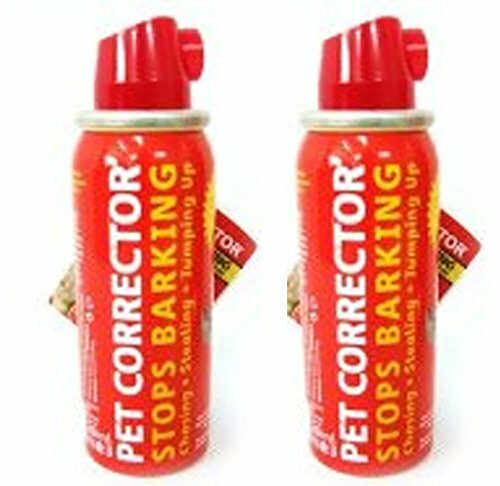 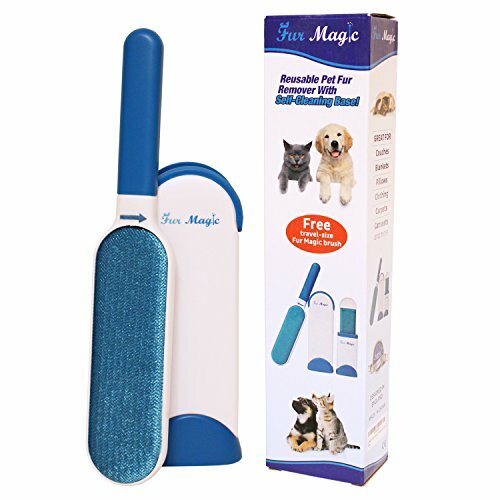 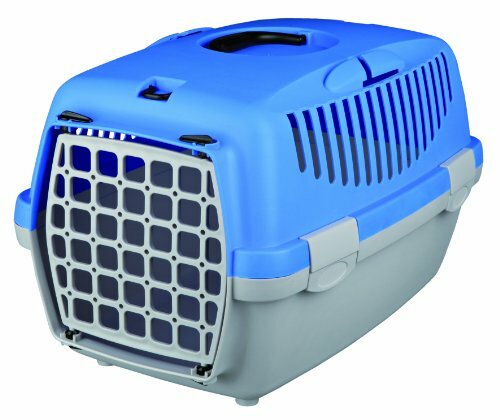 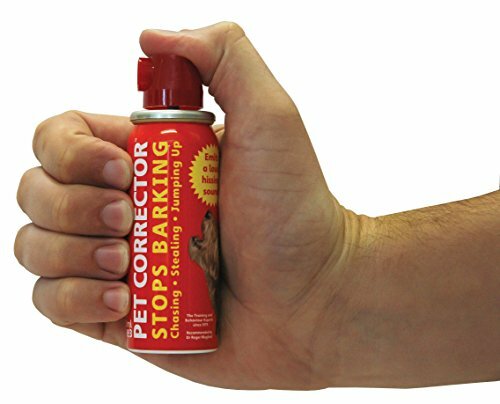 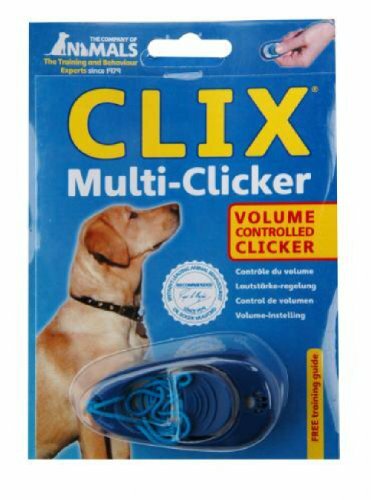 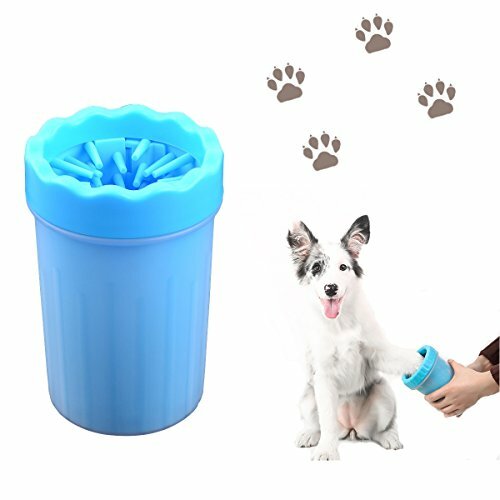 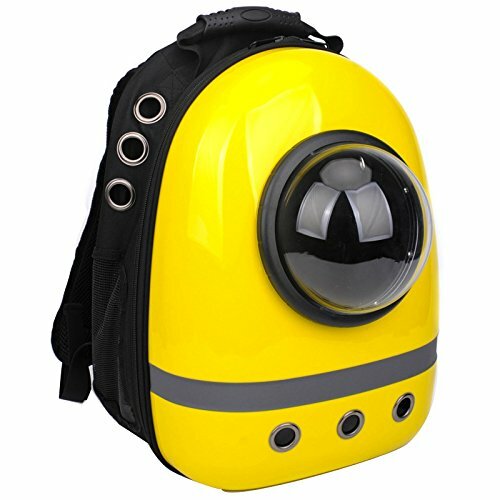 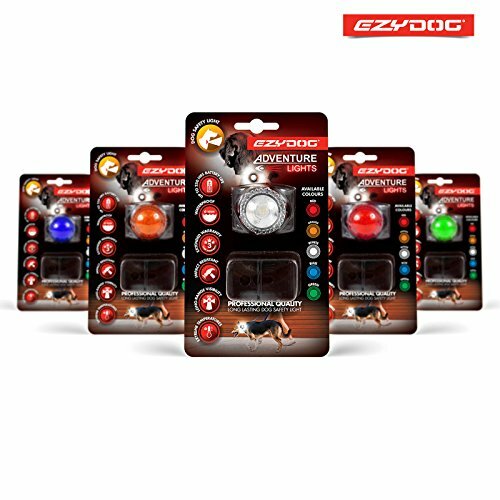 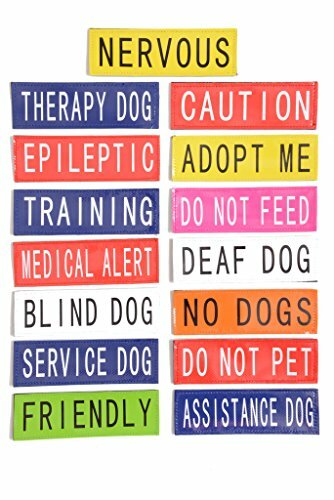 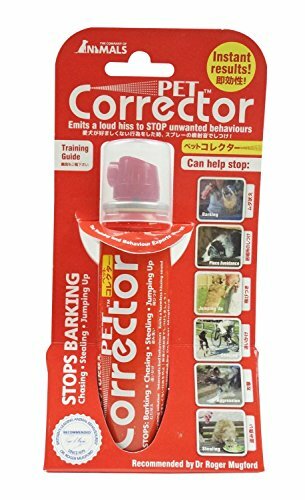 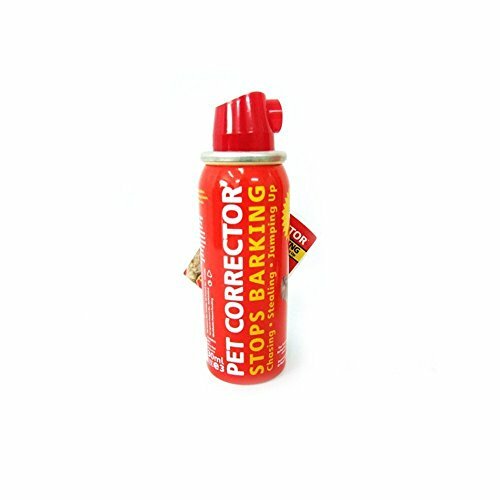 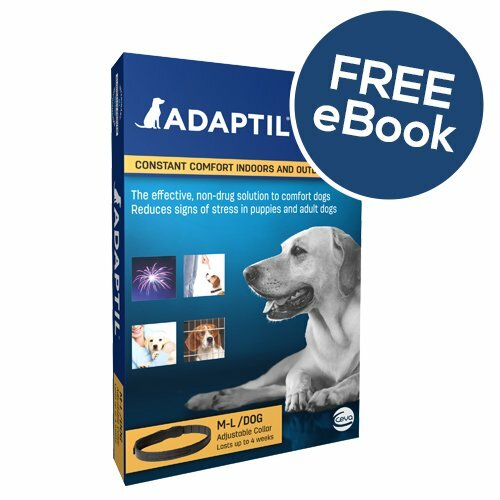 “Pet Convincer 5cm – Dog training tool is based on intensive research, an acoustic sound effect and Russian Academic Pavlov’s animal behavior concept. 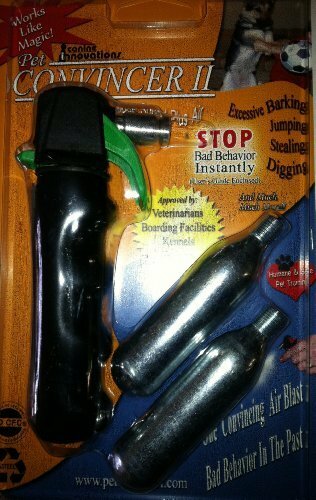 – One Convincing Air Blast and Bad Behavior is in the Past! 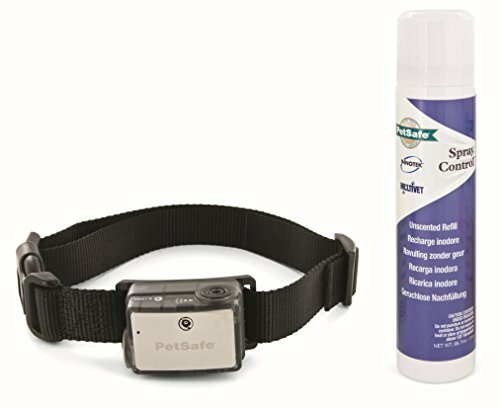 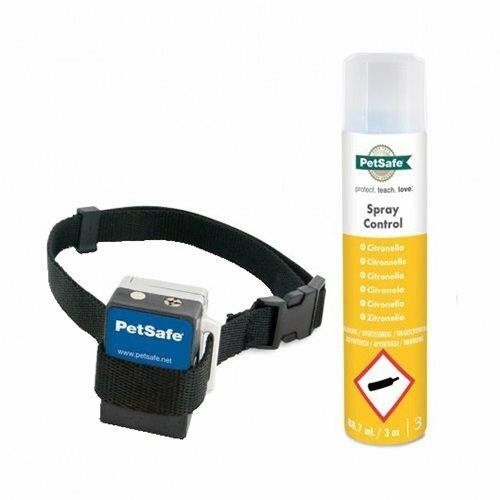 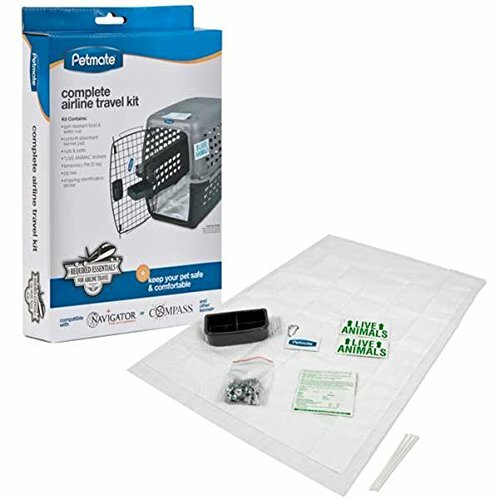 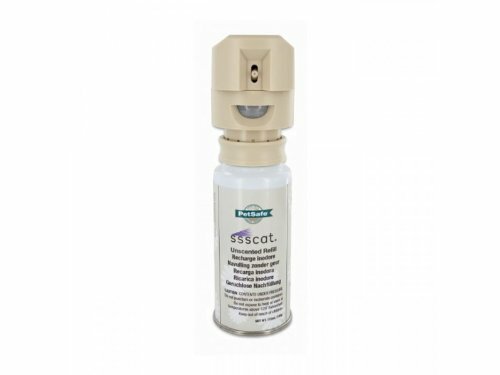 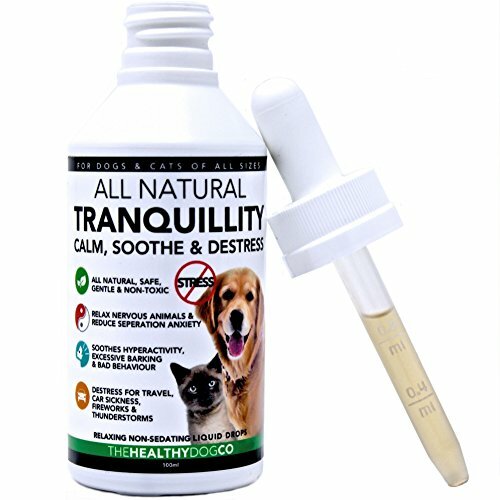 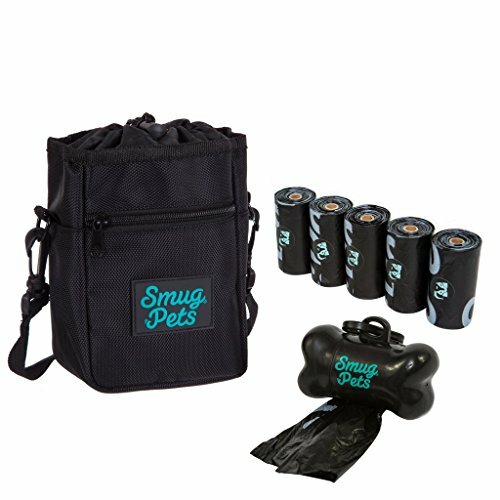 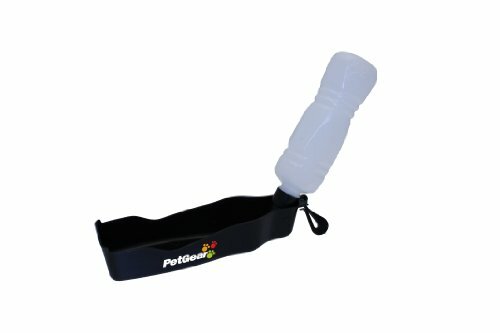 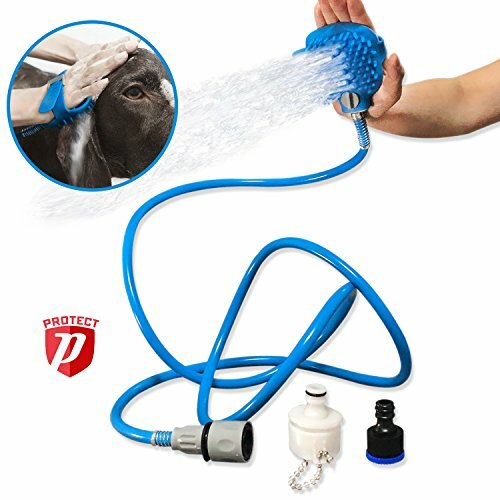 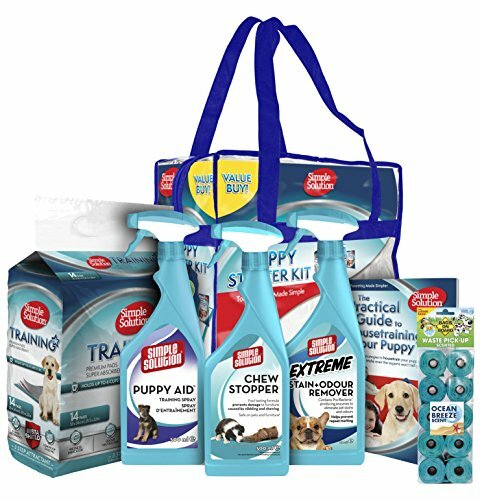 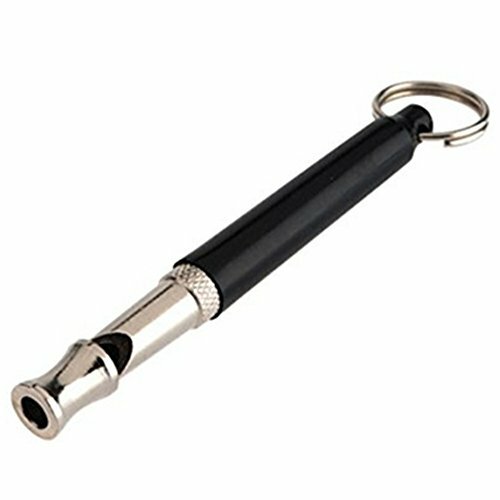 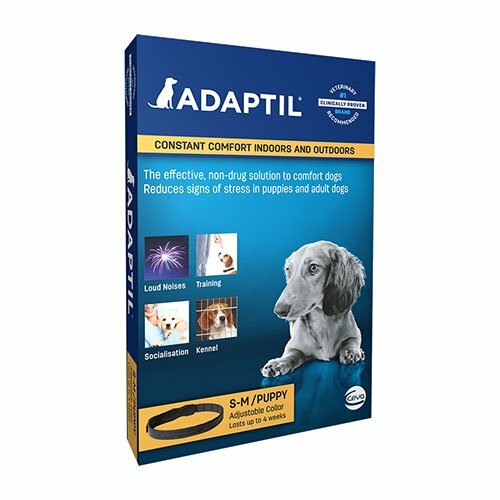 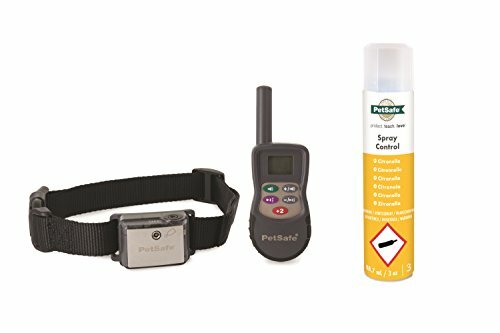 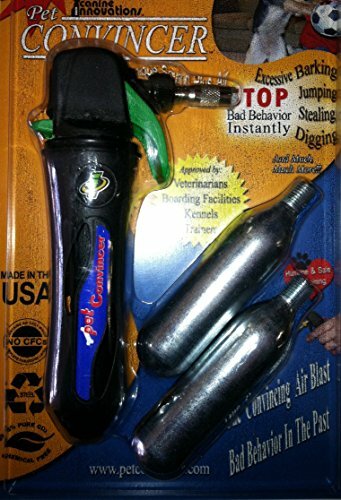 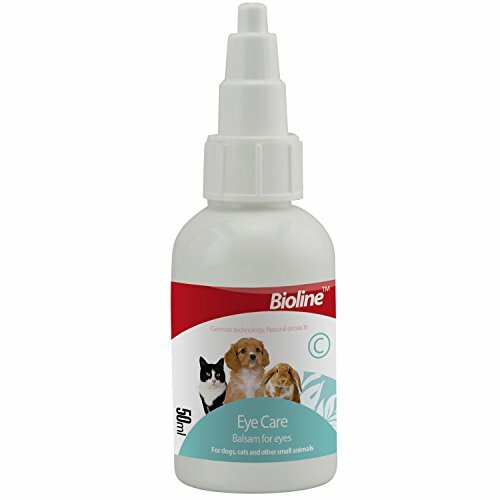 – One Pet Convincer Package Includes 1 Convincer Tool & 2 Co2 Cartridge – Made in USA by Canine Innovations. 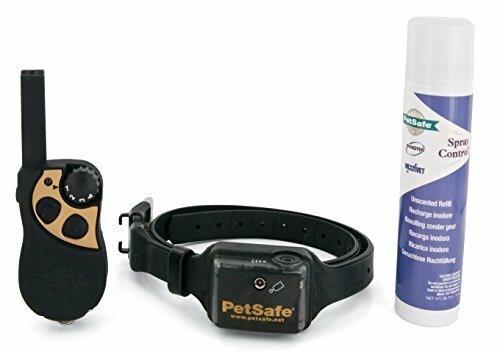 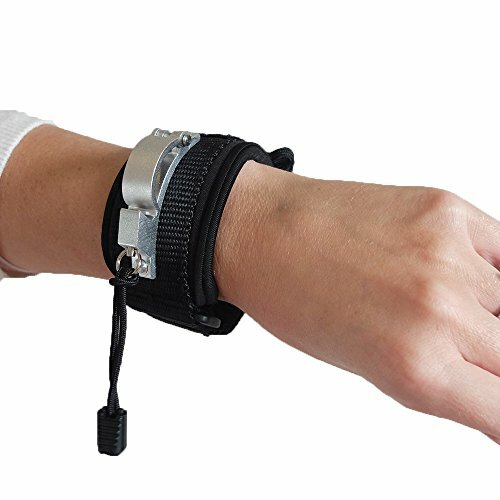 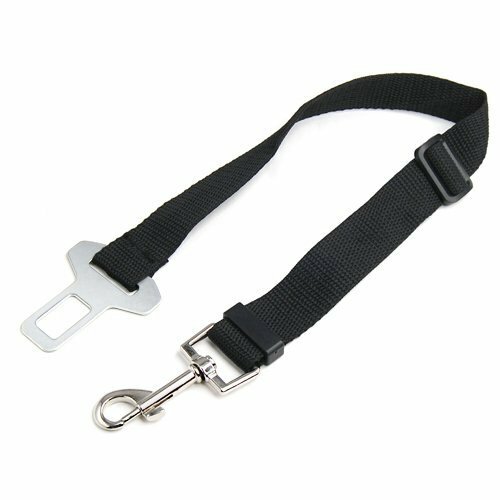 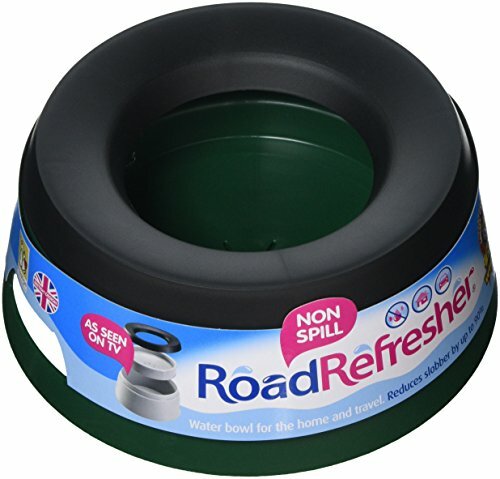 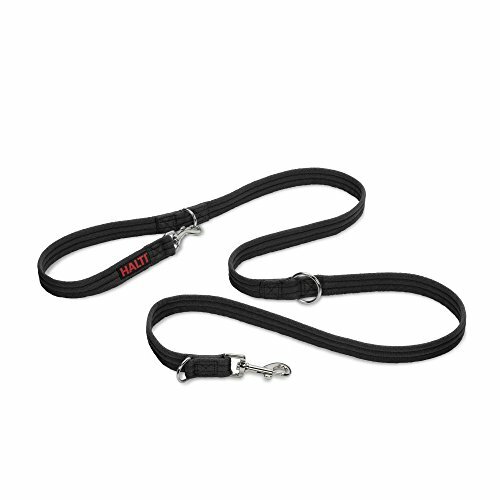 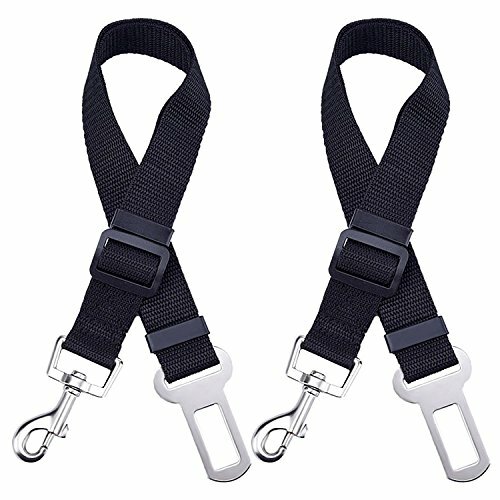 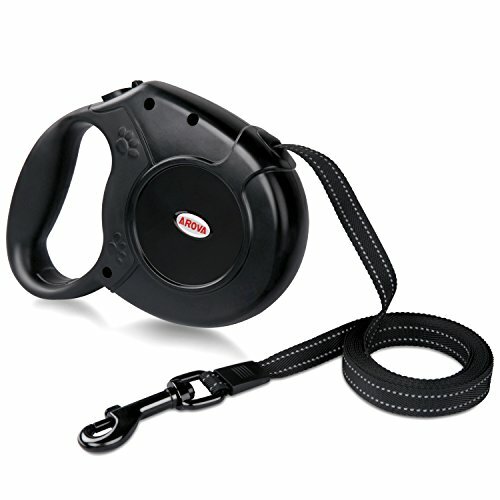 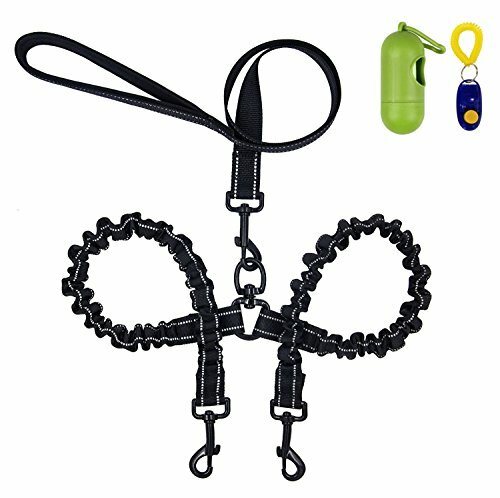 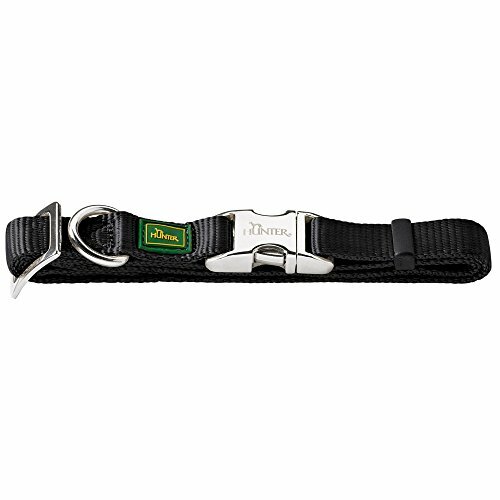 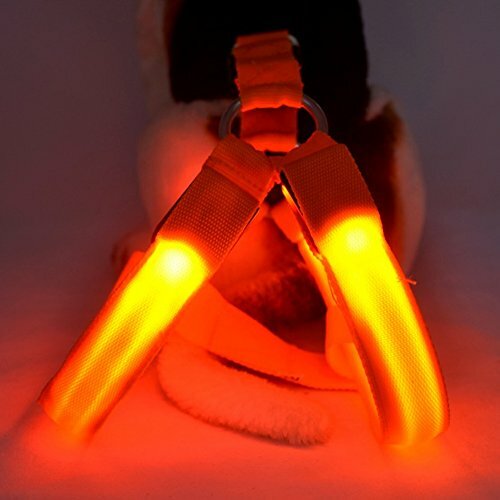 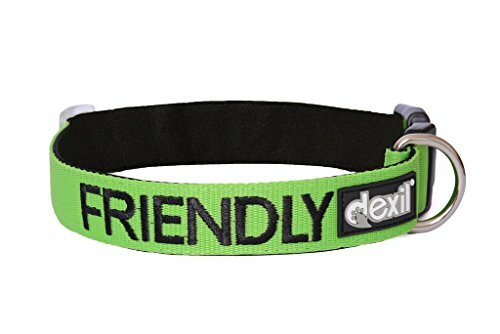 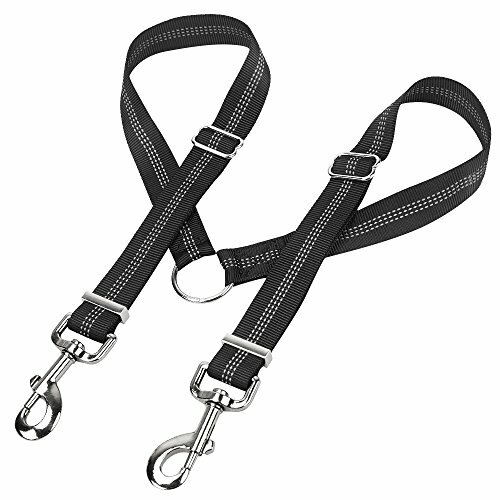 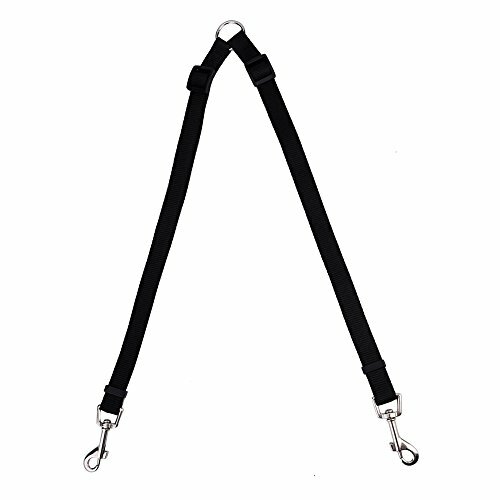 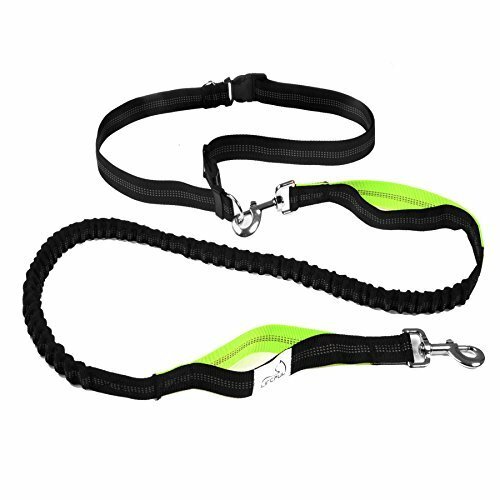 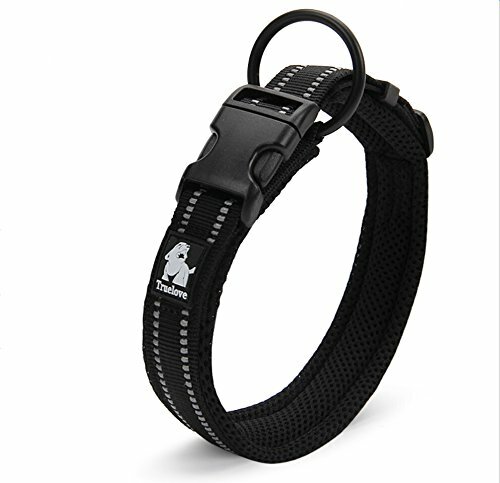 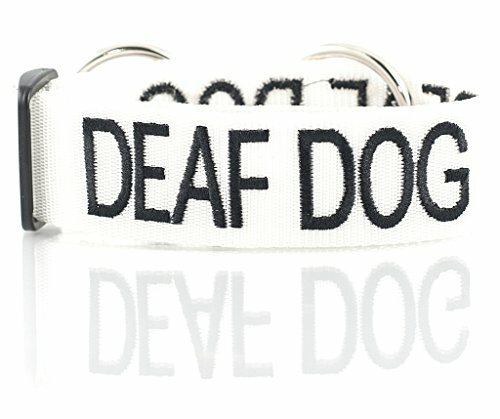 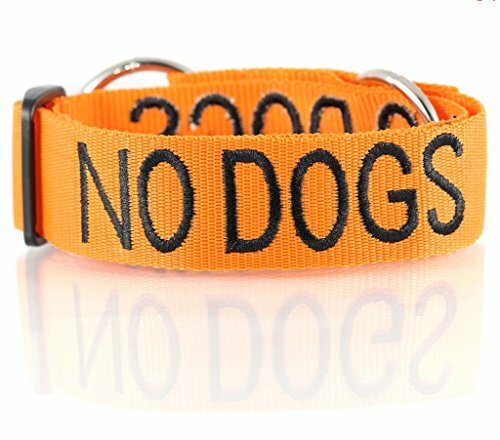 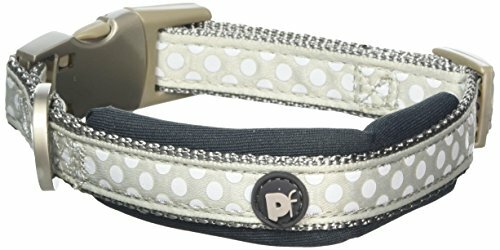 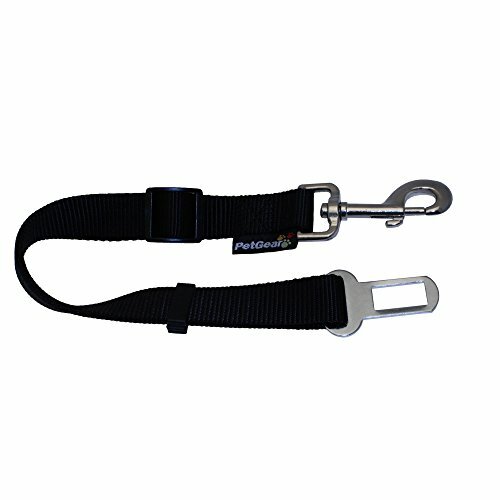 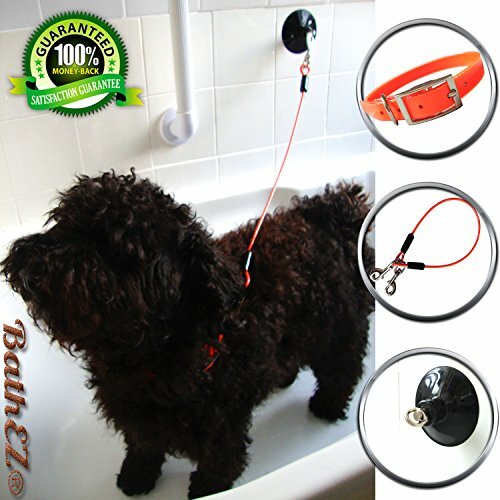 LIBERTY WRISTBAND (BLACK) – World’s Most Superior Hands Free Device for Dog Walking. 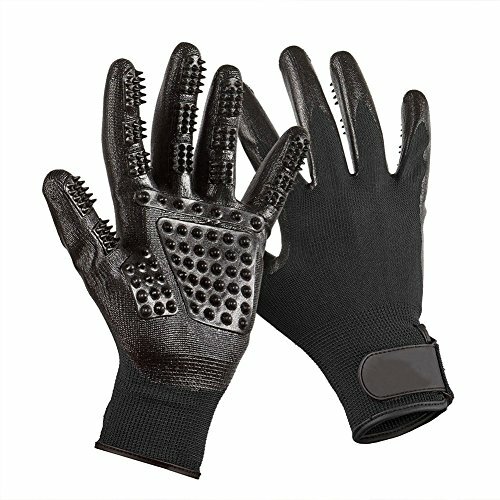 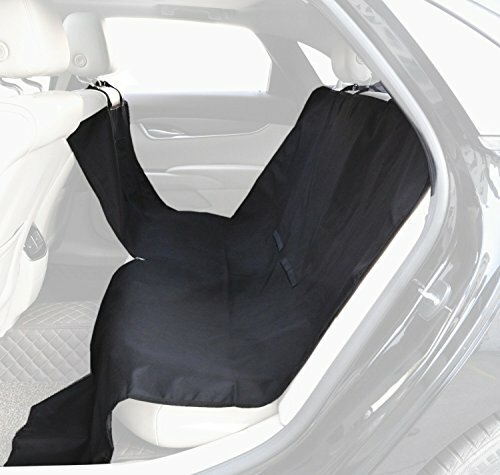 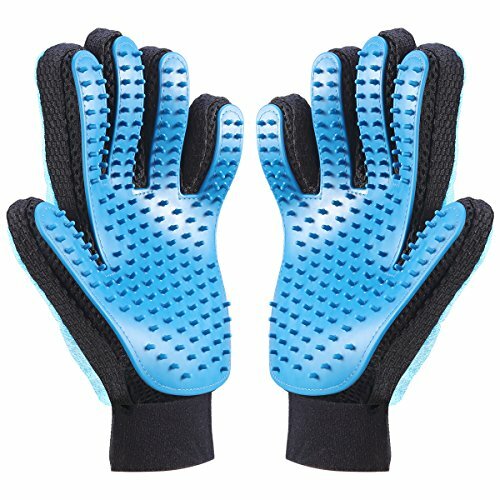 Engineered for Safety, Comfort and Control. 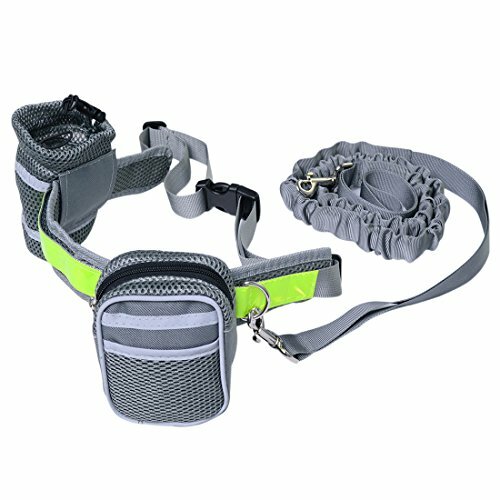 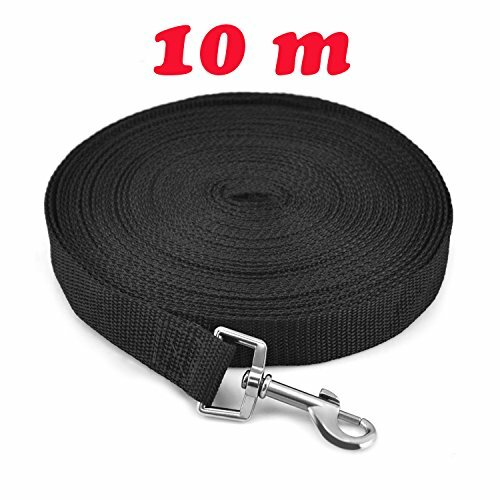 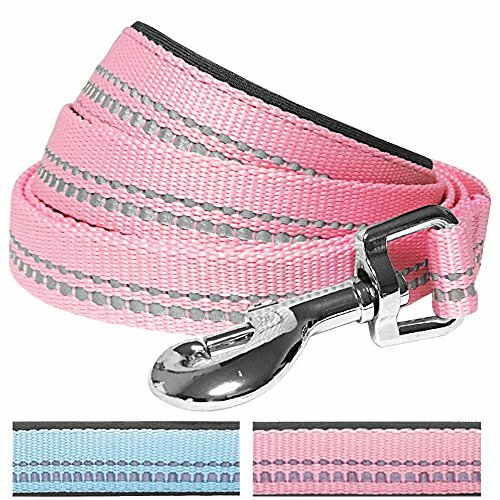 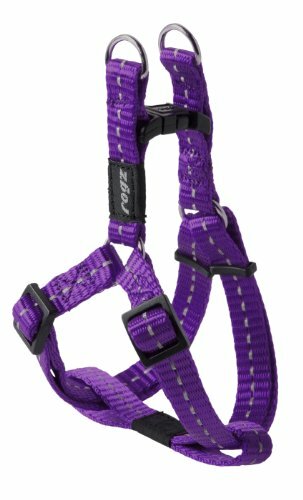 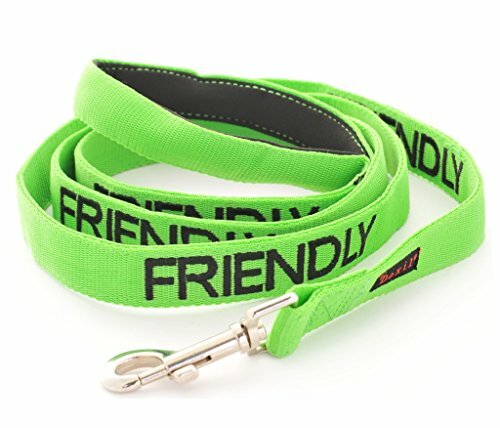 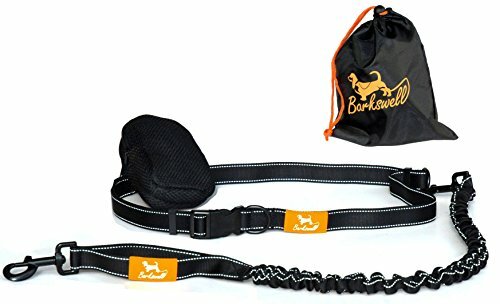 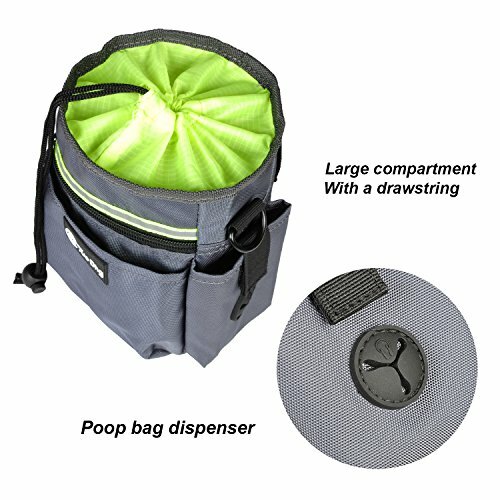 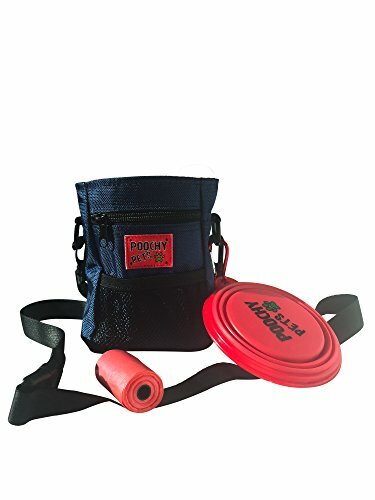 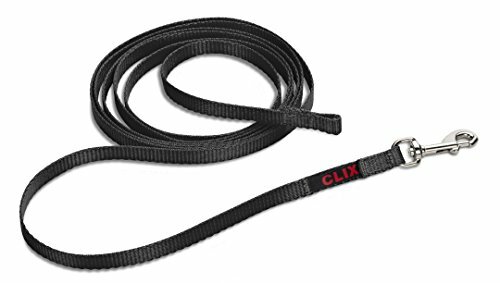 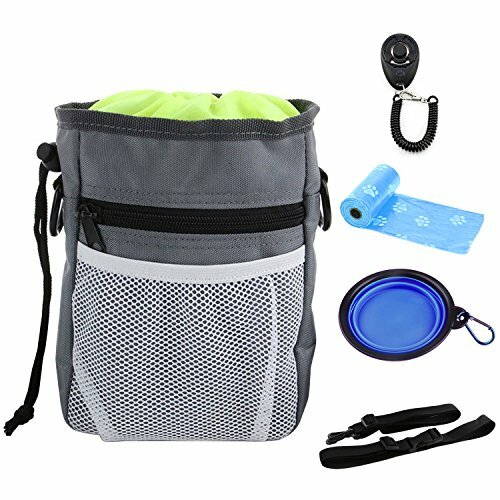 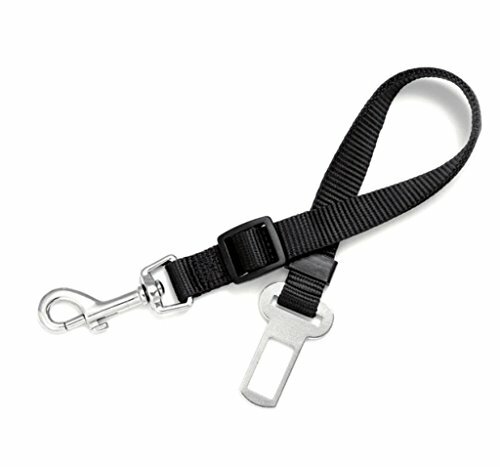 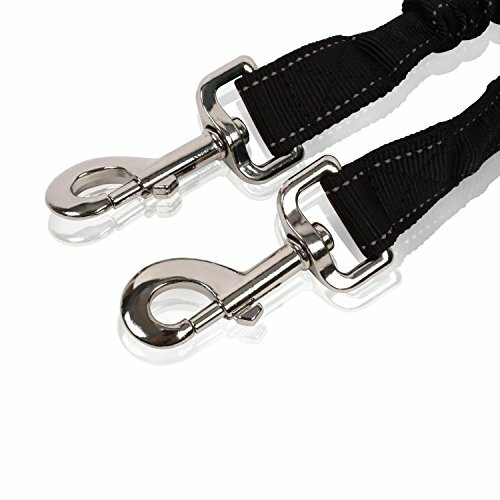 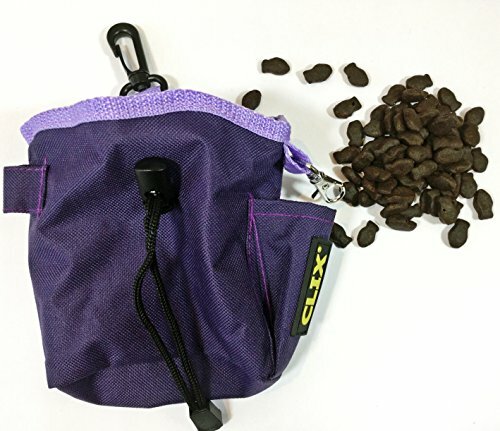 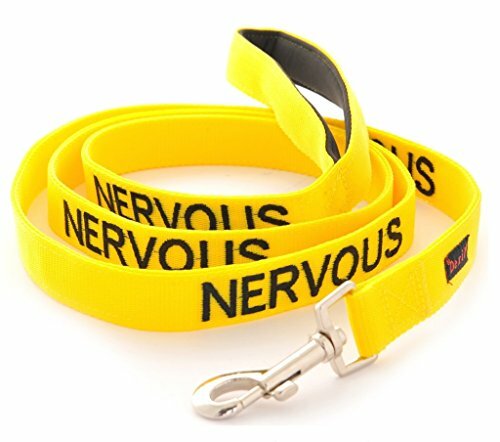 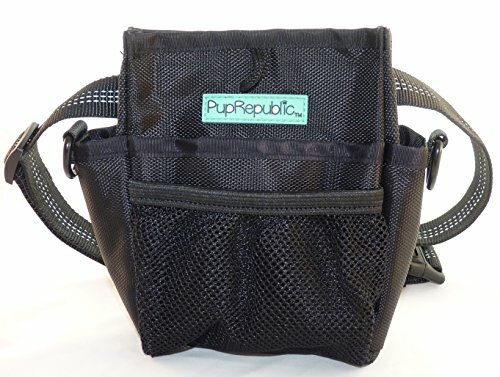 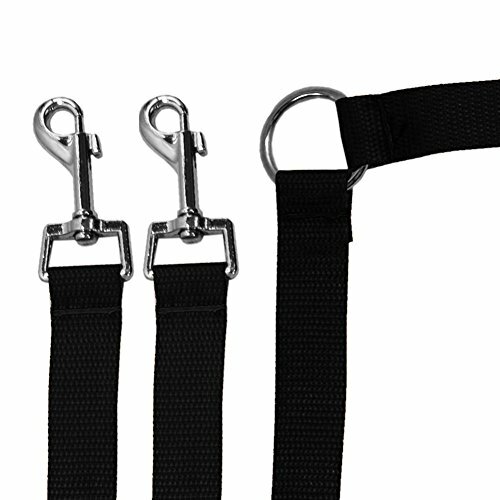 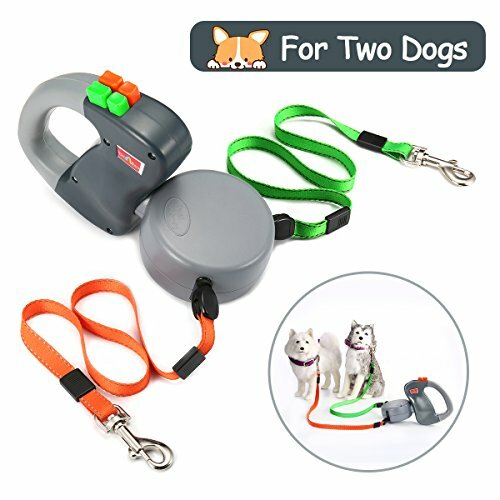 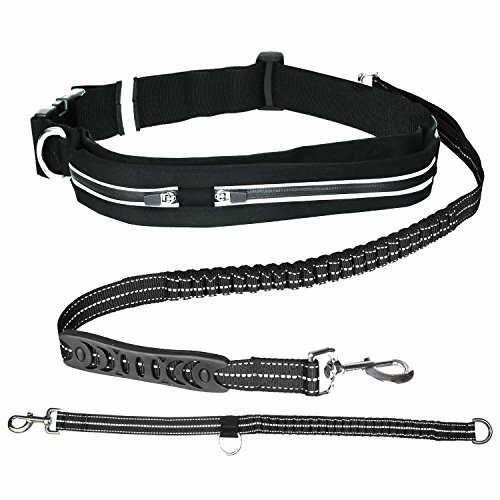 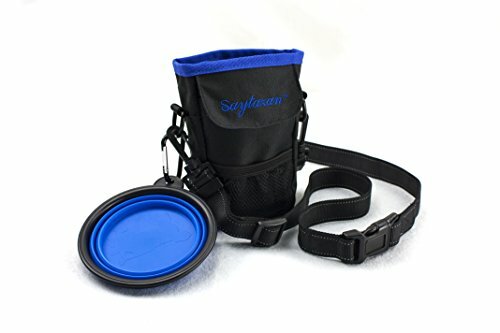 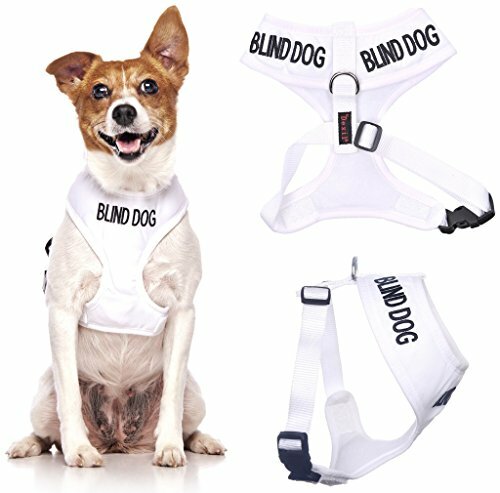 FOR ALL SIZE LEASHES AND DOGS. 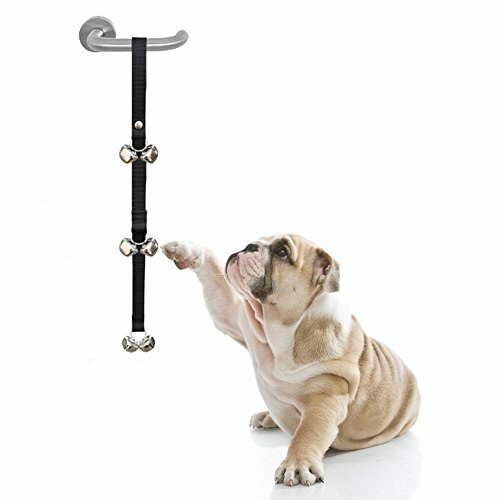 JUST LET GO ! 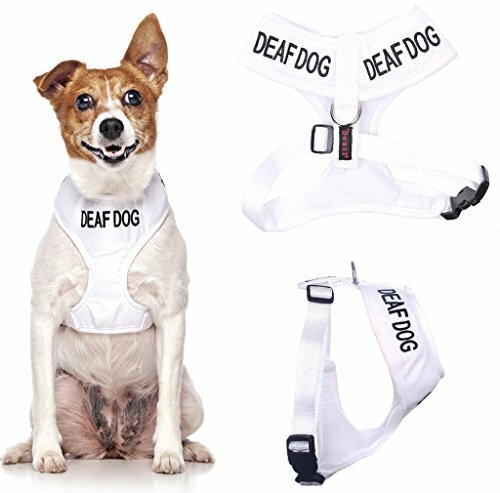 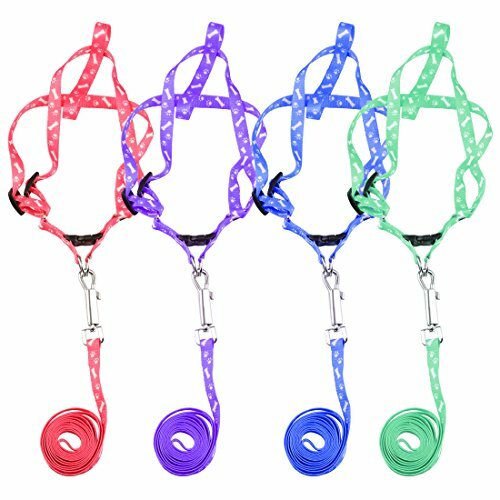 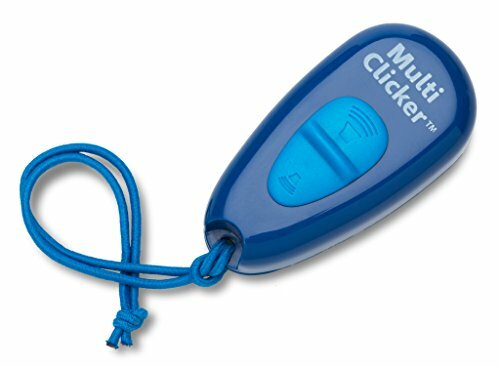 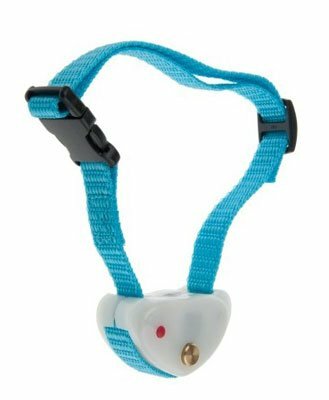 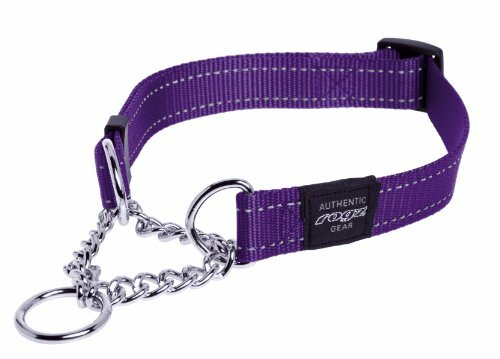 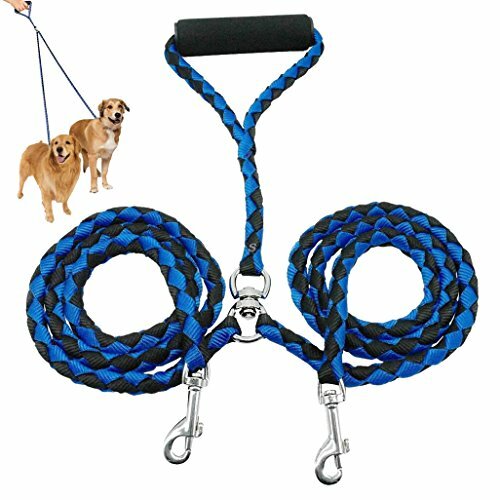 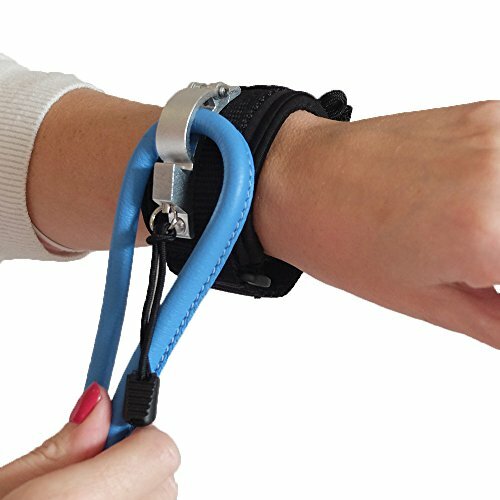 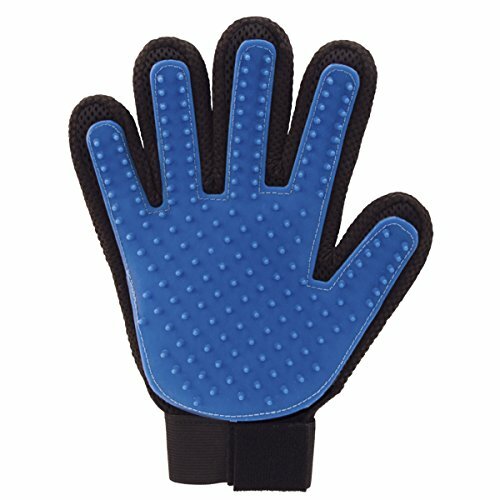 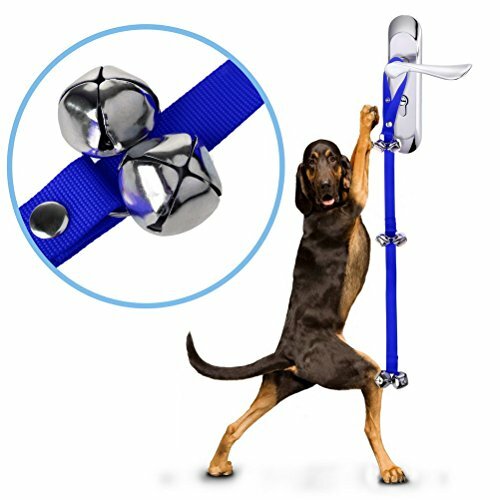 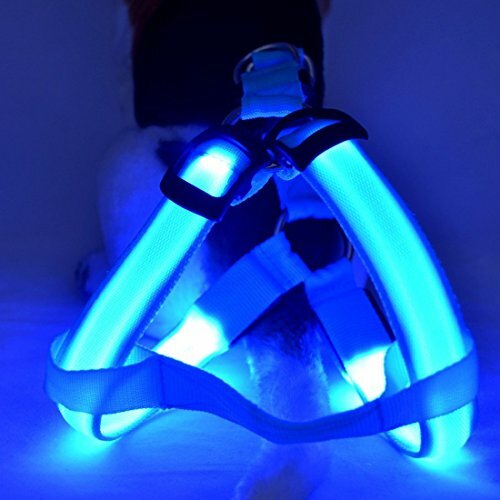 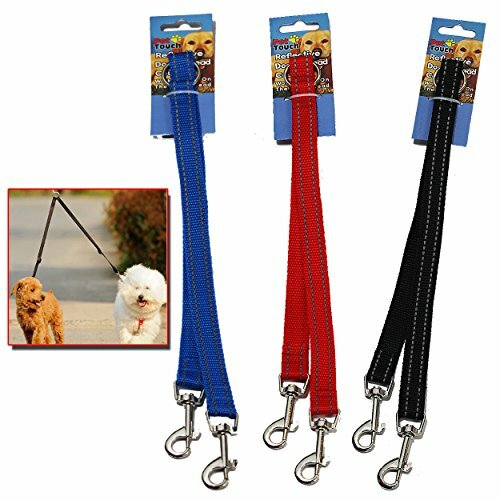 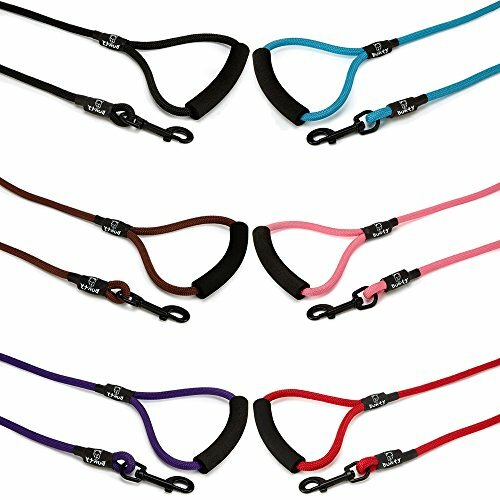 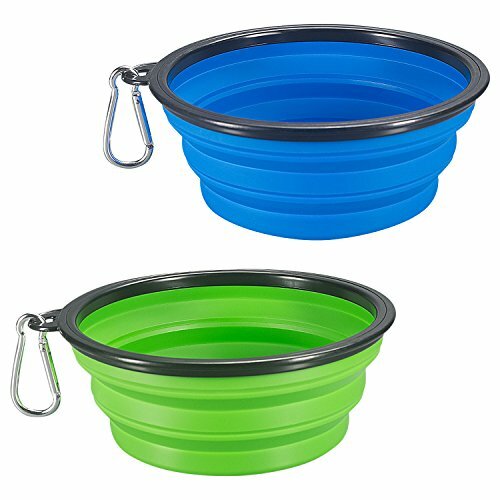 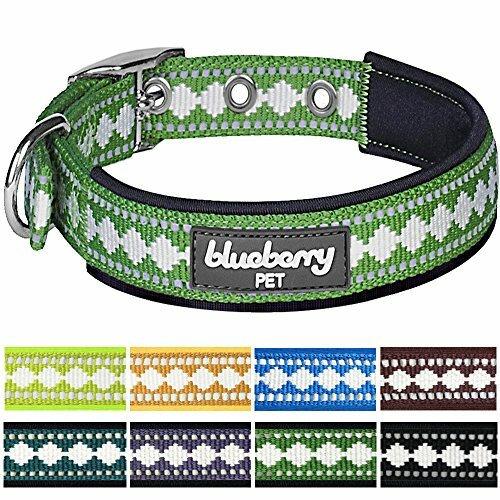 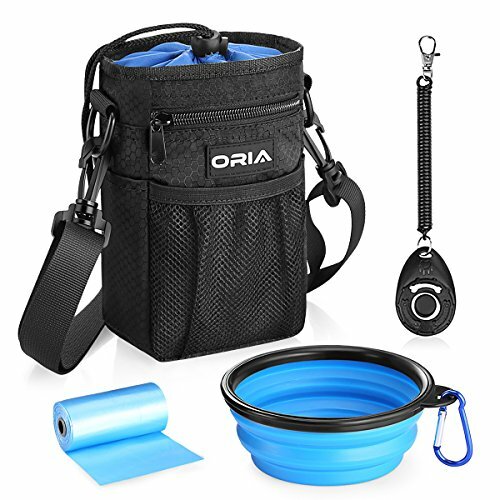 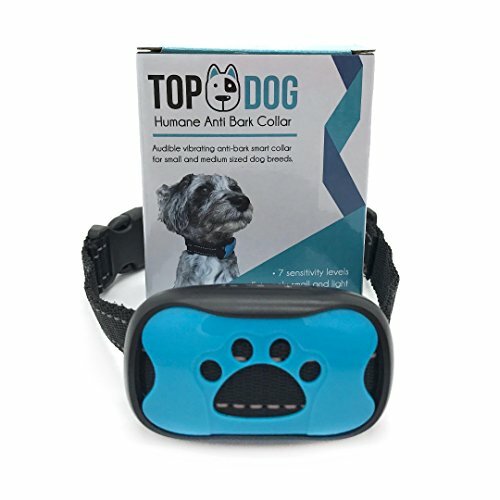 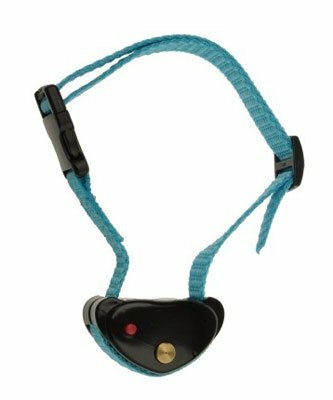 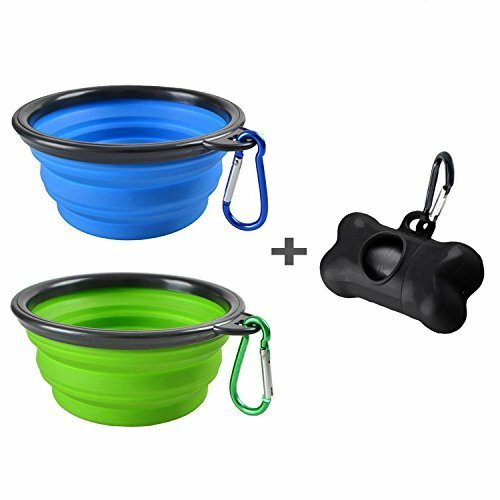 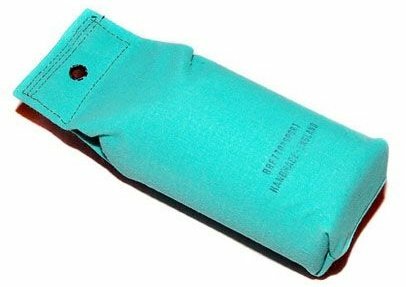 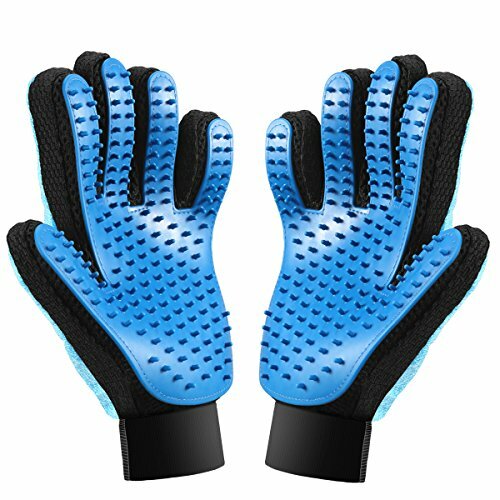 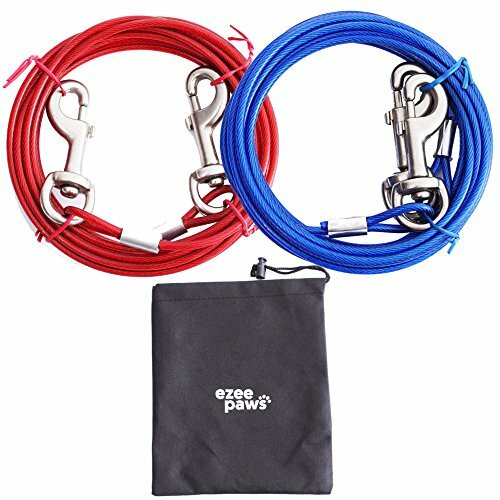 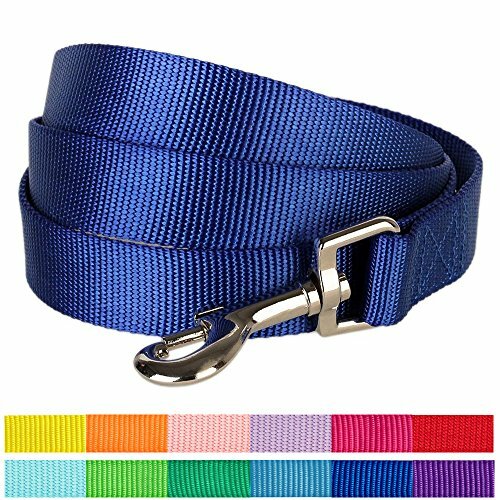 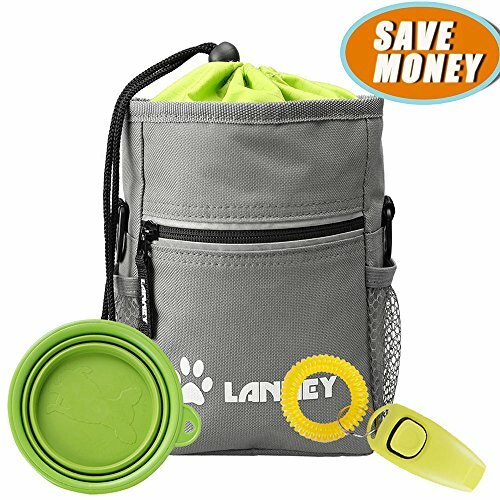 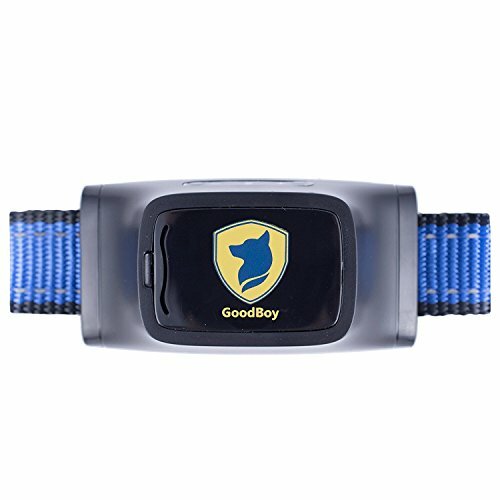 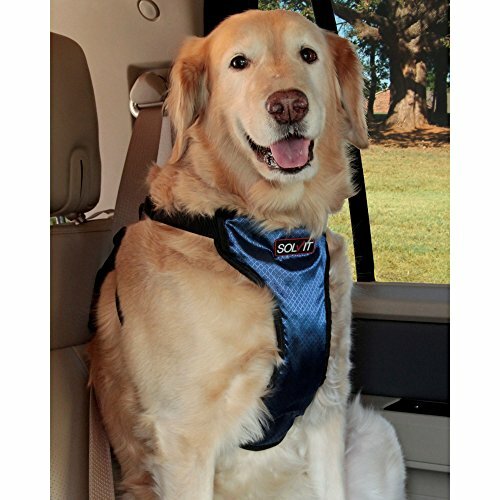 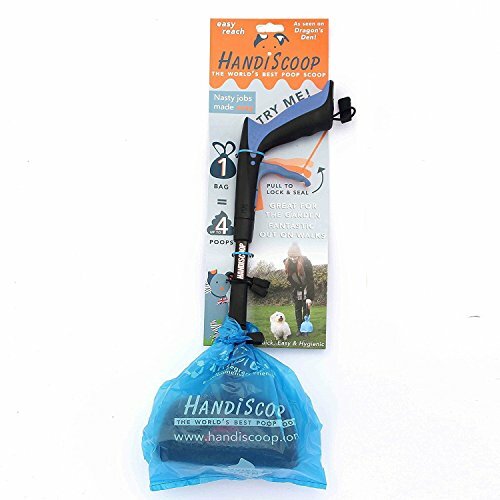 LIBERTY WRISTBAND (BLUE) – World’s Most Superior Hands Free Device for Dog Walking. 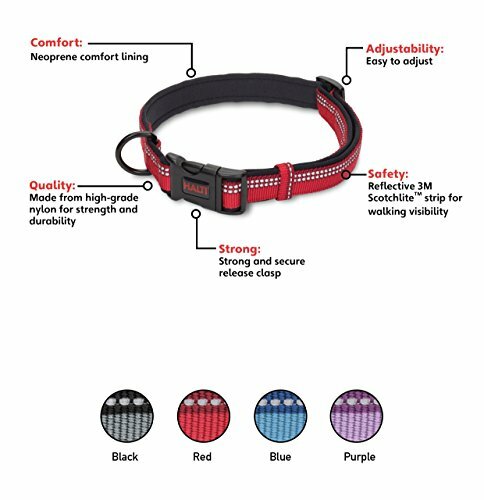 – Engineered for Safety, Comfort and Control. 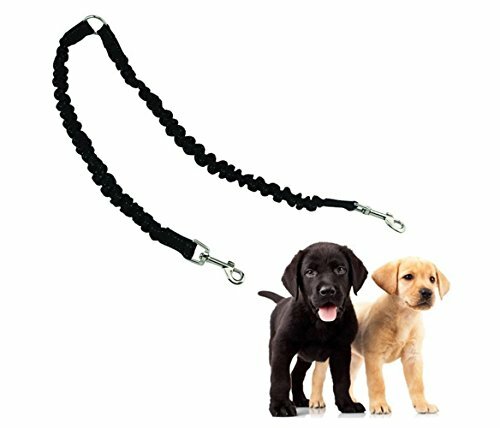 FOR ALL SIZE LEASHES AND DOGS. 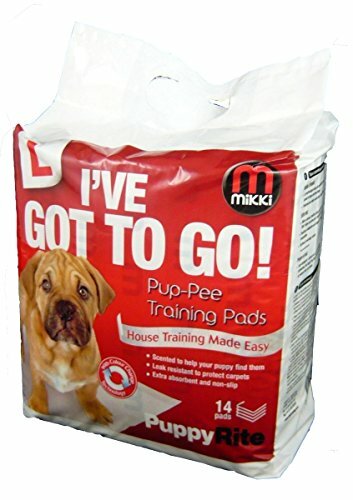 JUST LET GO ! 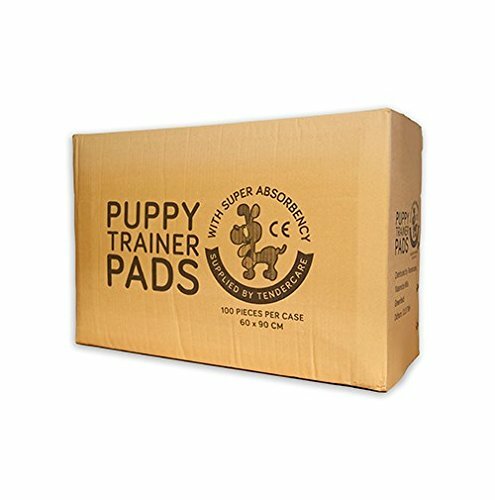 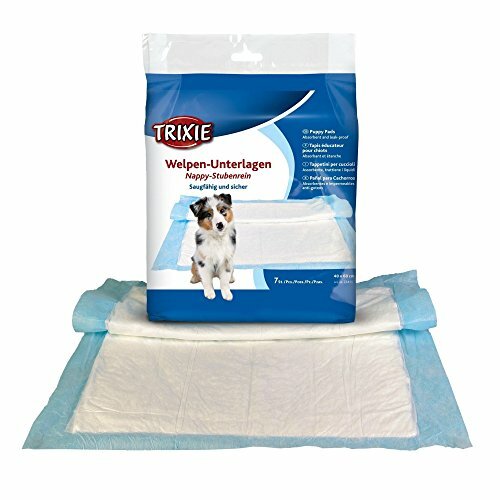 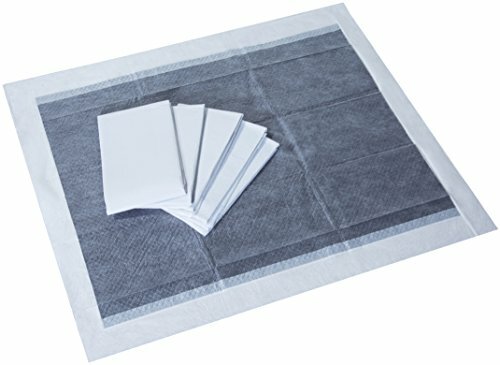 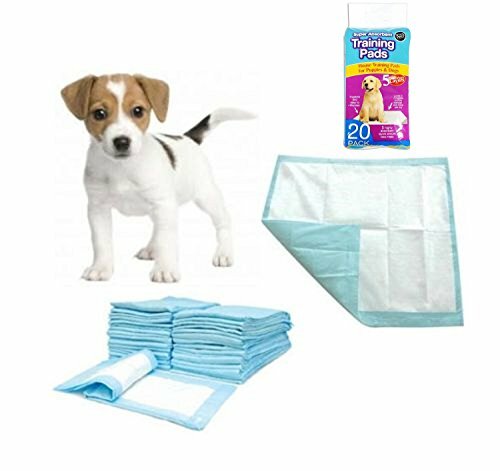 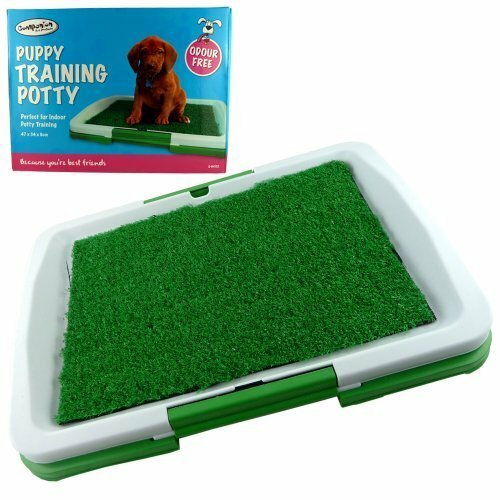 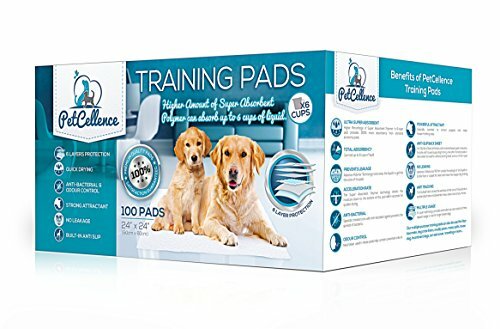 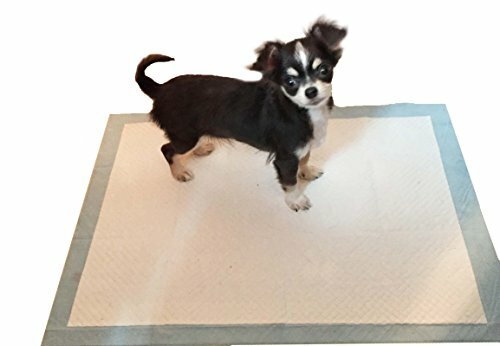 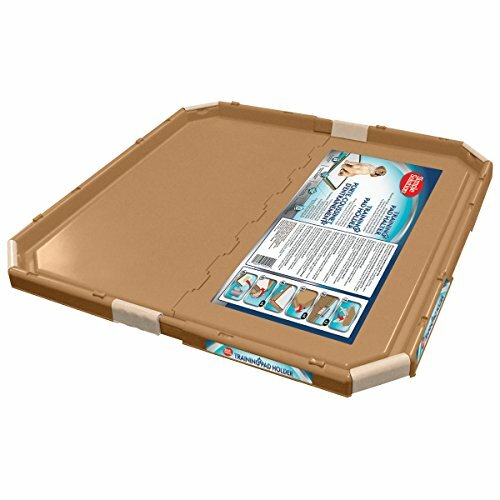 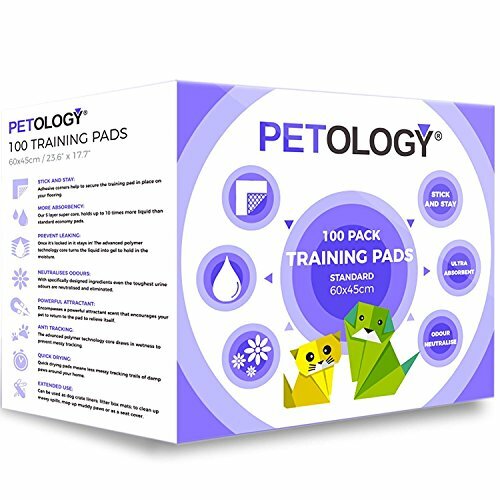 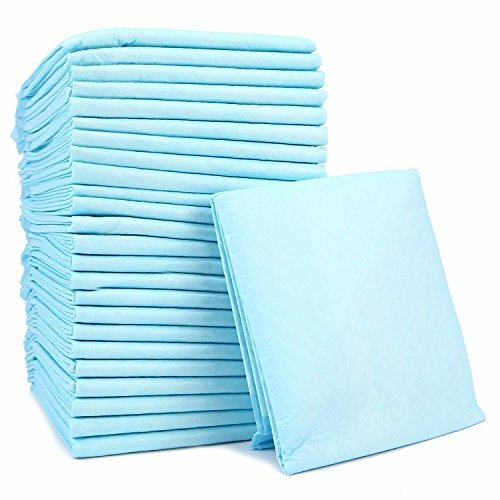 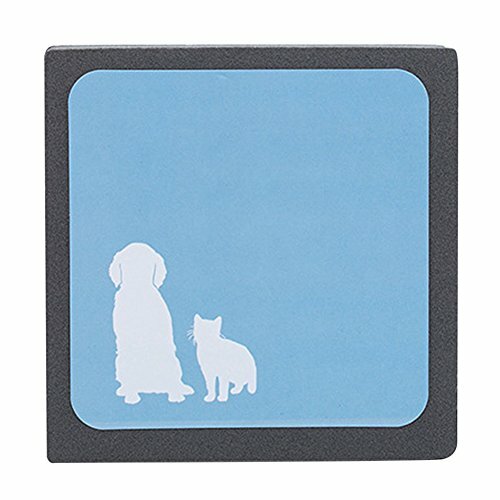 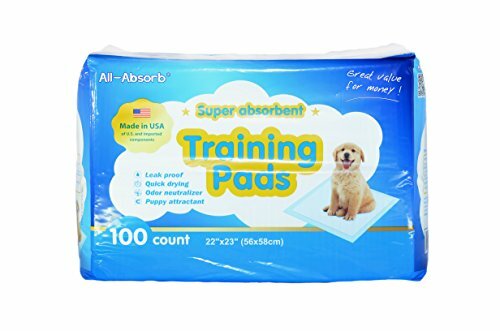 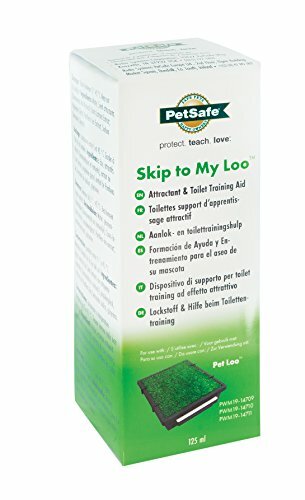 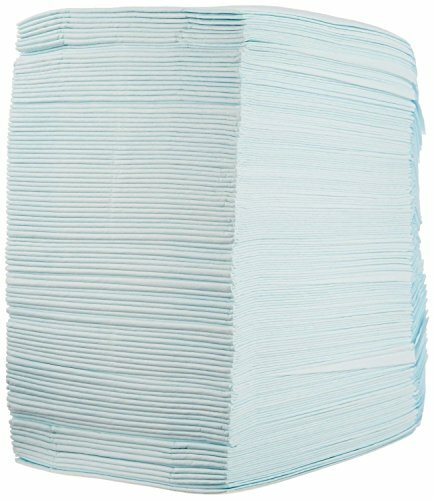 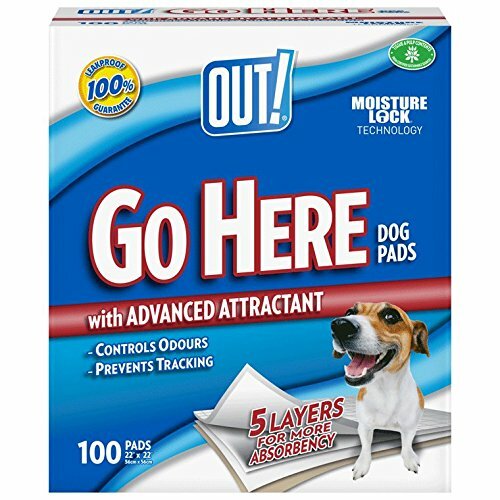 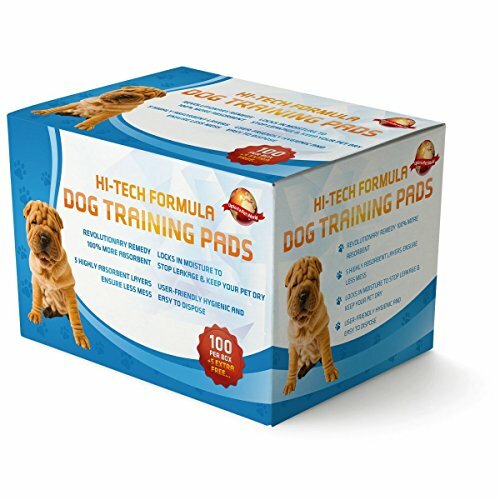 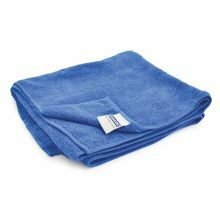 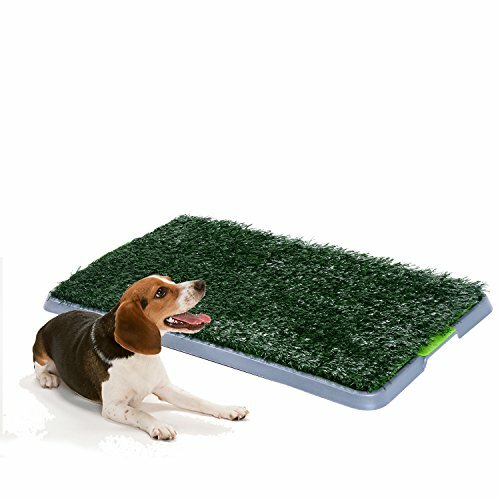 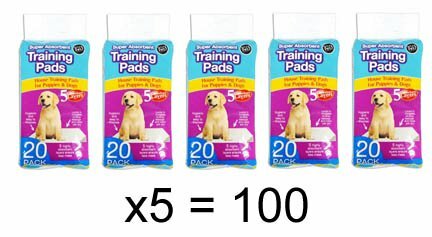 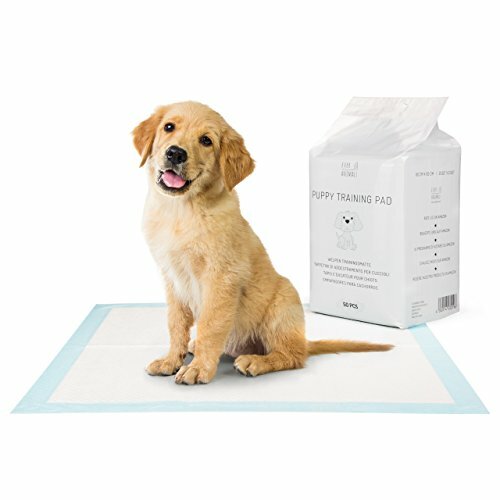 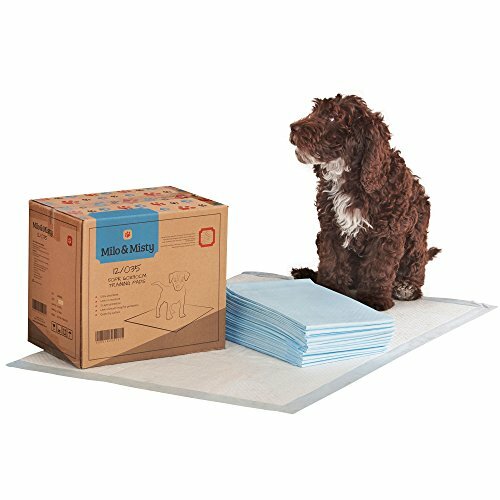 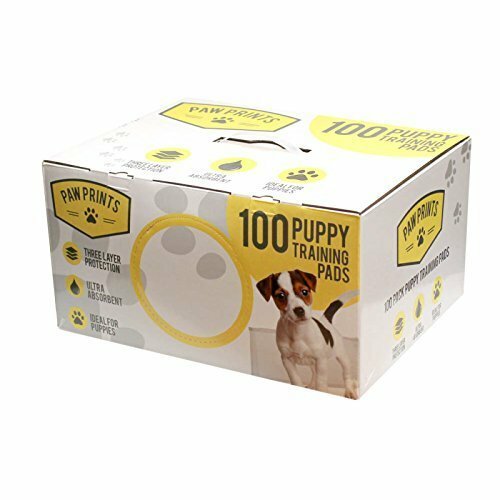 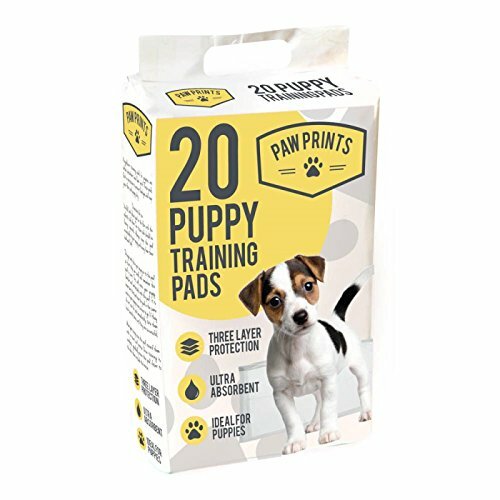 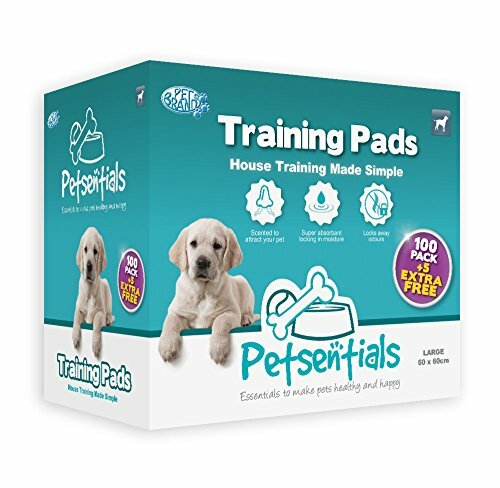 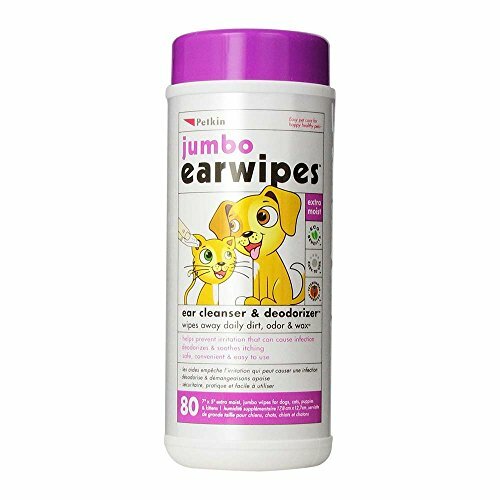 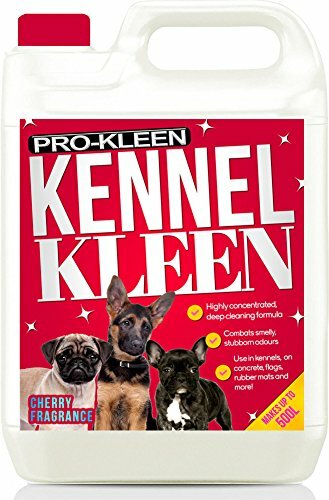 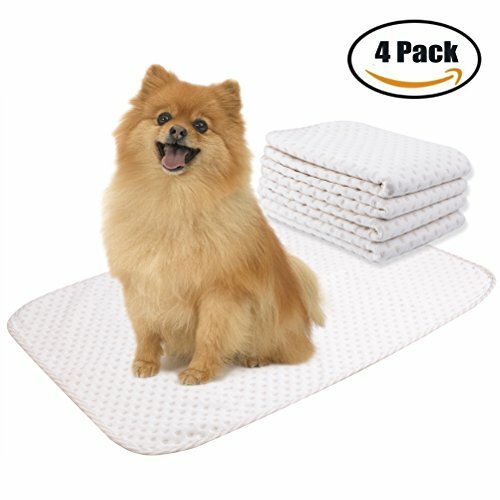 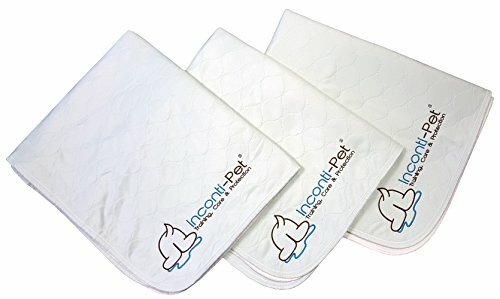 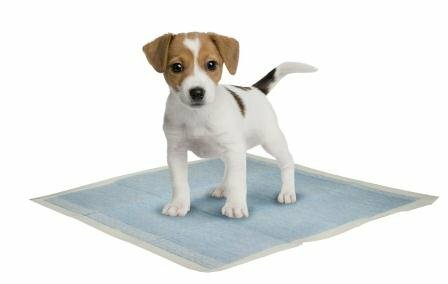 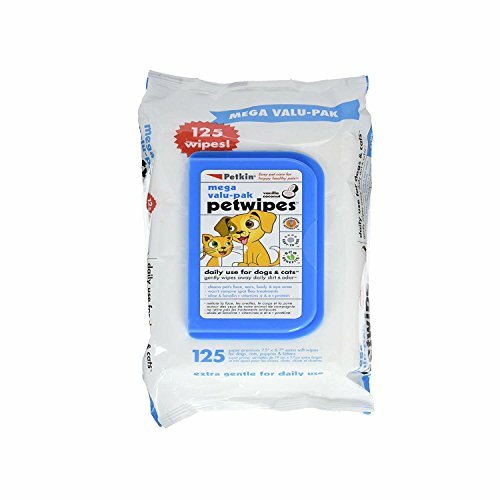 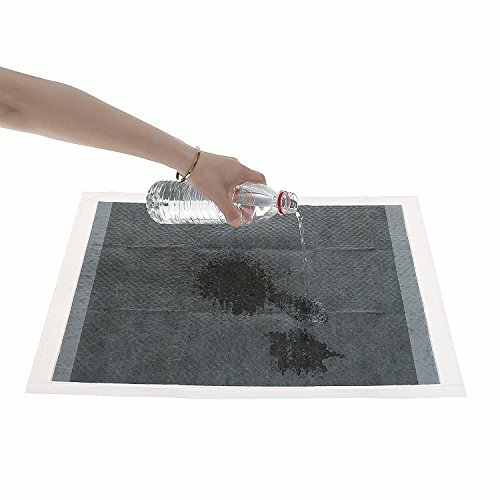 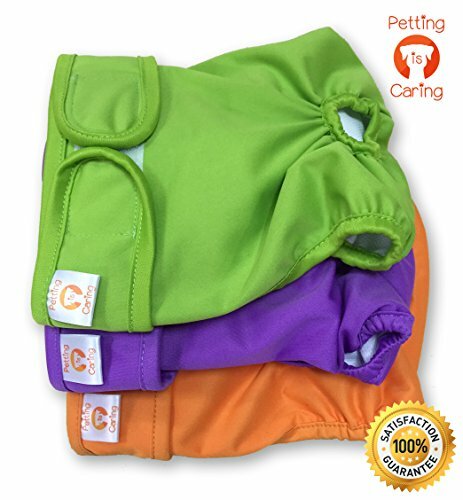 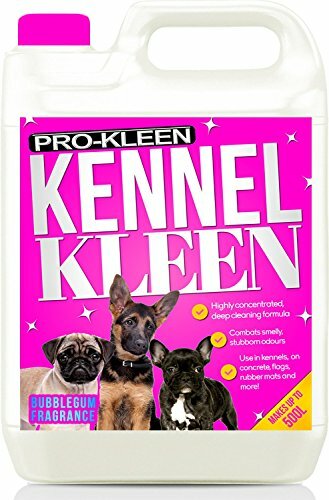 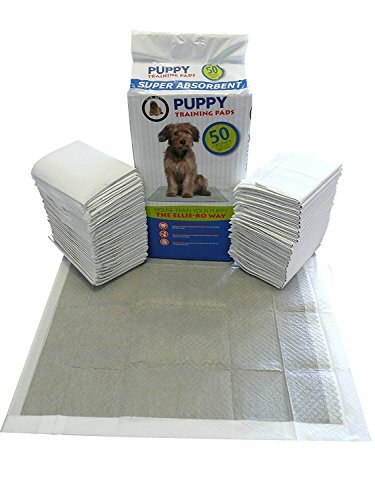 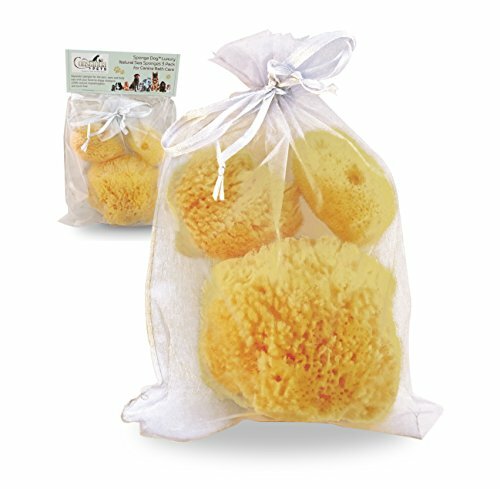 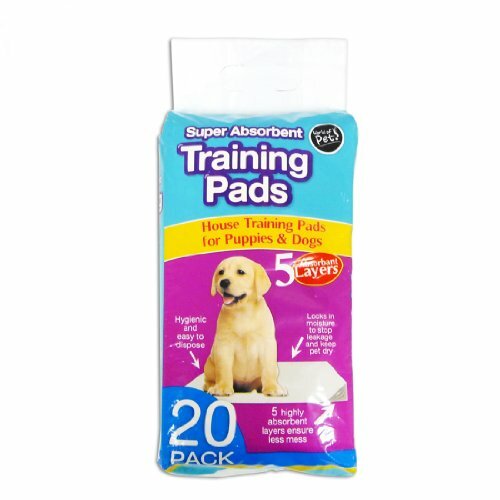 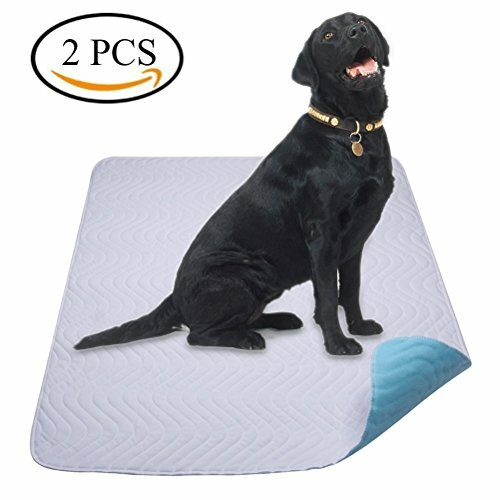 Puppy Dog Training Pads | 10 Pack Of Absorbent Pet Wee Sheets Keep Your Floor Pee Free And Your Carpets Cleaner. 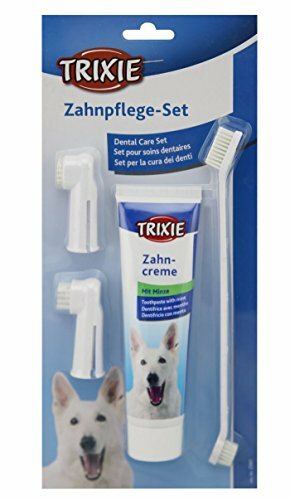 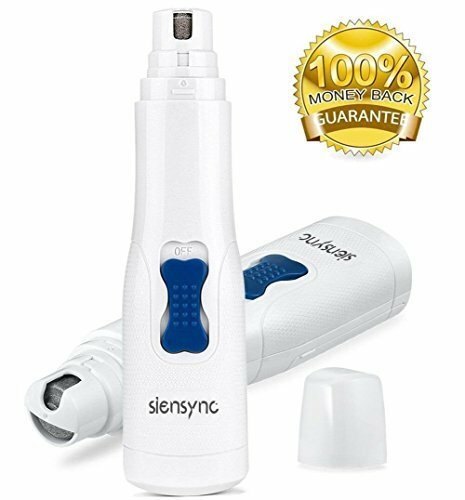 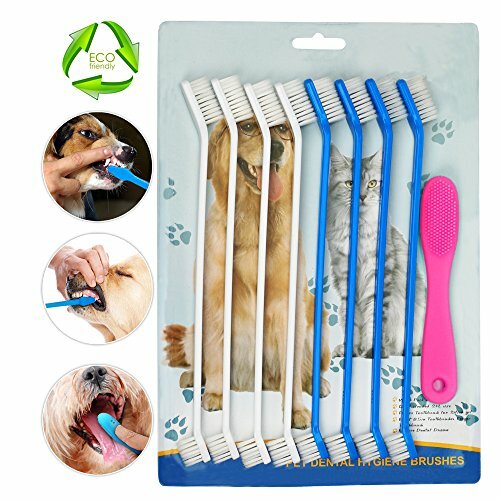 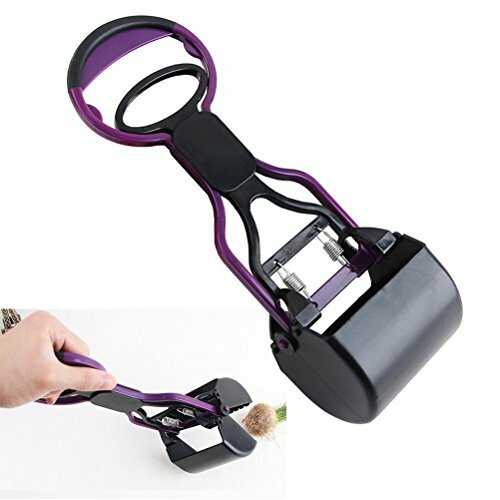 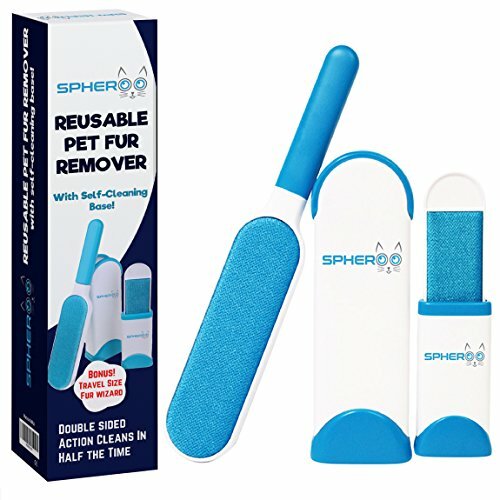 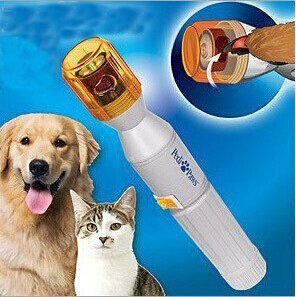 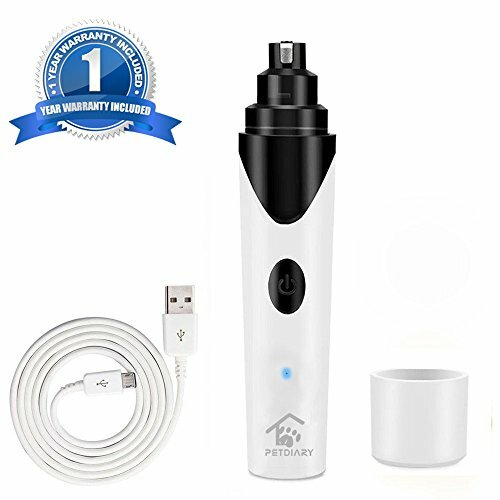 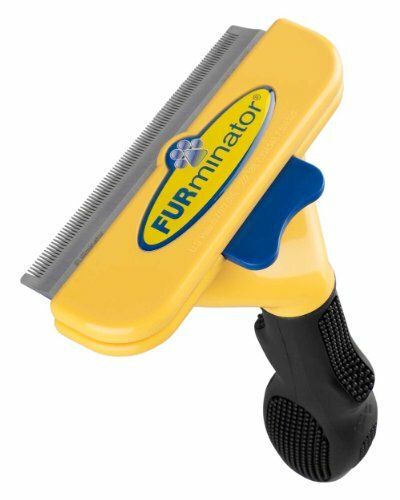 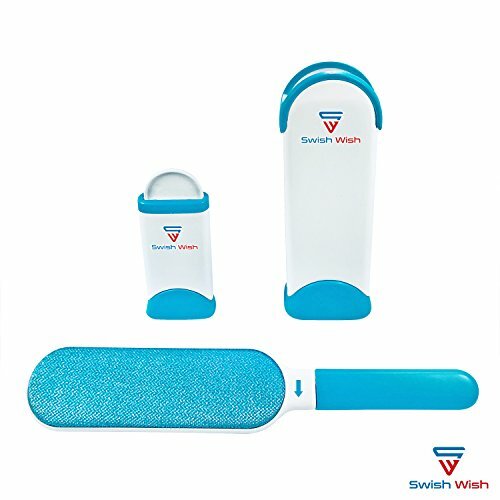 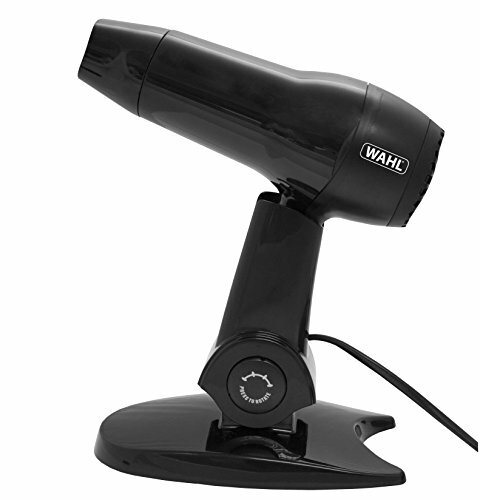 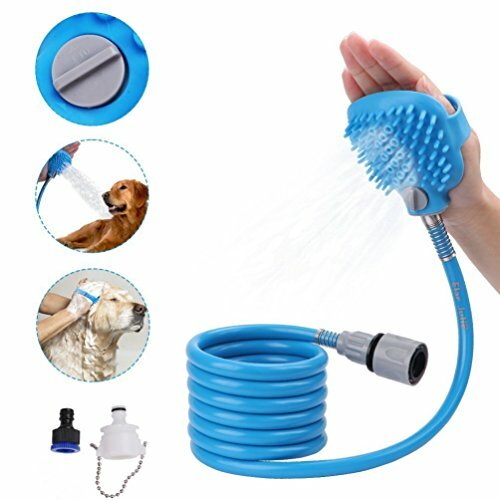 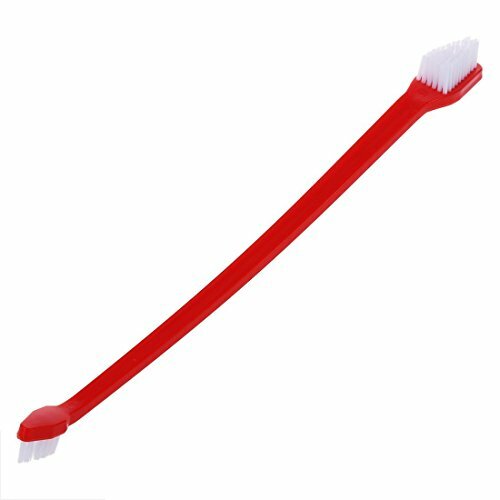 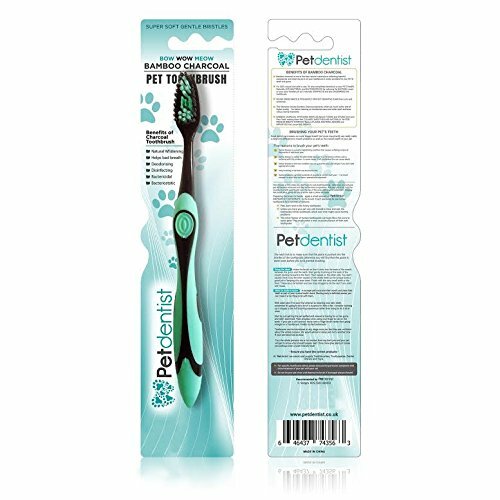 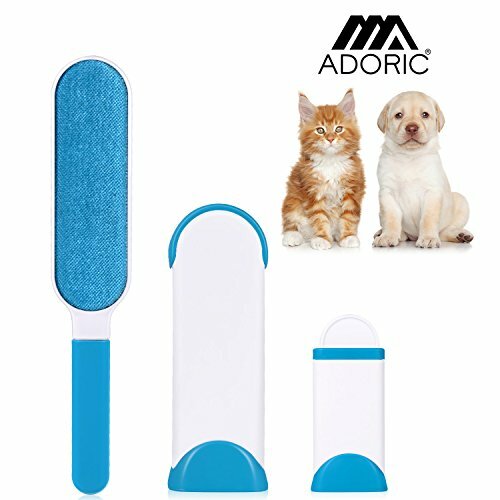 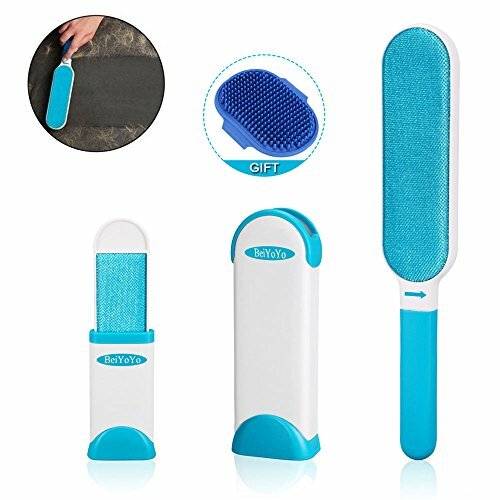 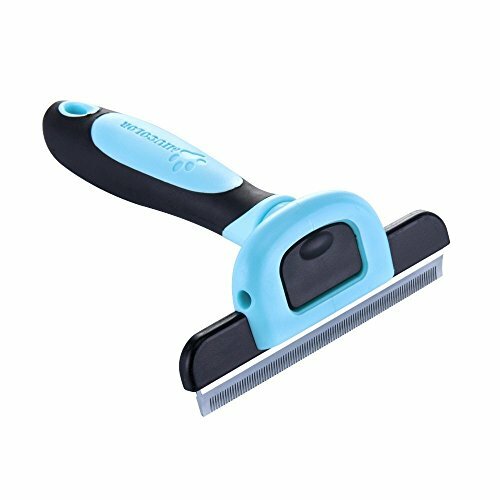 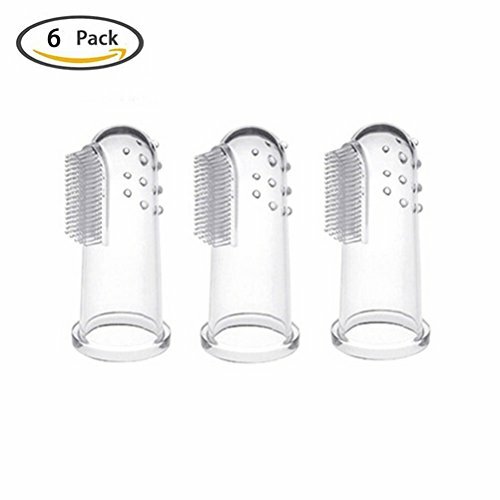 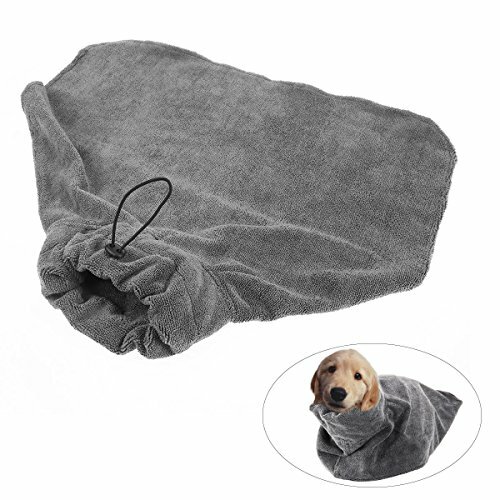 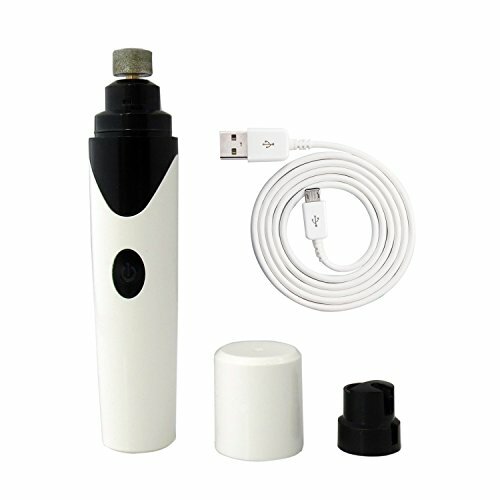 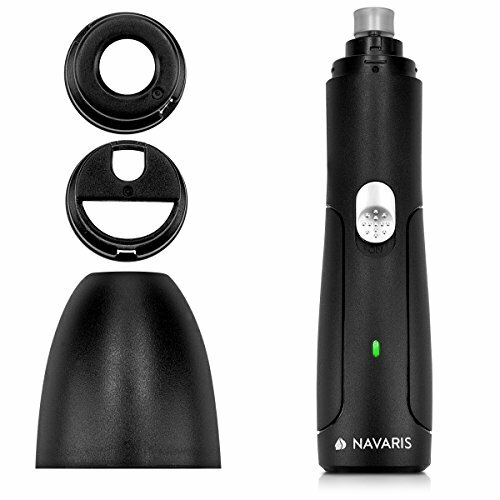 Fur Remover for Pet Hair and Clothes Lint, Reusable, Double-Sided with Self-Cleaning Base and Travel Size Brush. 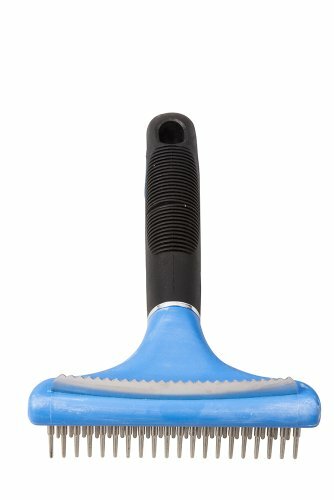 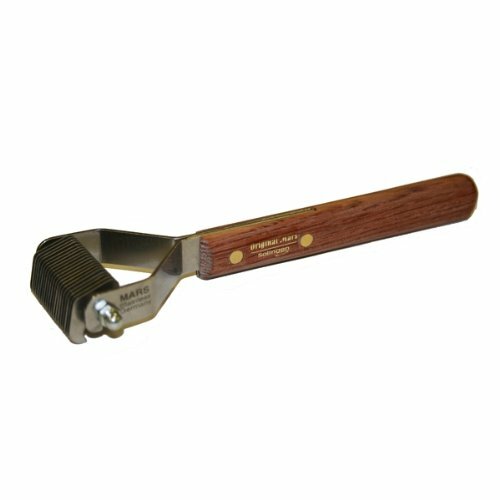 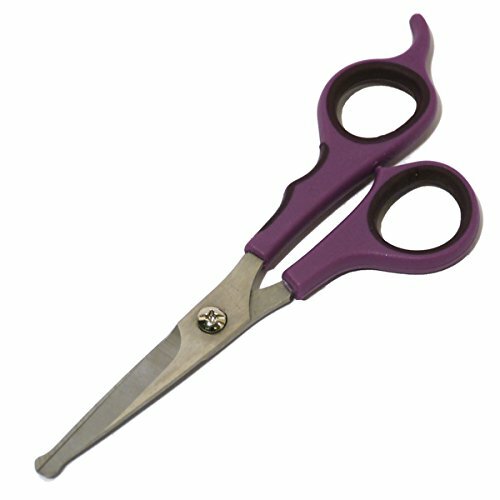 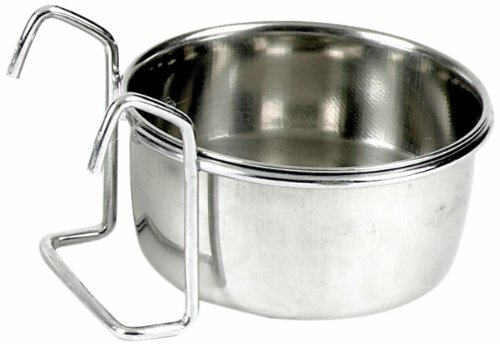 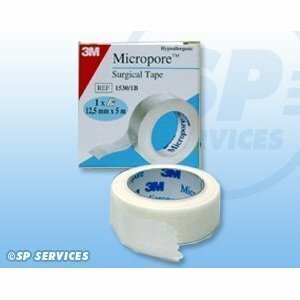 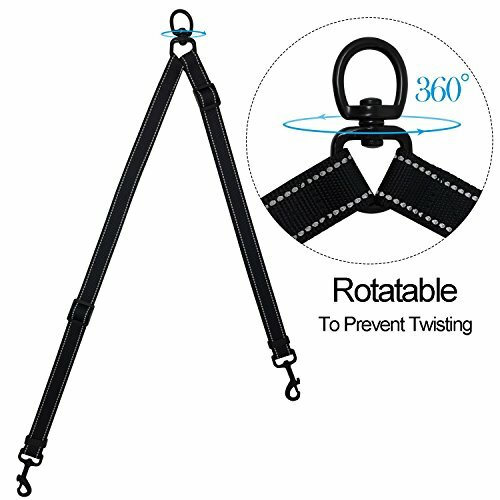 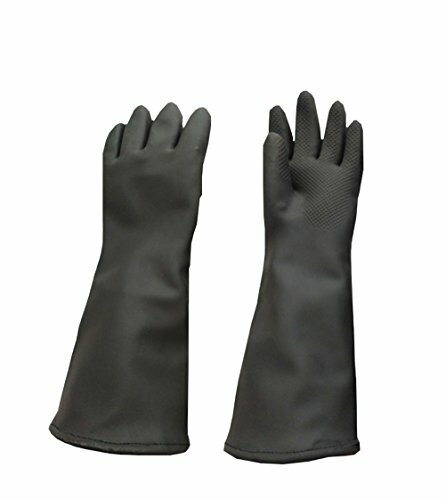 Improved Stronger Handle, Perfect for All Fabrics, Furniture, Carpets. 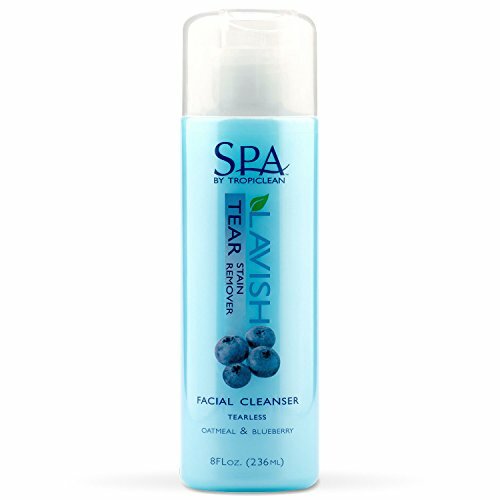 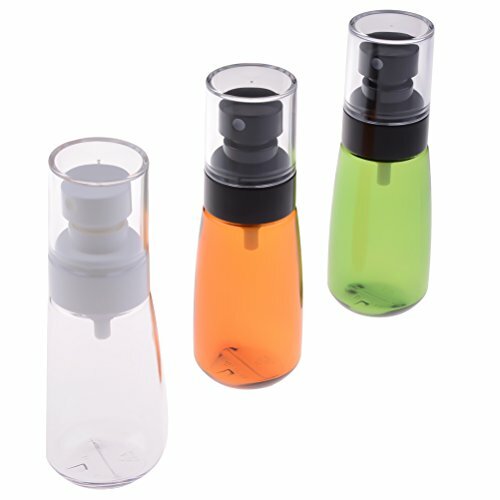 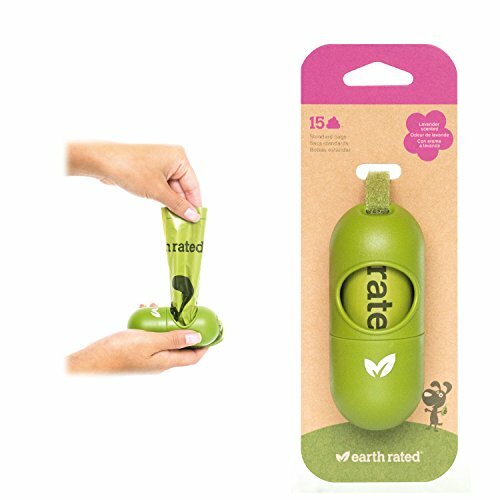 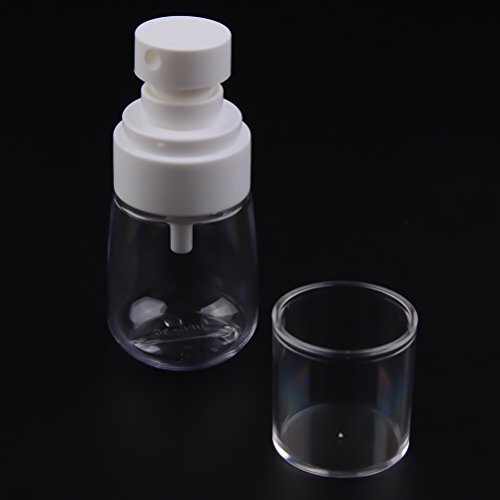 Simday 1 Pc Spray Makeup Bottles, Refillable Toiletries Liquid Containers Bottles, BPA Free PET Plastic 30ml Travel Spray Bottle for Essential Oils and Liquids or Cosmetics Products. 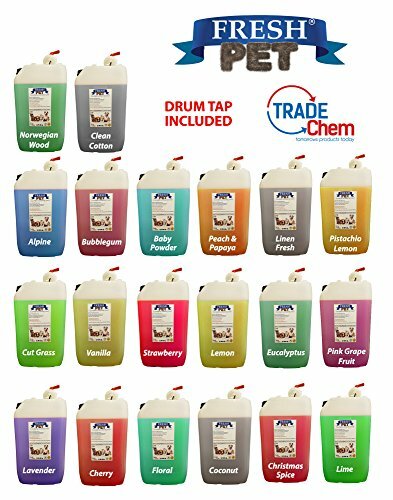 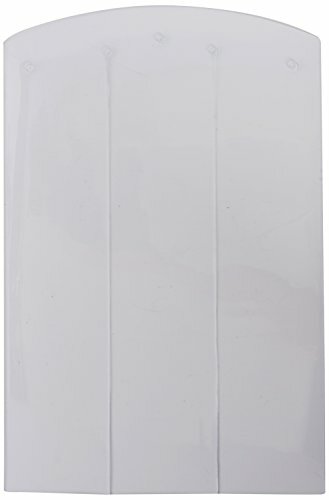 Simday 1 Pc Spray Makeup Bottles, Refillable Toiletries Liquid Containers Bottles, BPA Free PET Plastic 60ml Travel Spray Bottle for Essential Oils and Liquids or Cosmetics Products. 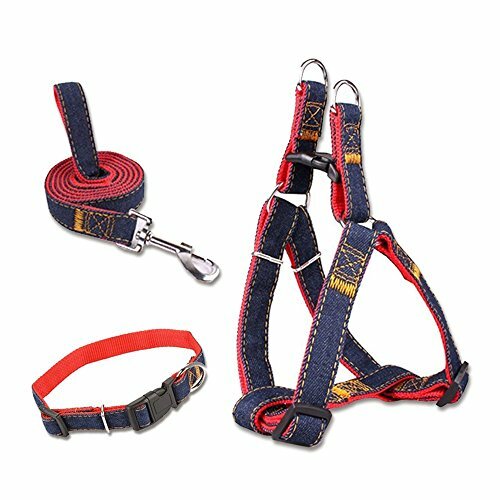 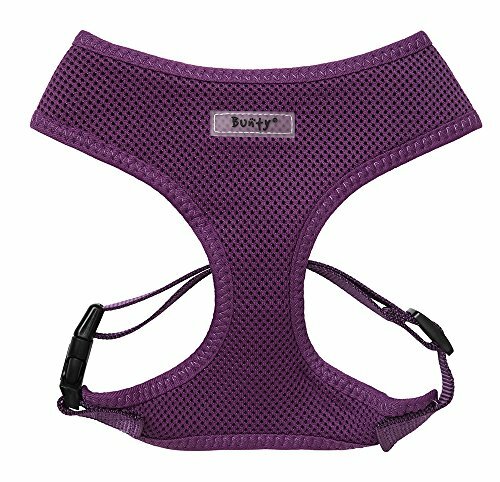 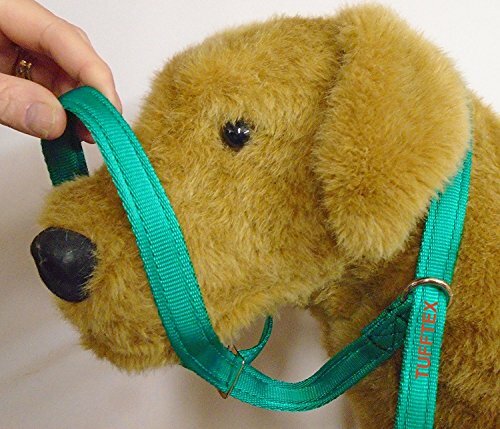 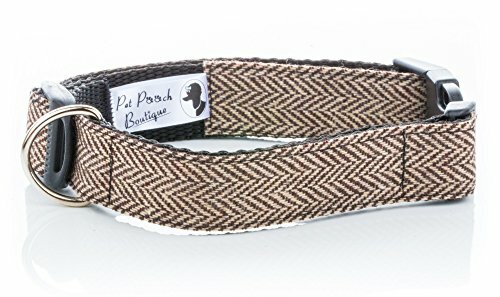 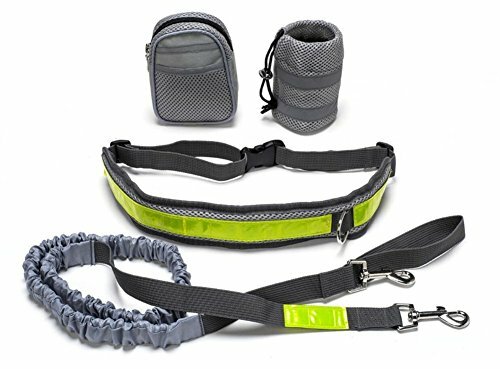 Best Pet Supplies Voyager All Weather Step-in Suede/Corduroy Harness for Dogs, Inc.
Dog & Field Figure 8 Anti Pull Lead / Halter / Head Collar – One Size Fits All – Super Soft Braided Nylon – Fitting Instructions Included – Comfortable, Kind, Supple, Secure and Proven to Make Your Walks More Enjoyable – No More Pulling!